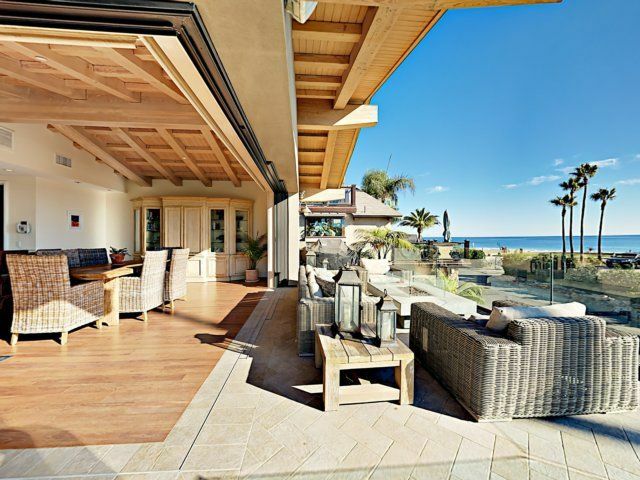 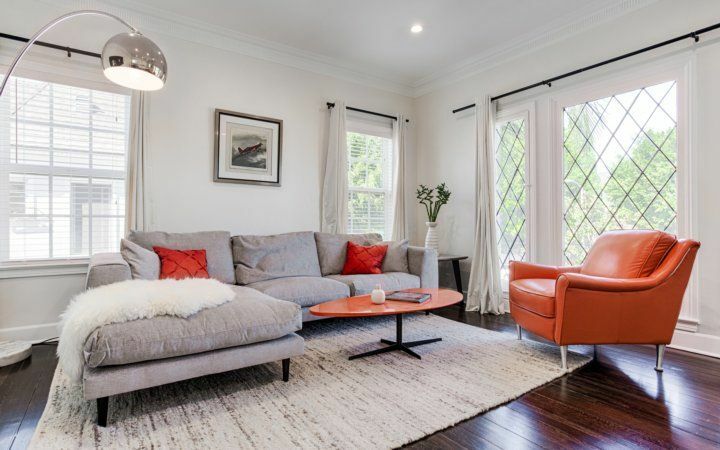 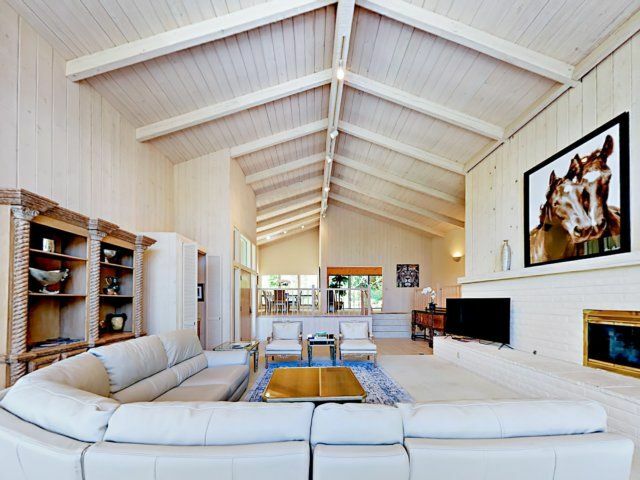 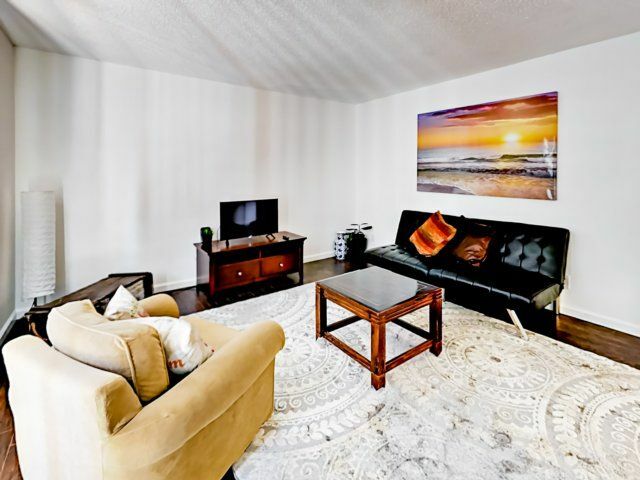 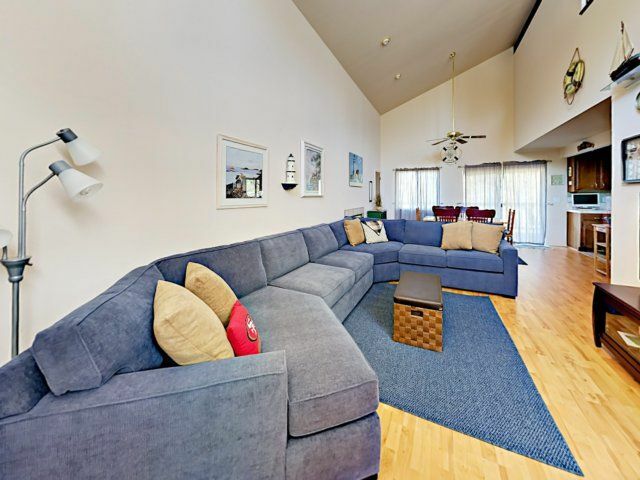 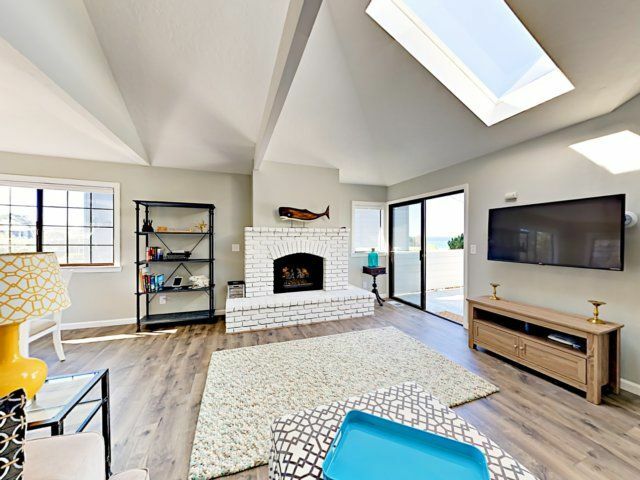 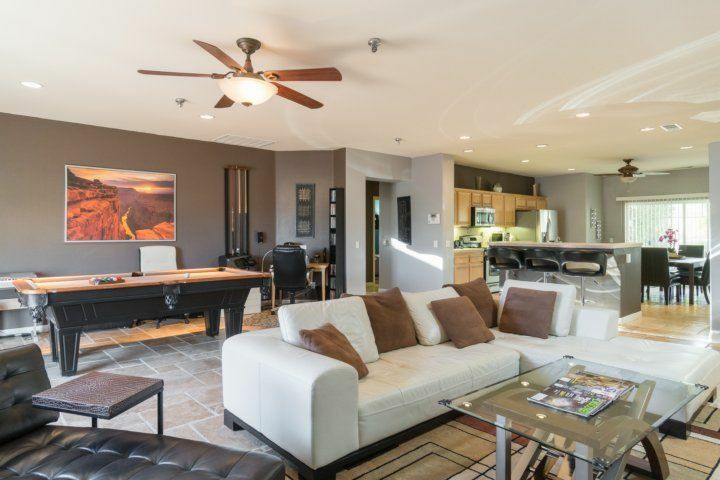 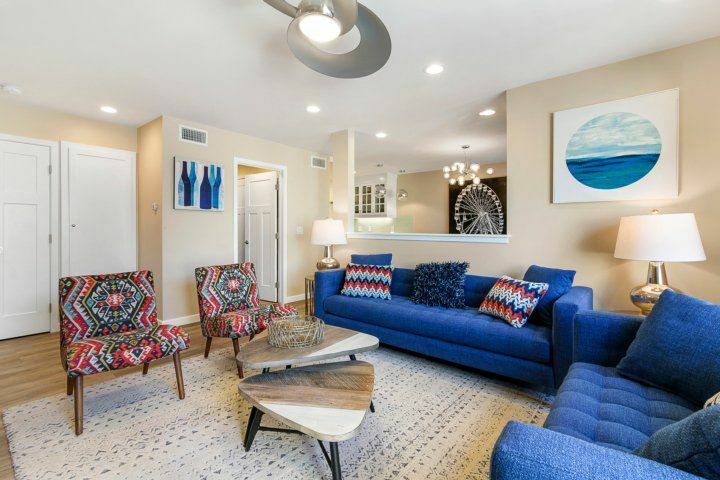 Living: The living room at this San Clemente vacation rental is gorgeous and beautifully modern, including: A comfortable sectional leather sofa with plenty of space for snacks and drinks. 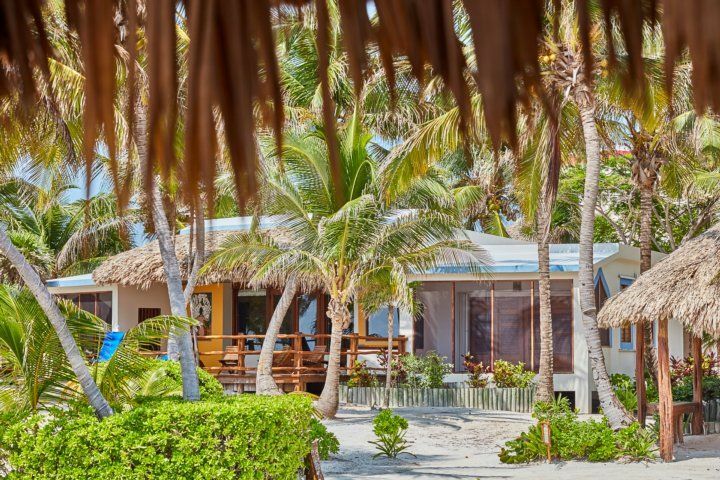 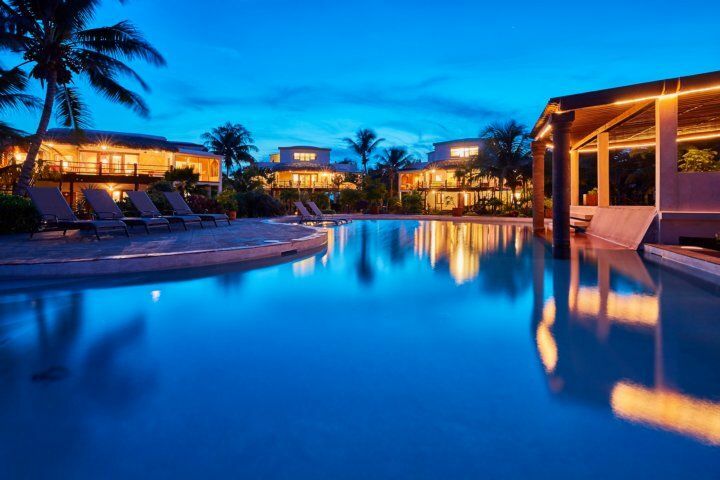 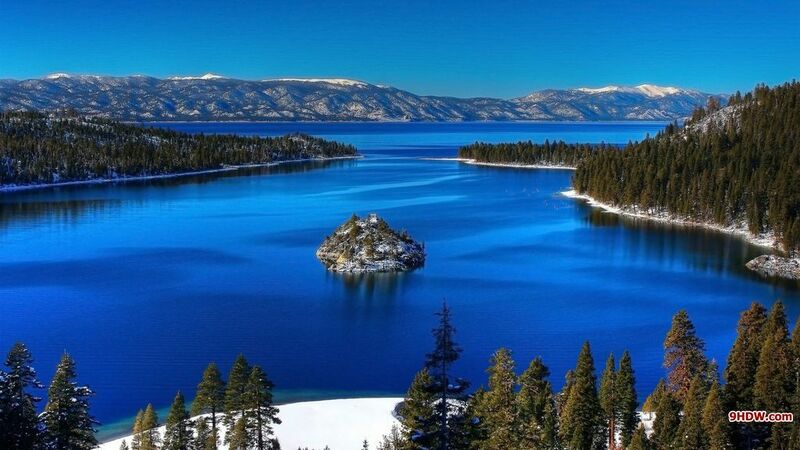 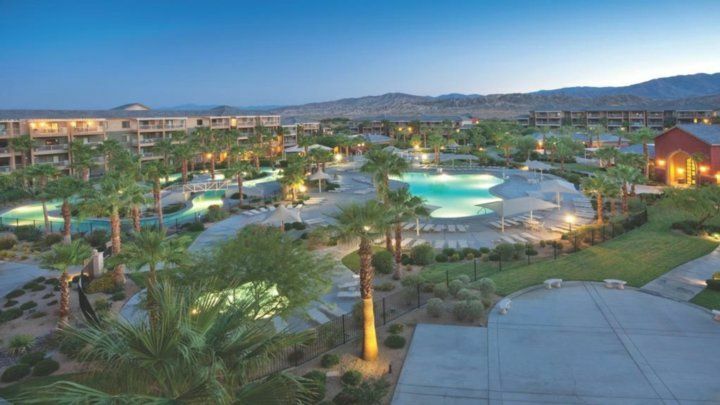 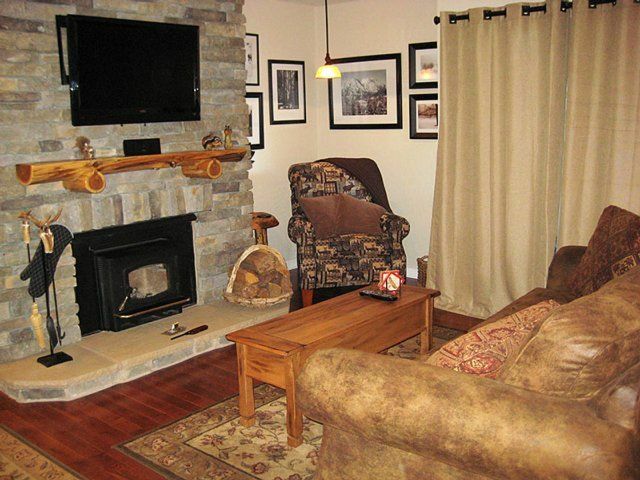 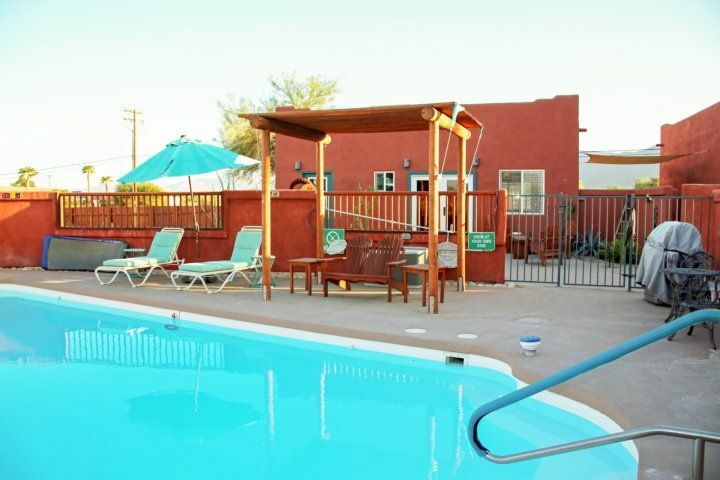 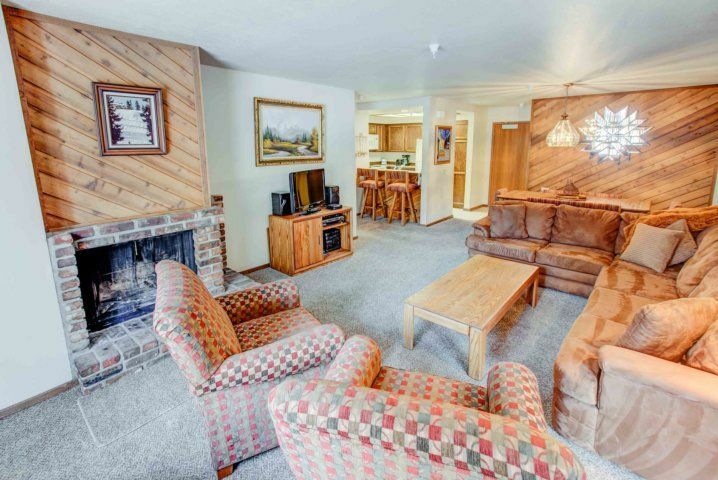 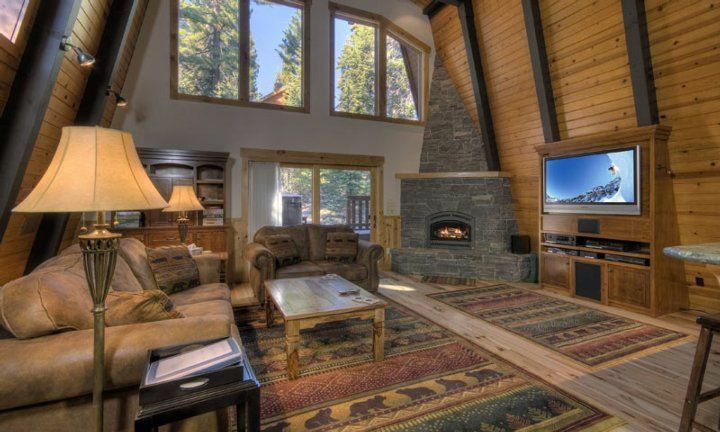 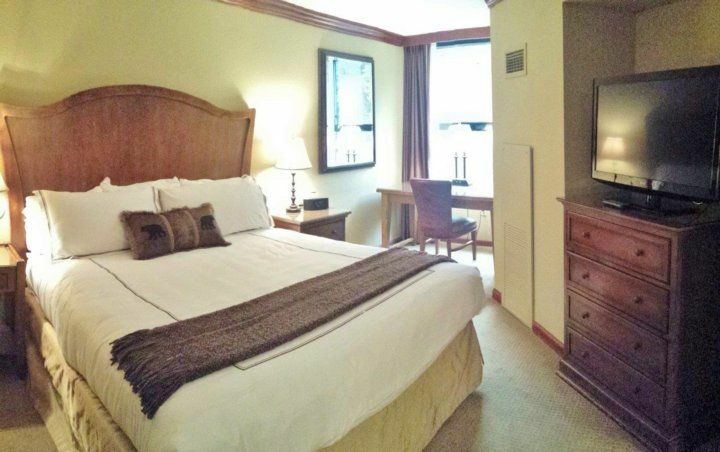 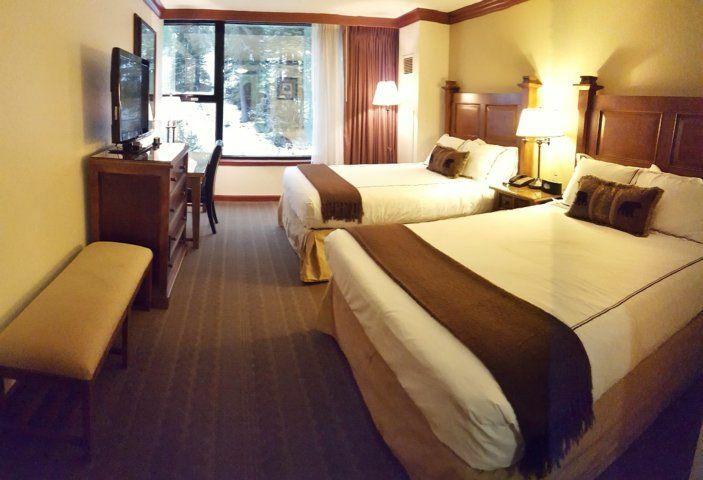 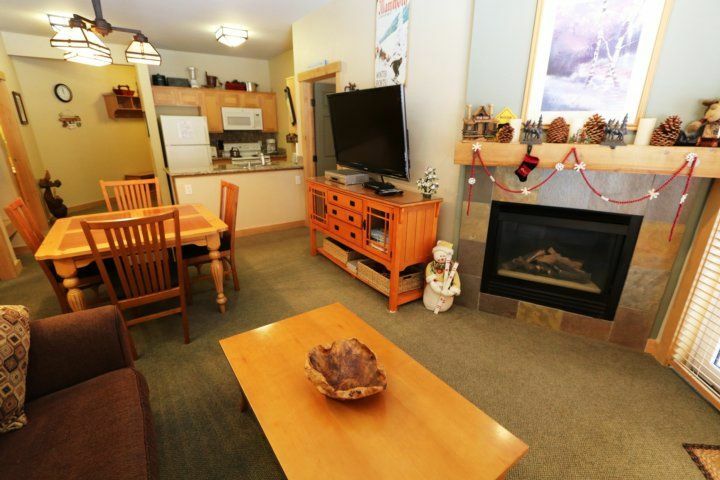 An HD TV with cable and a DVD player for endless vacation relaxation. 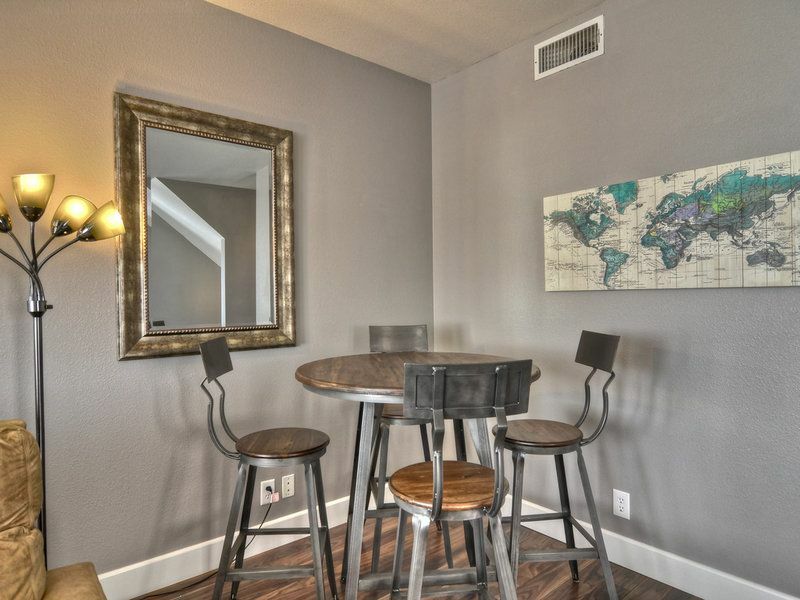 A tall table with four chairs is the perfect place for casual dining or board games. 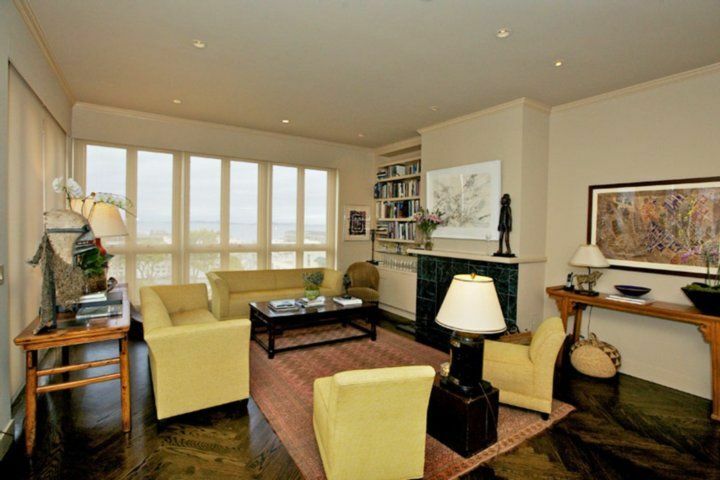 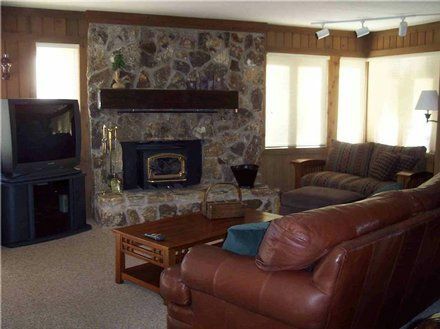 A cozy fireplace makes this room even more warm and welcoming. 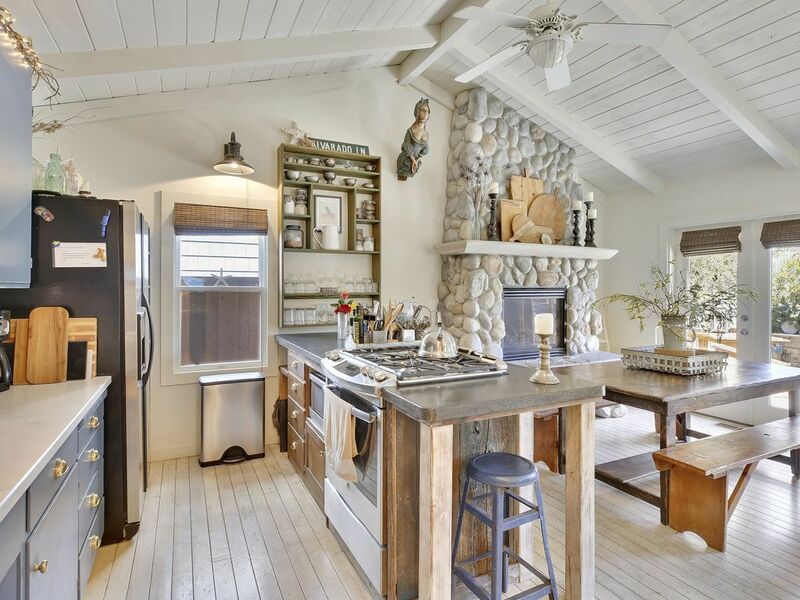 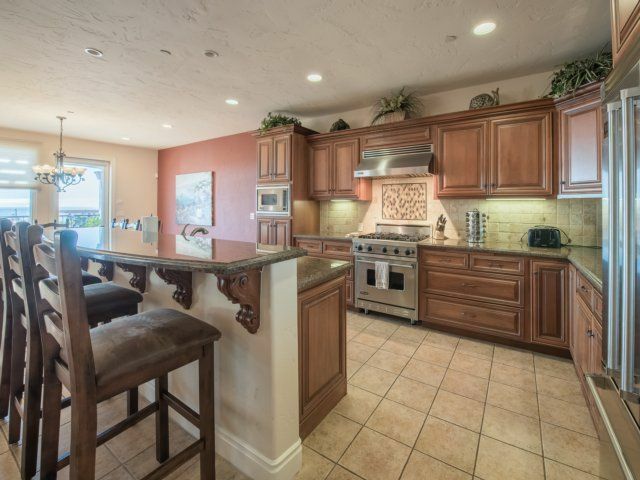 Kitchen & Dining: The spacious kitchen at this San Clemente vacation rental will make dining in your home away from home a breeze. 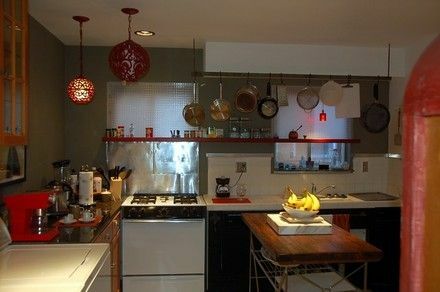 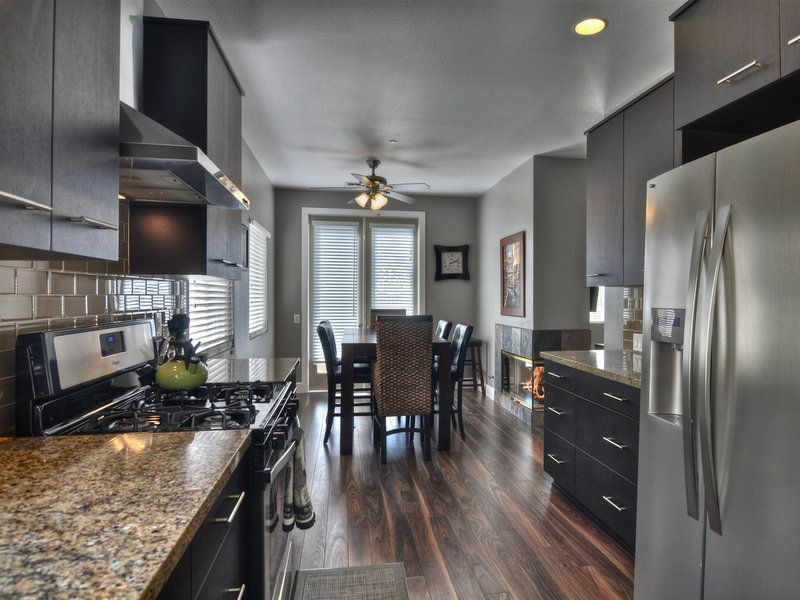 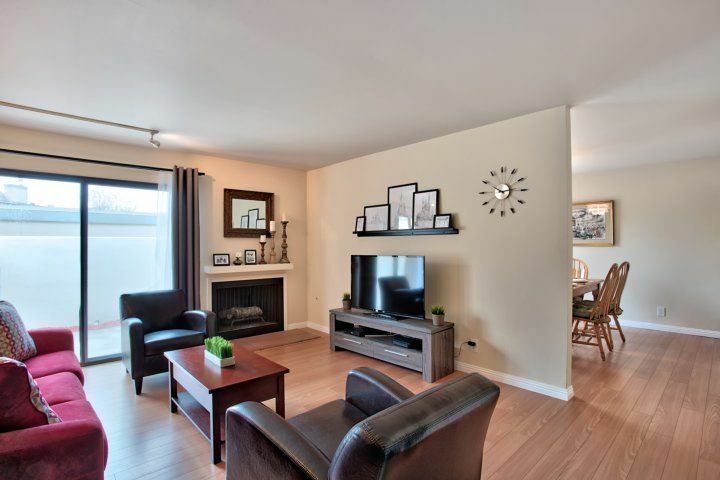 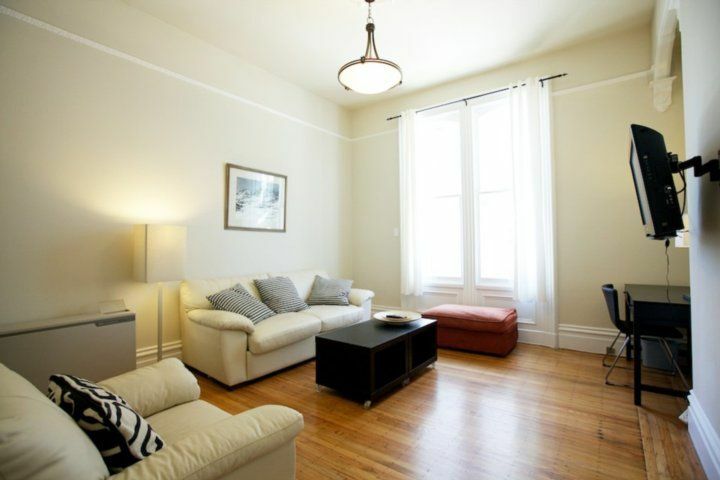 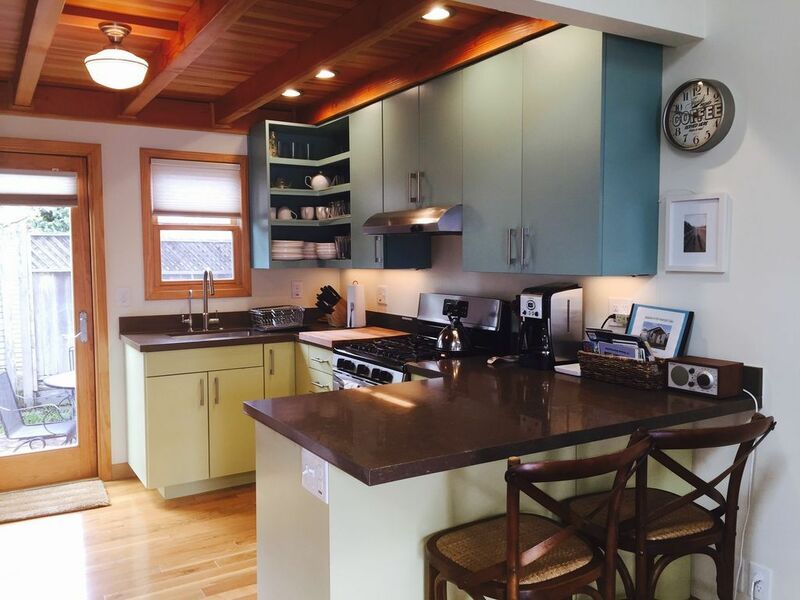 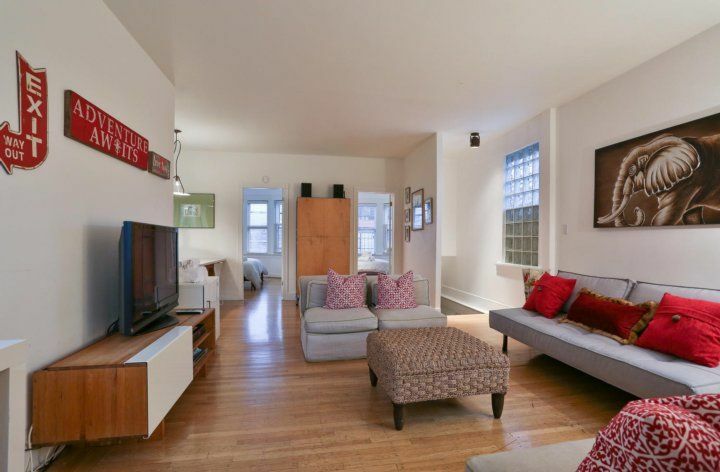 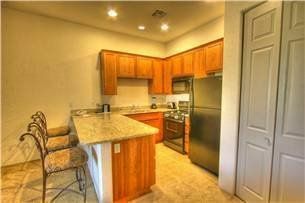 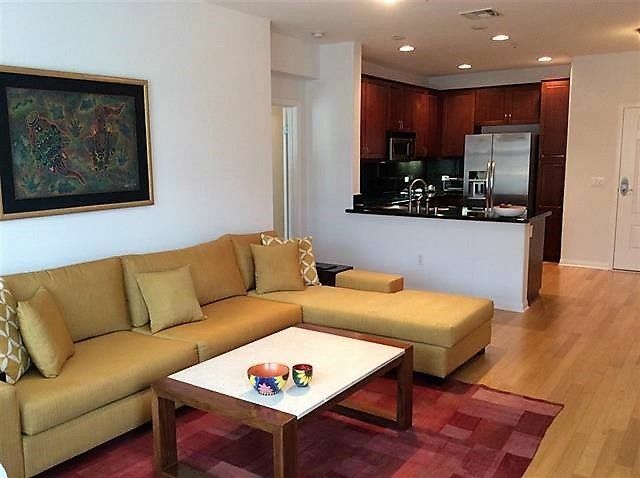 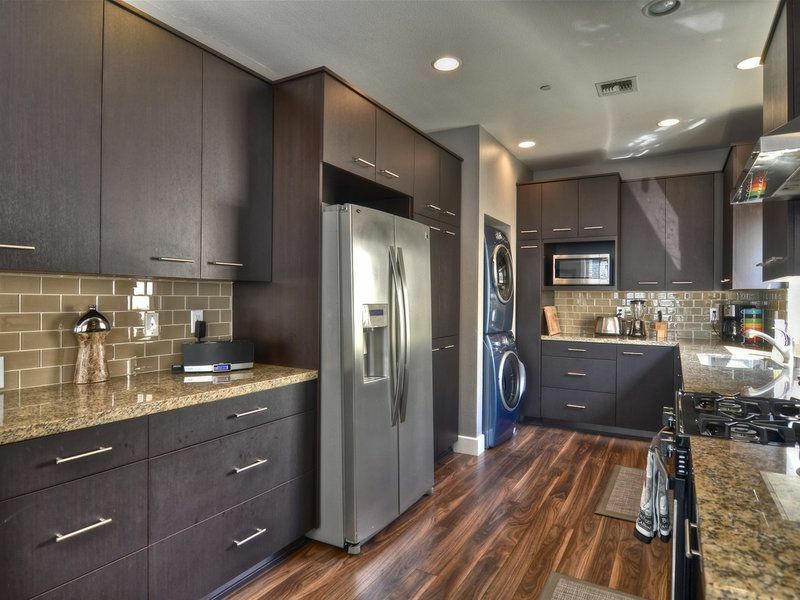 The kitchen and dining room include: All new appliances and spacious countertops for an enjoyable cooking experience. 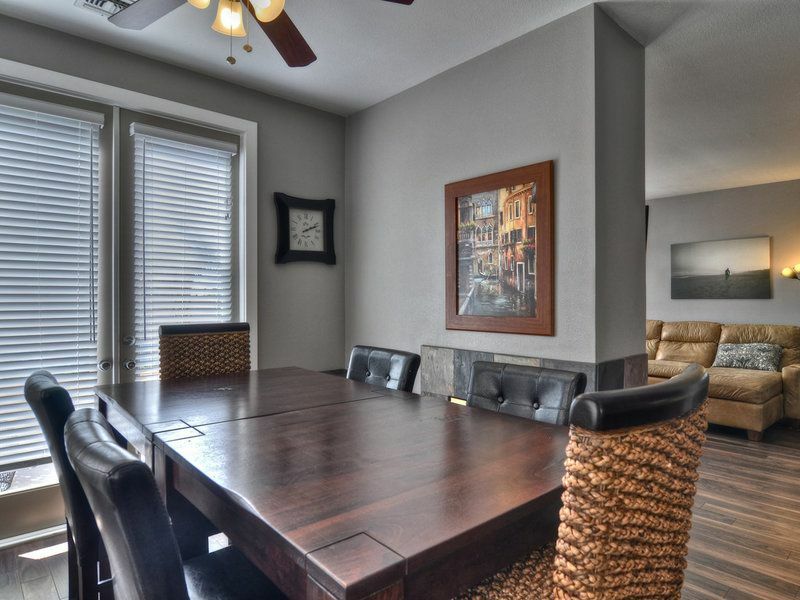 The dining room seats six. 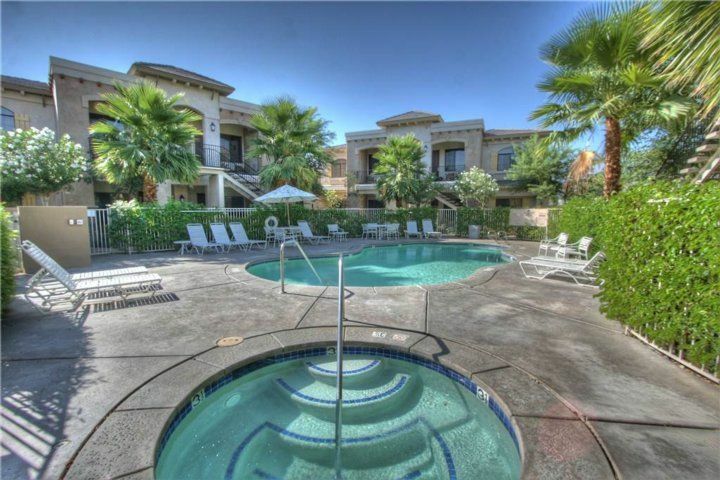 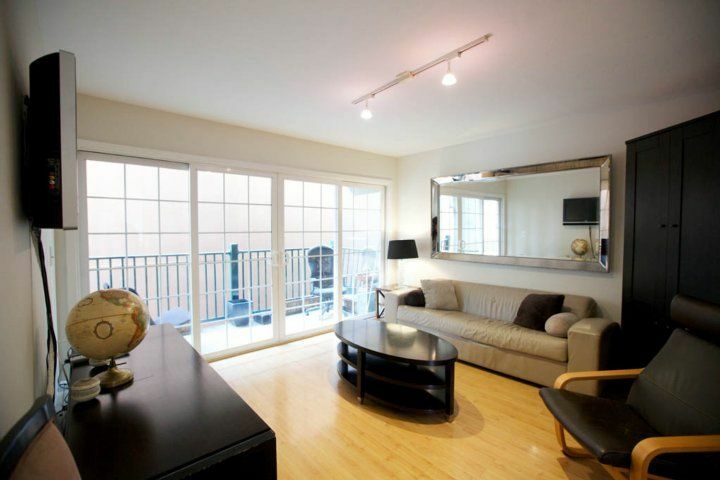 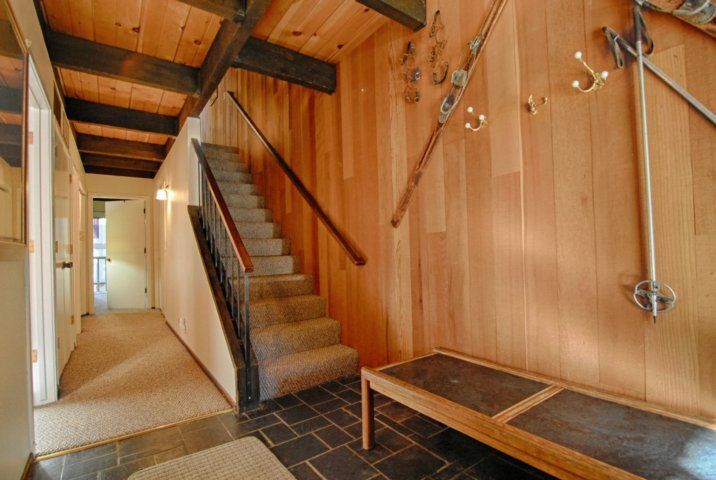 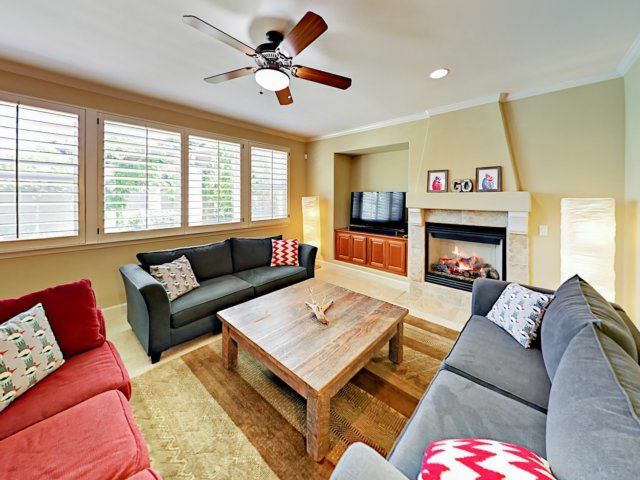 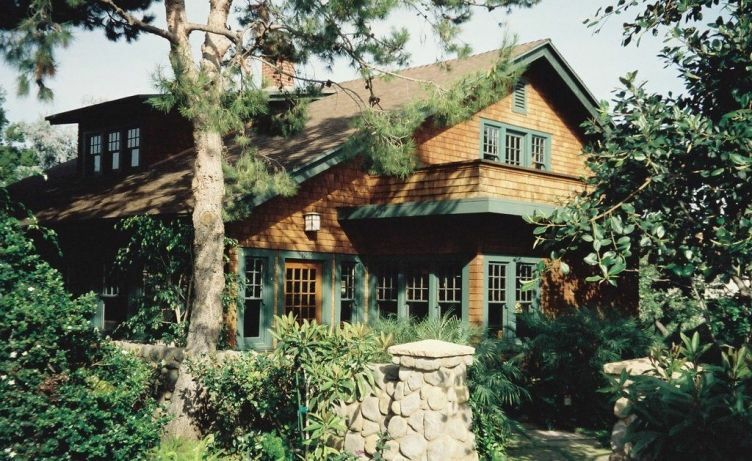 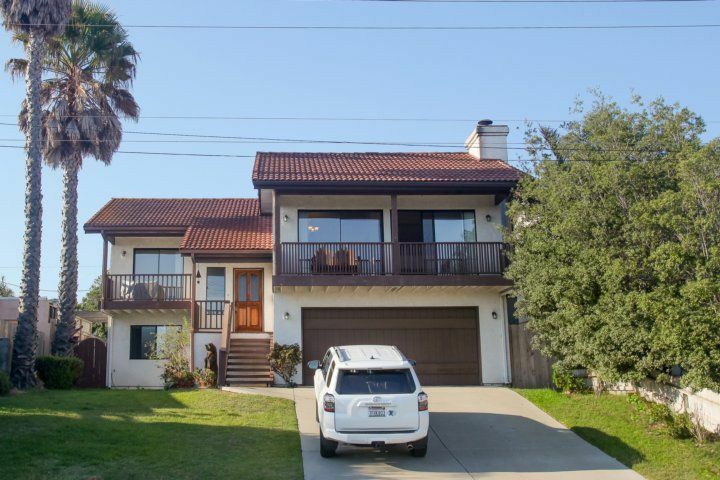 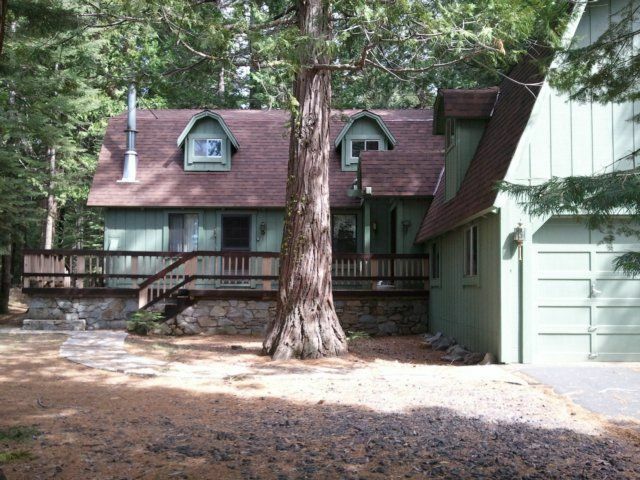 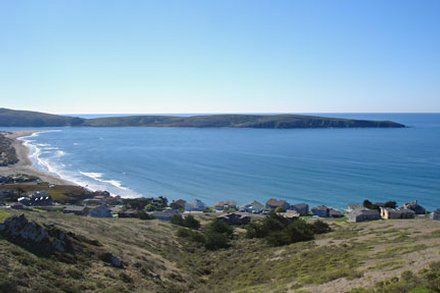 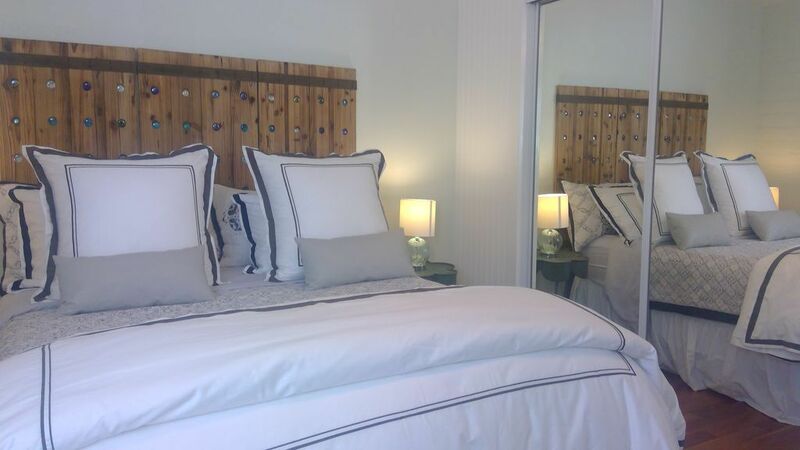 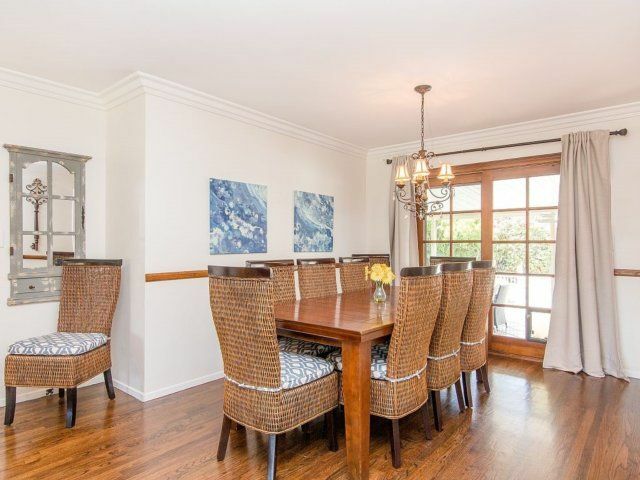 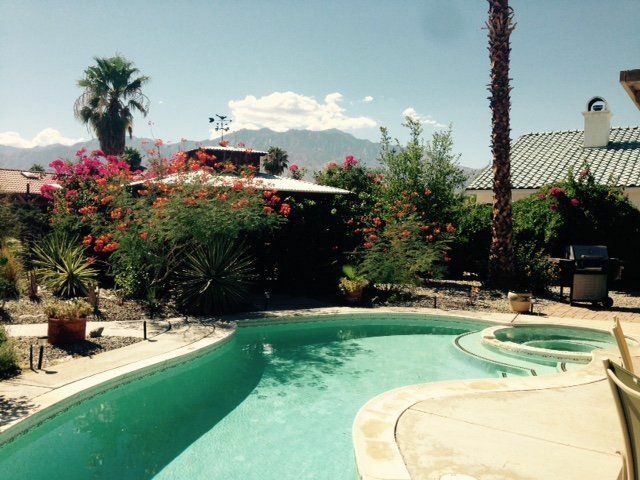 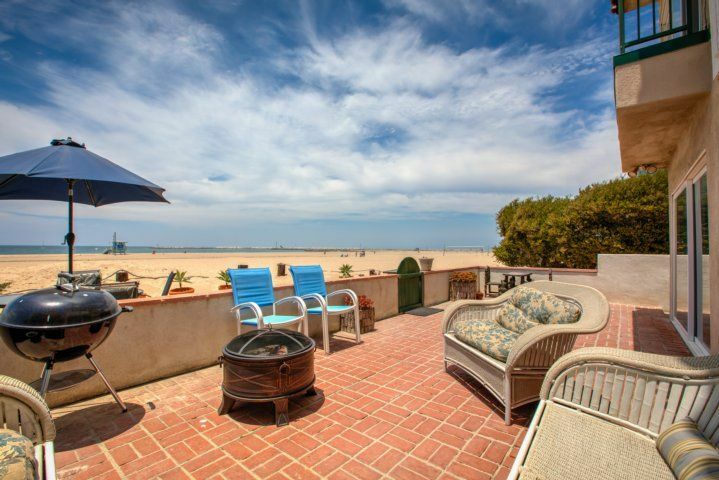 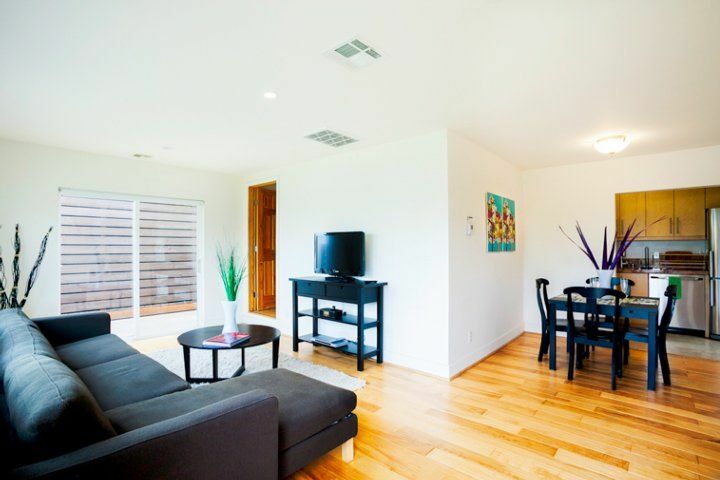 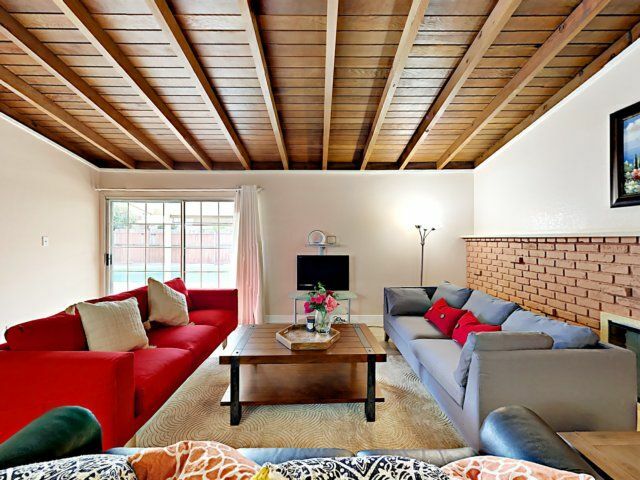 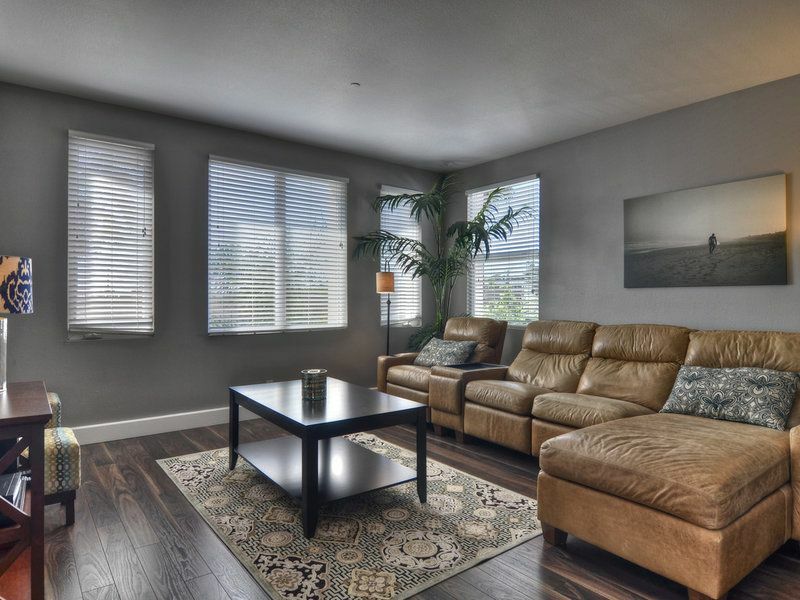 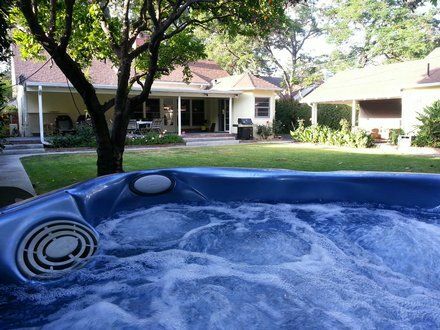 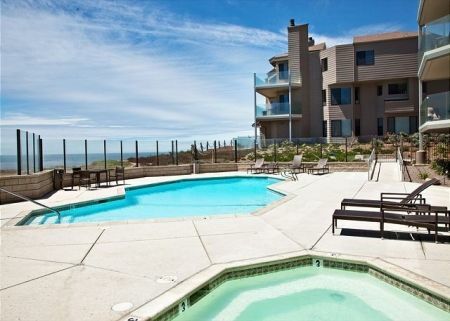 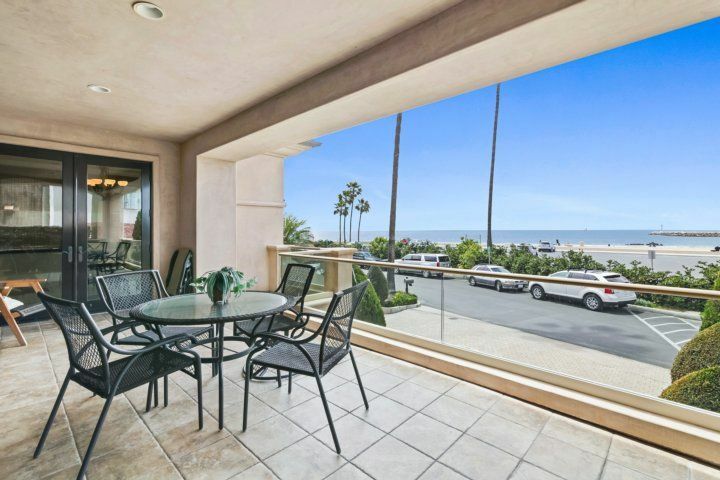 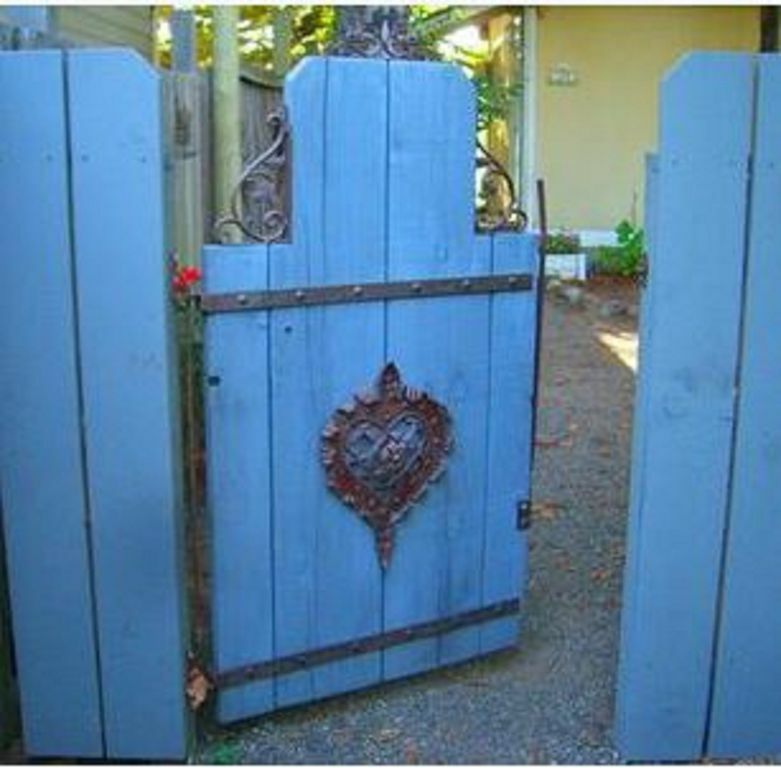 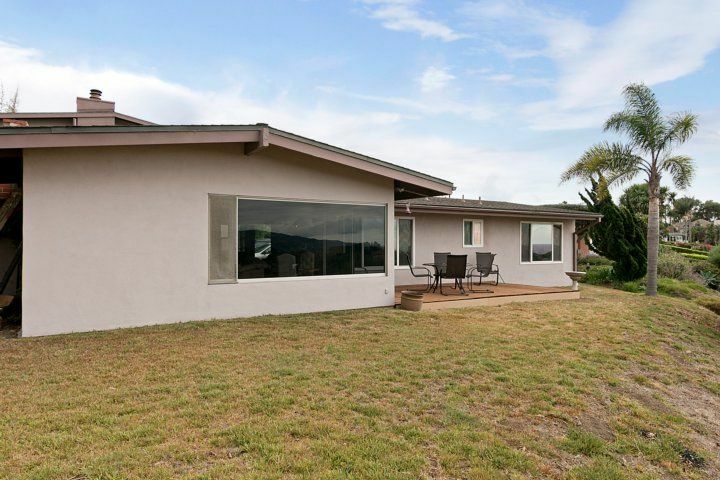 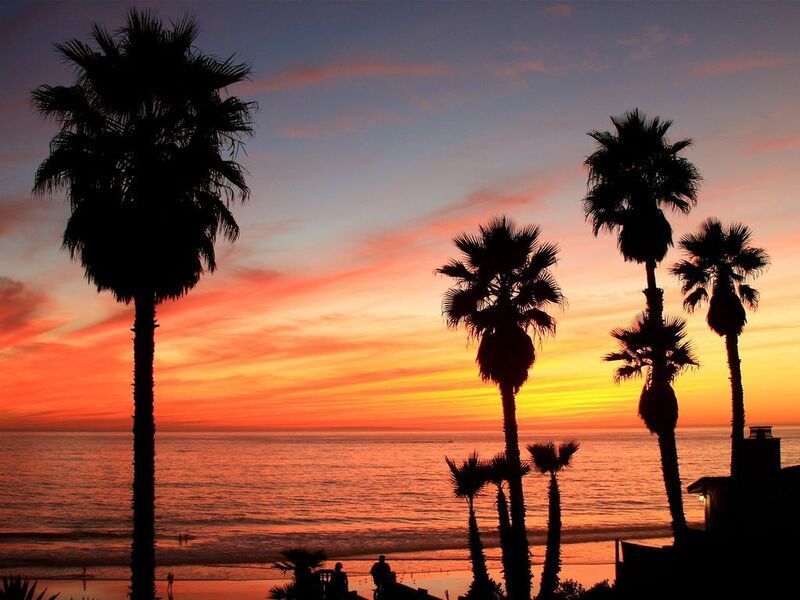 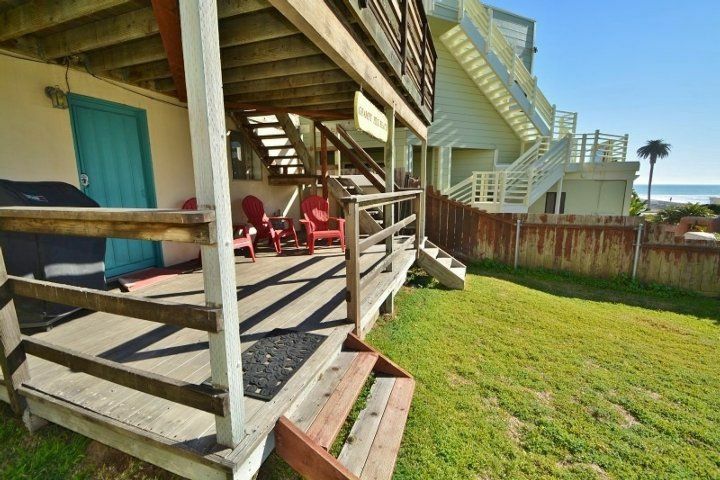 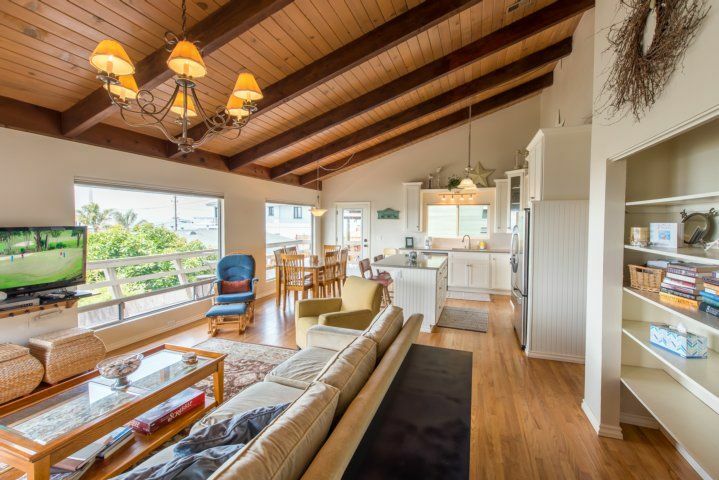 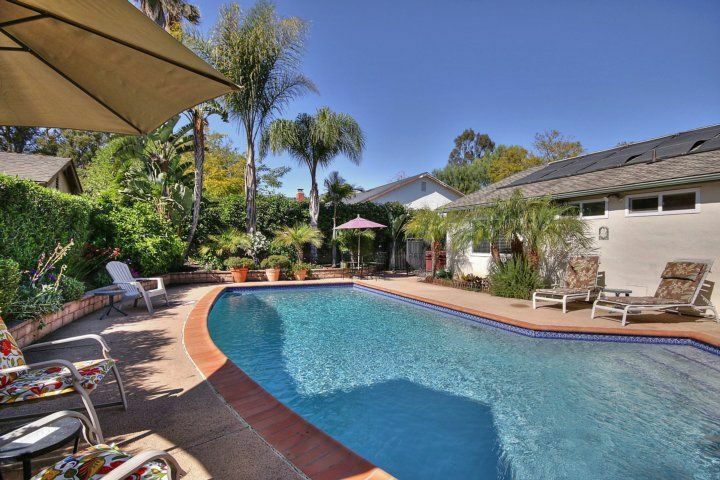 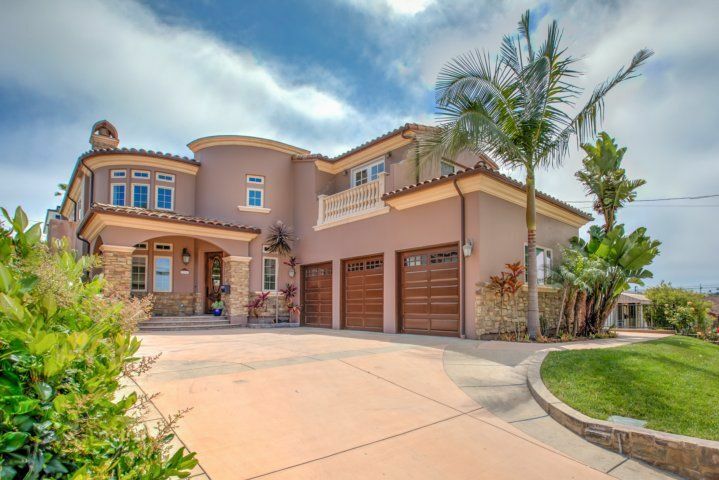 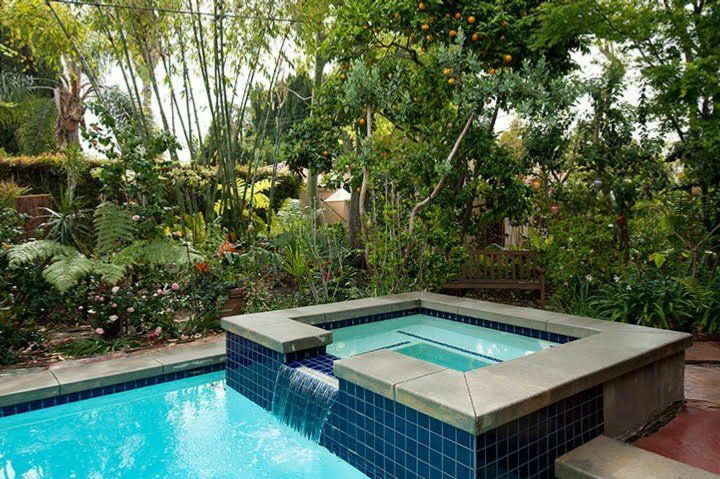 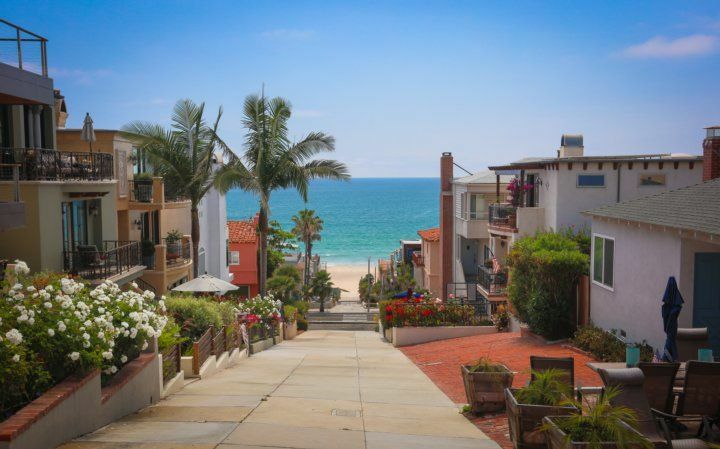 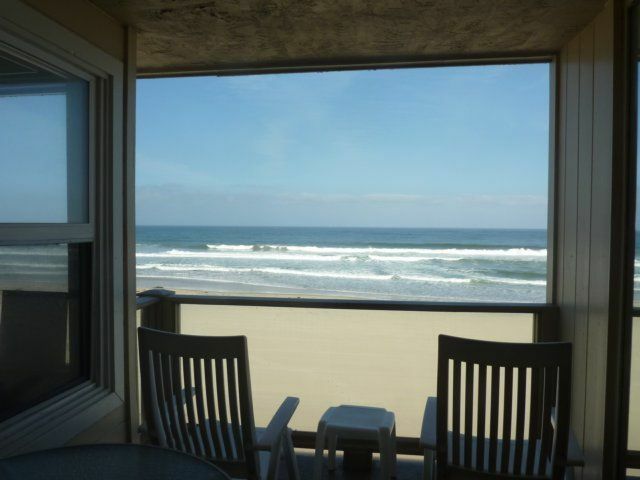 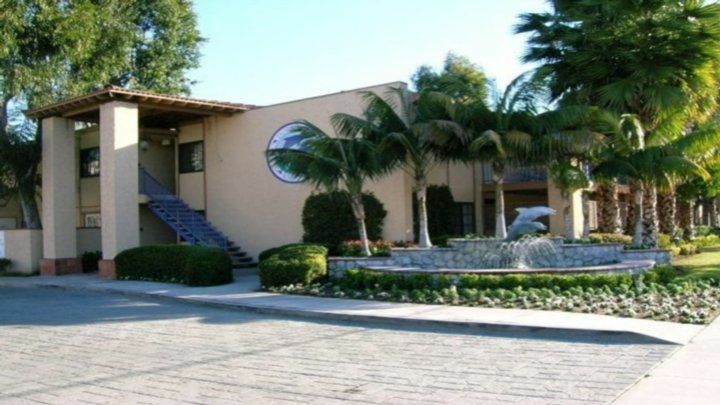 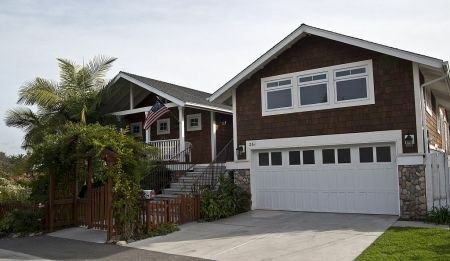 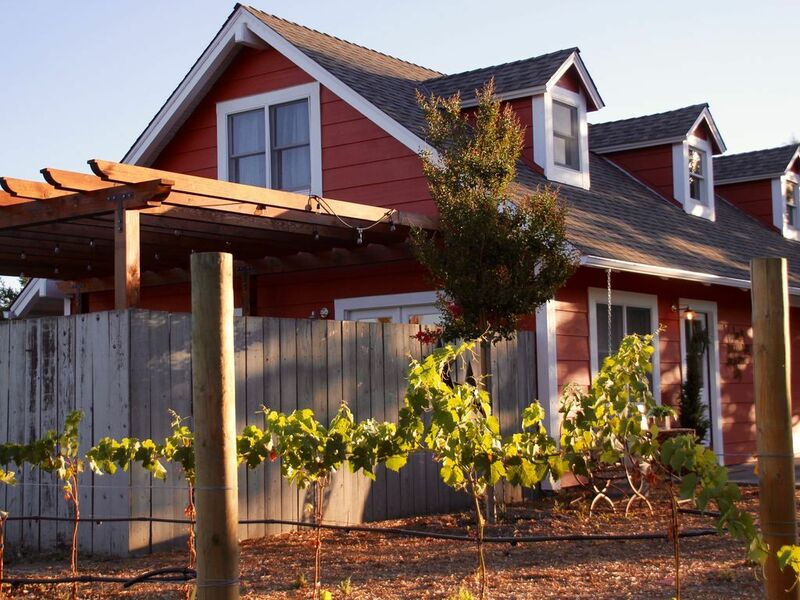 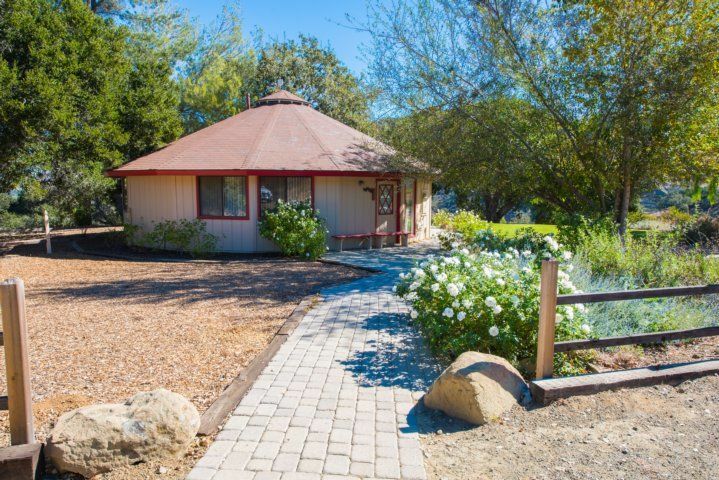 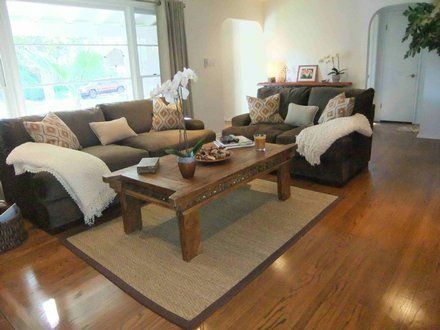 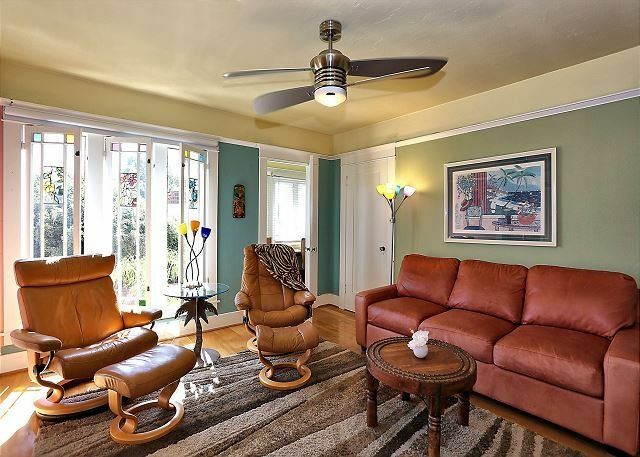 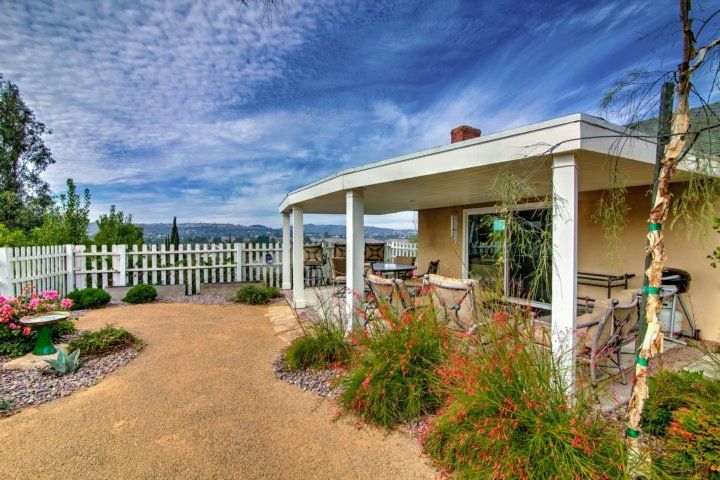 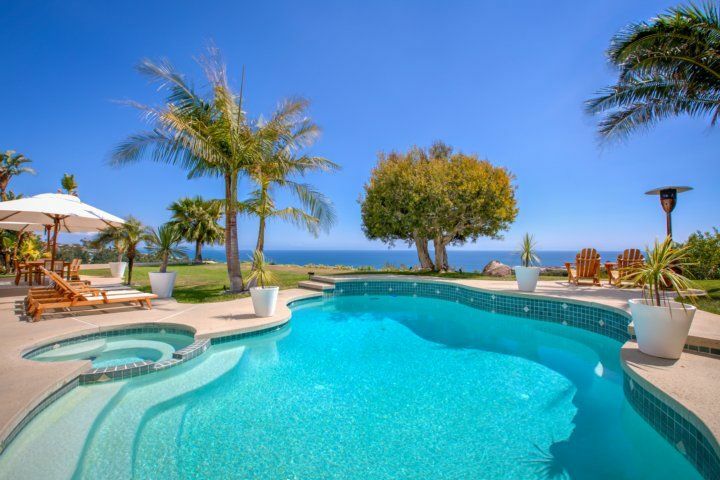 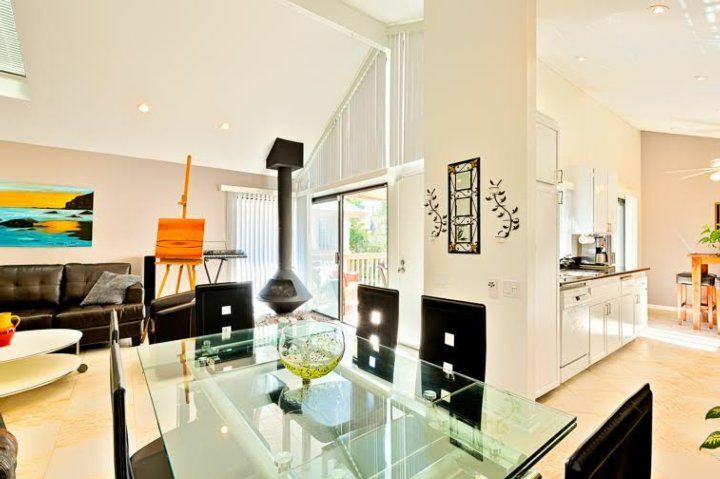 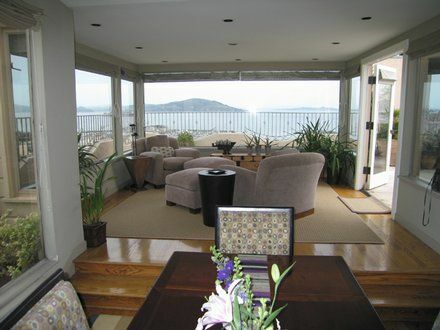 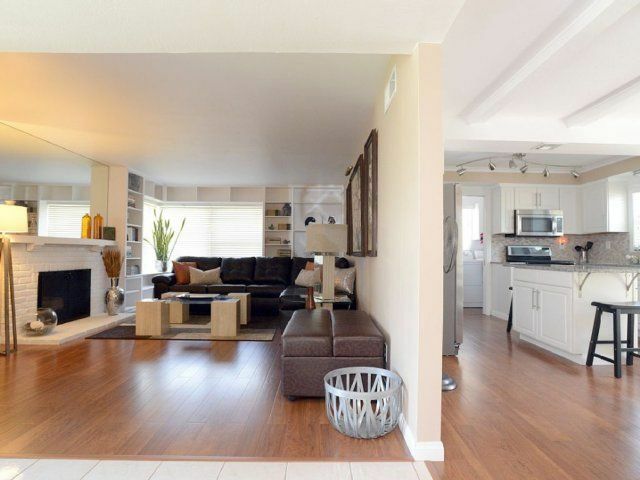 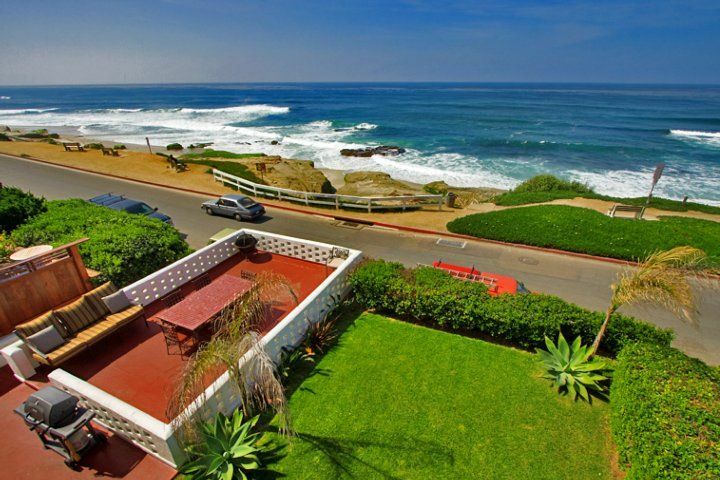 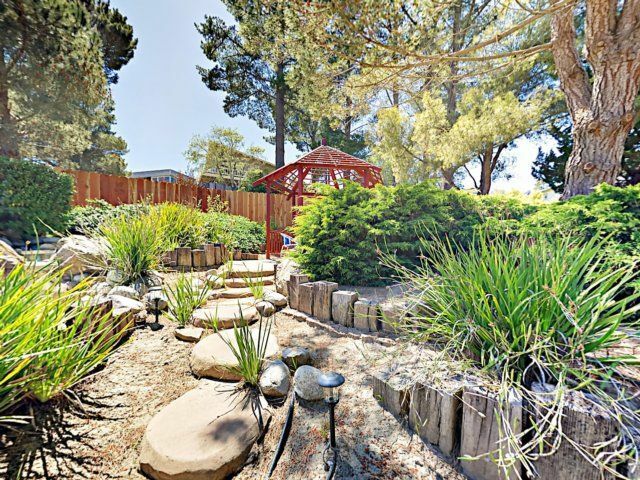 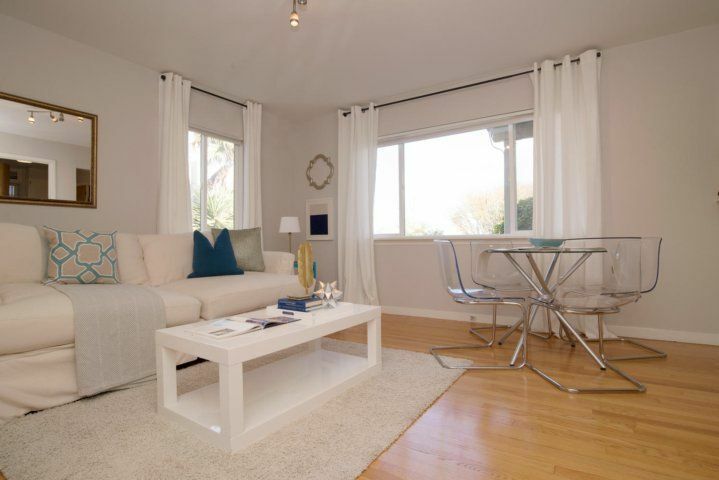 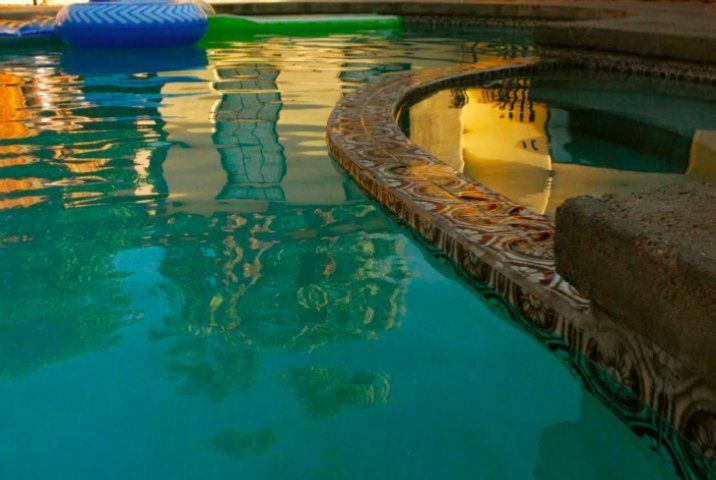 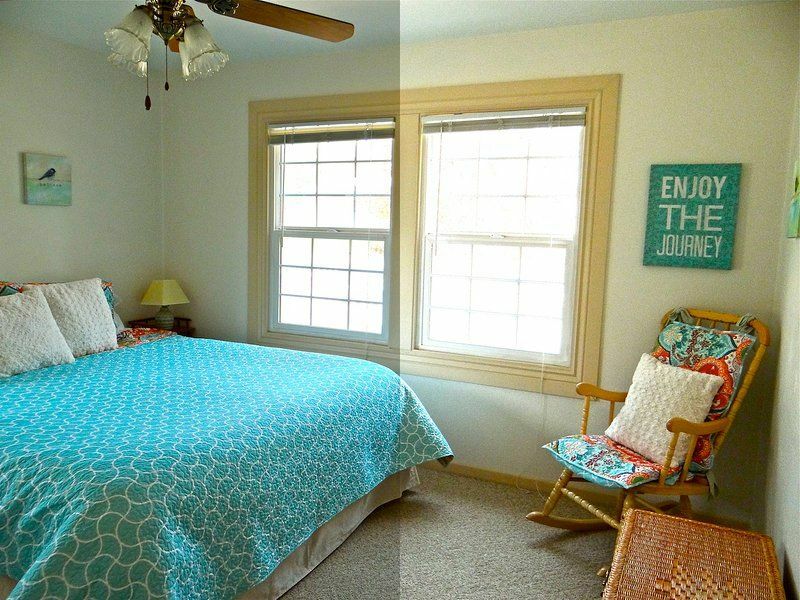 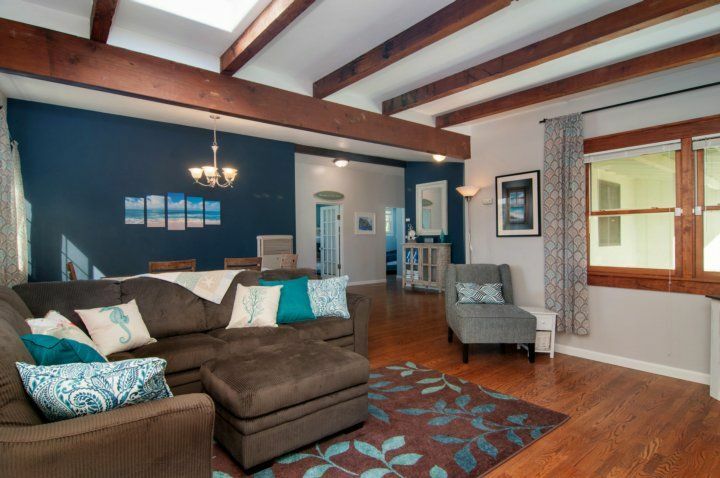 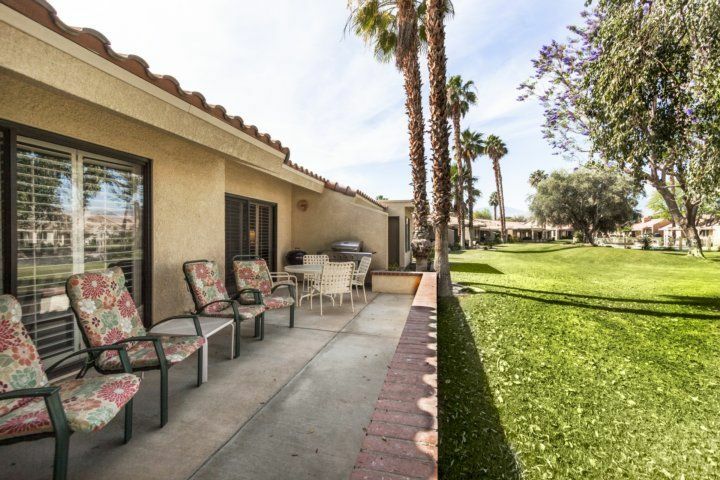 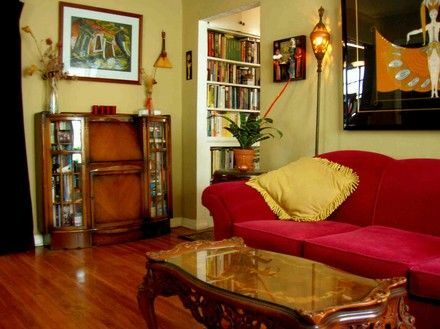 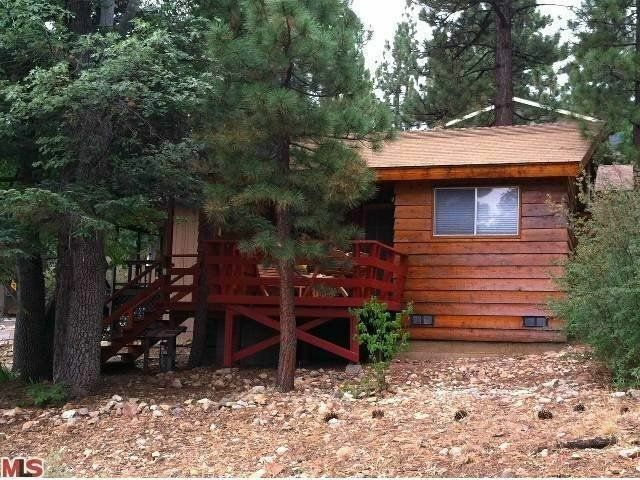 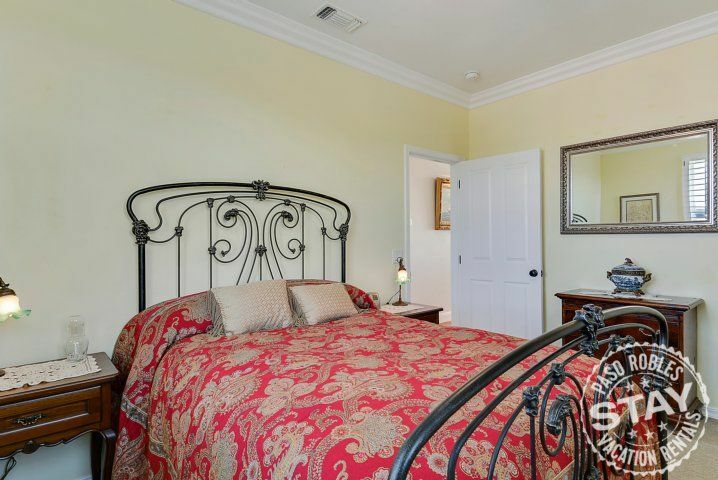 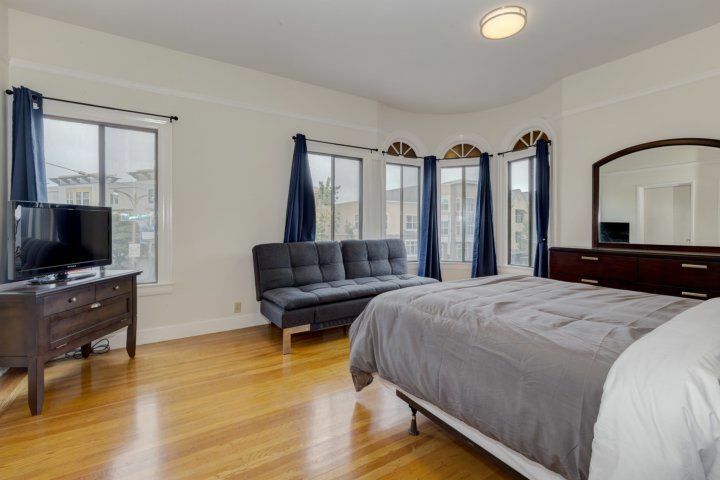 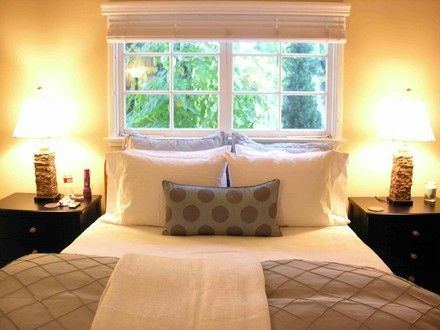 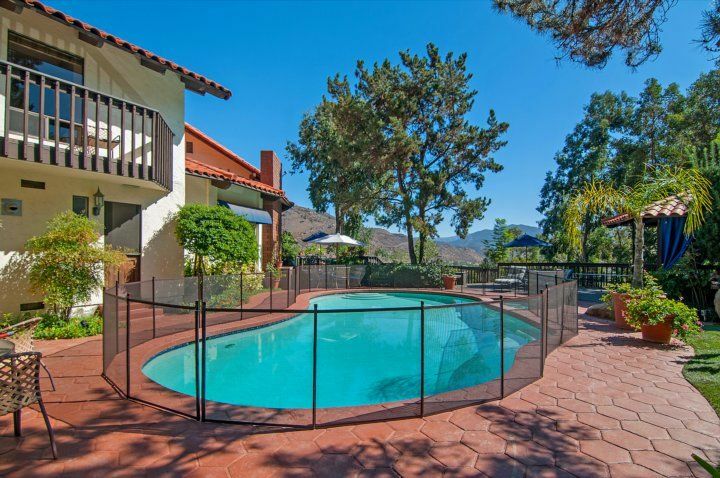 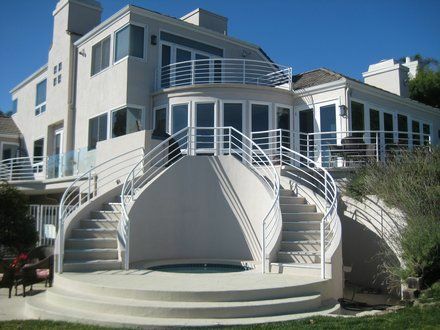 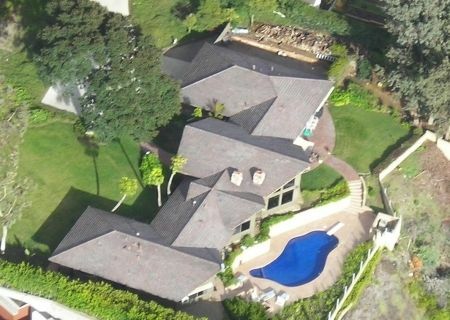 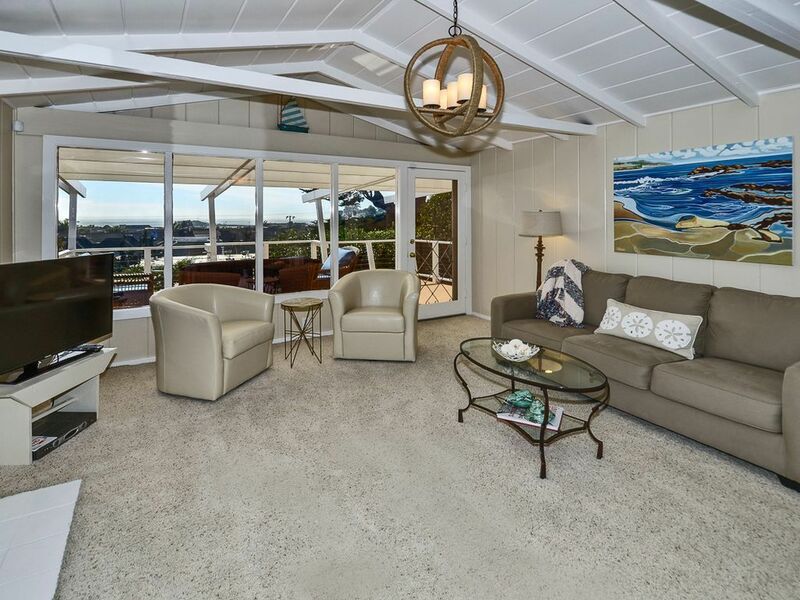 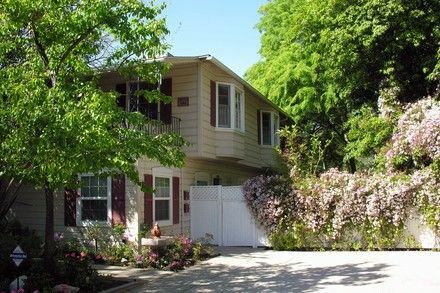 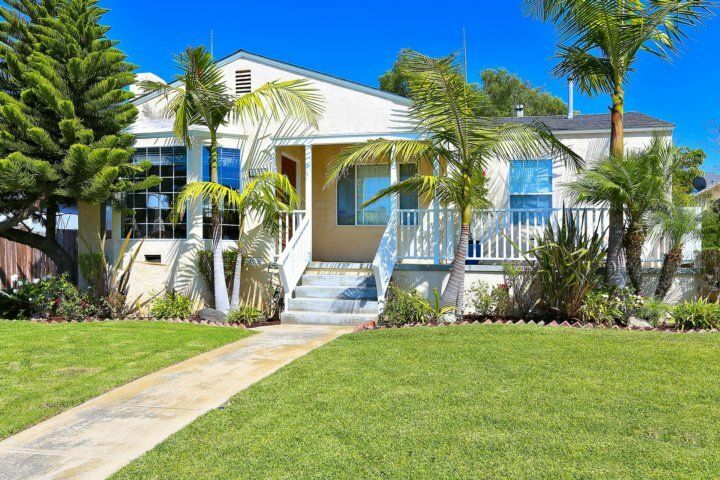 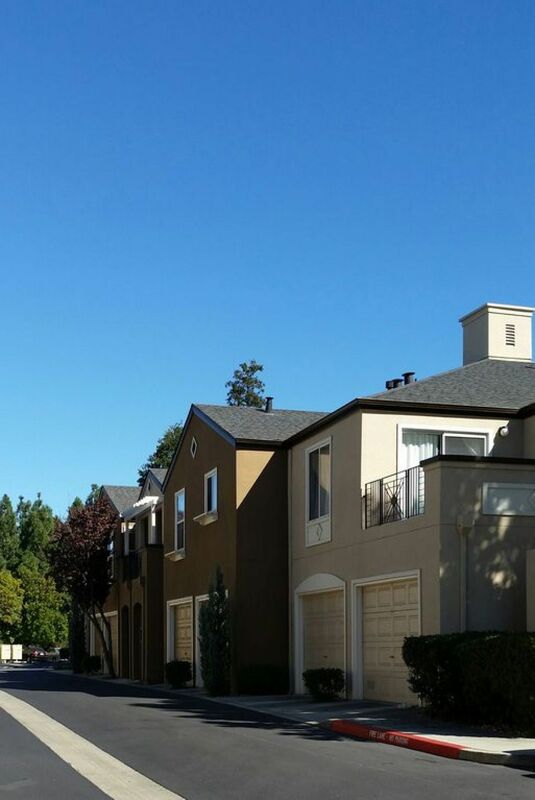 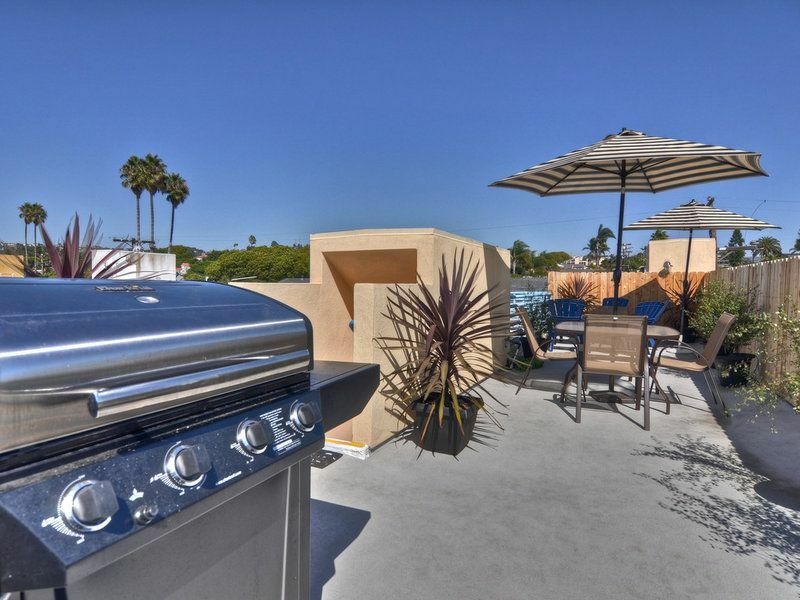 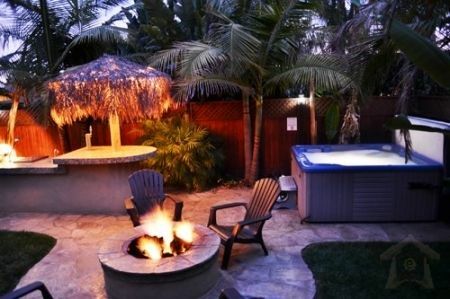 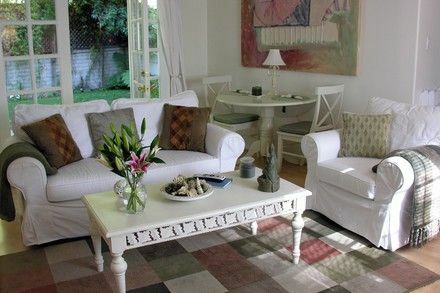 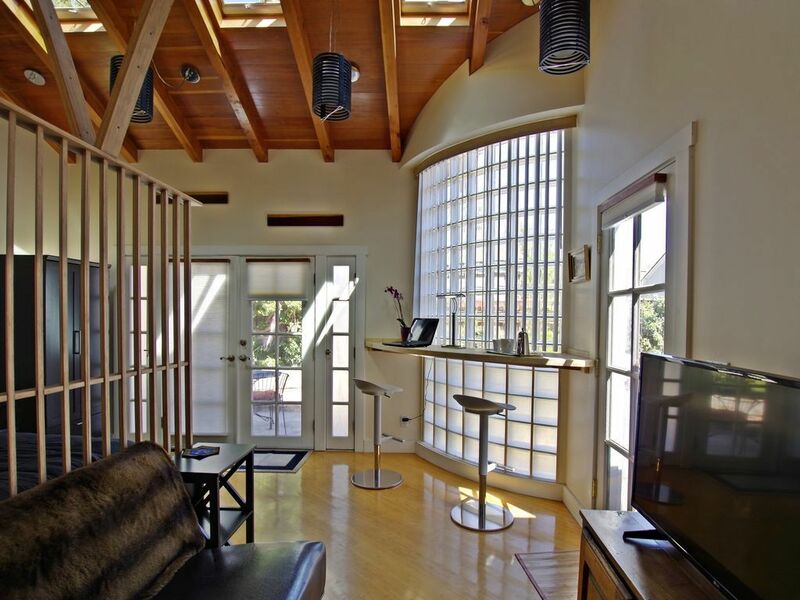 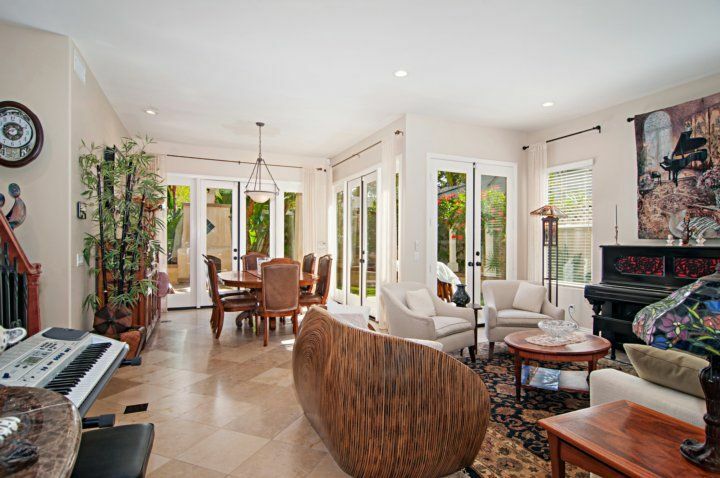 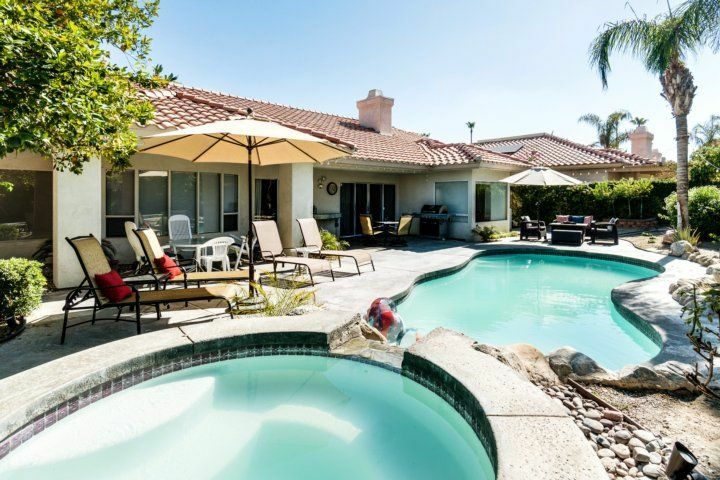 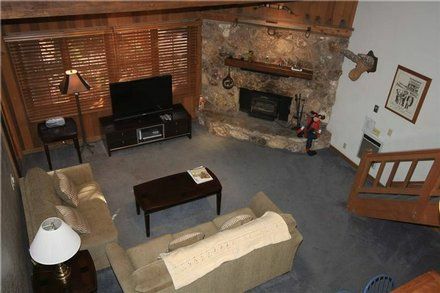 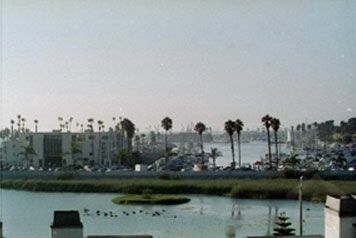 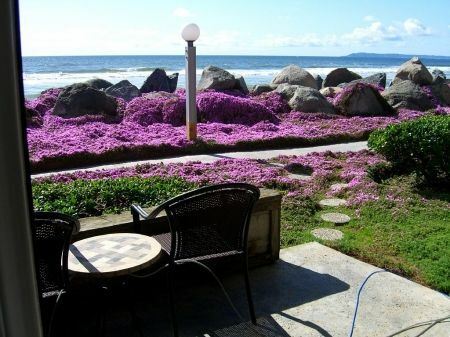 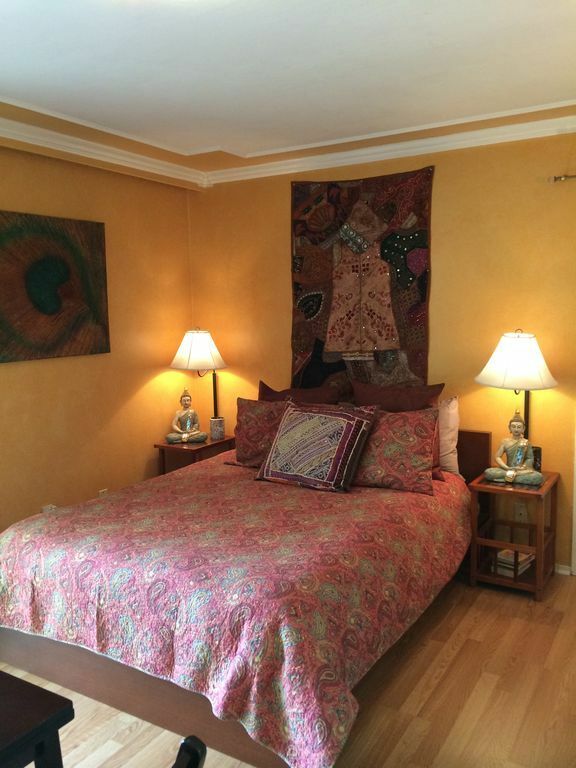 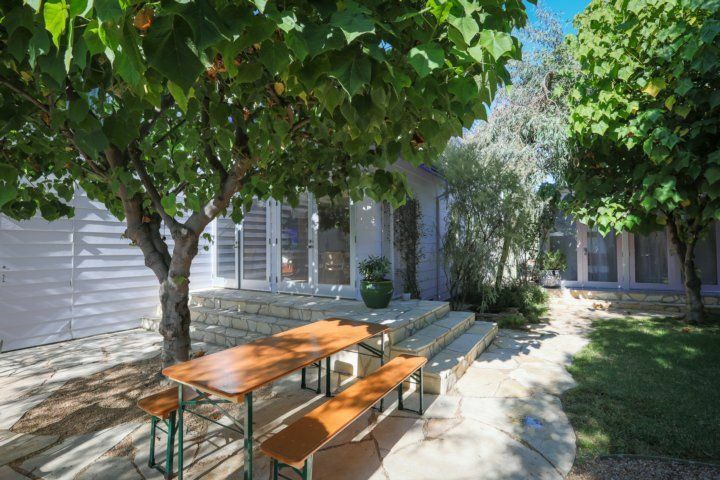 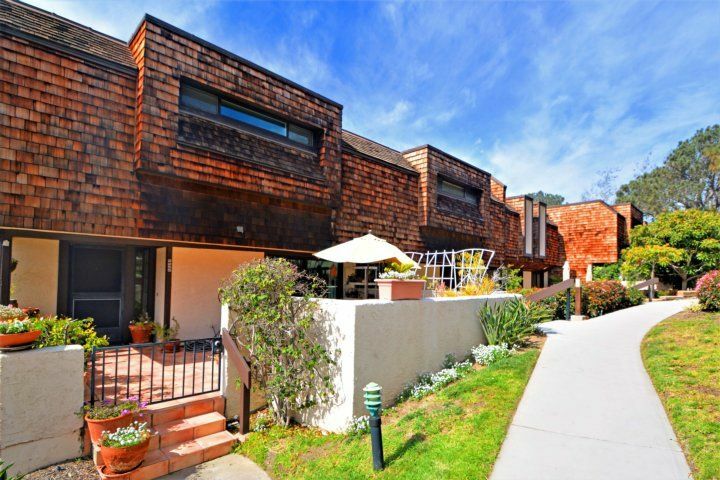 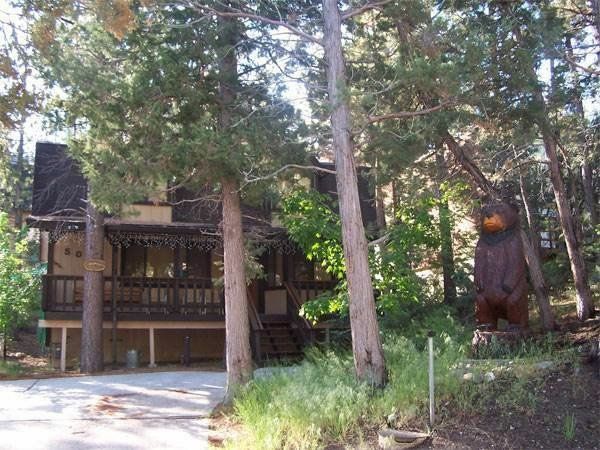 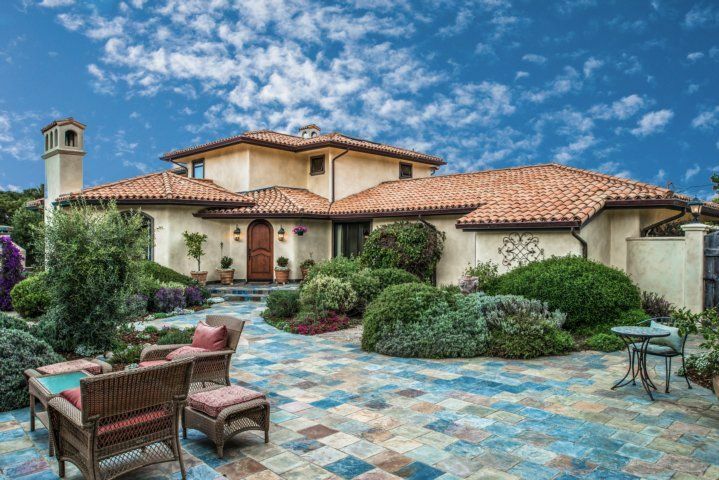 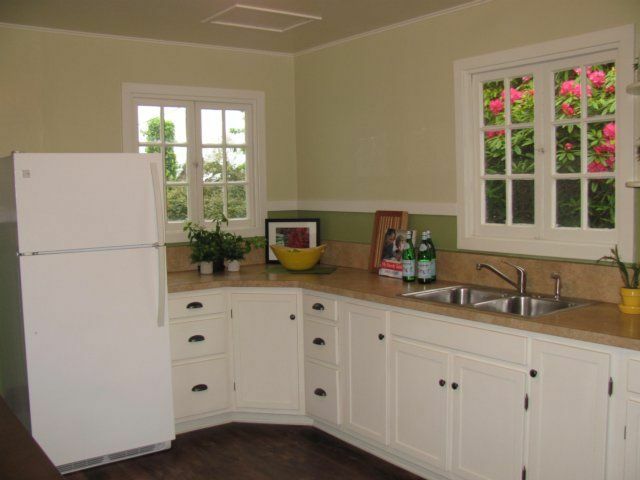 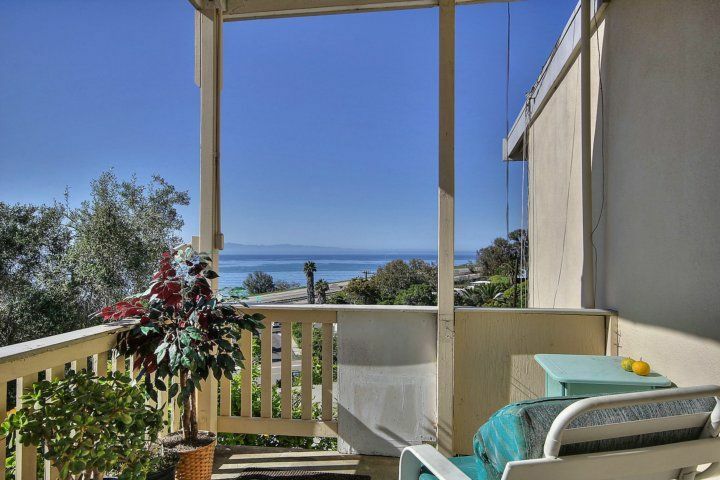 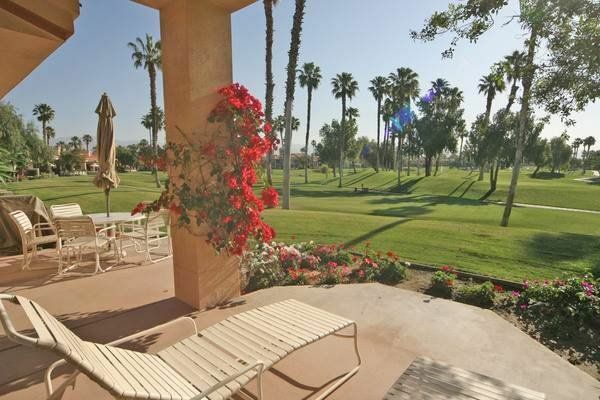 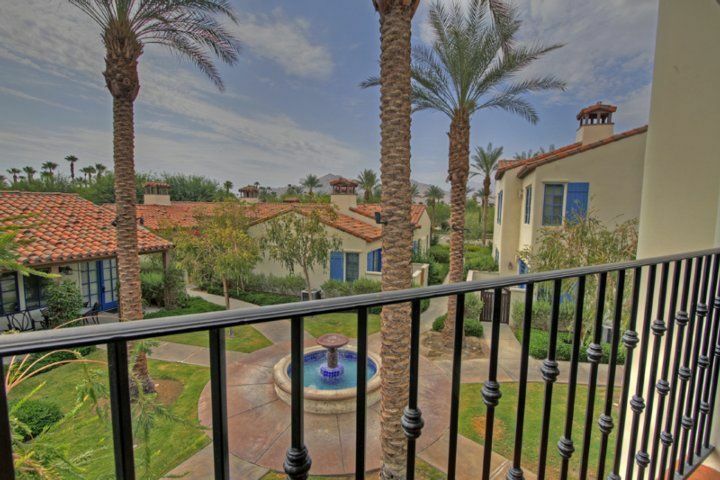 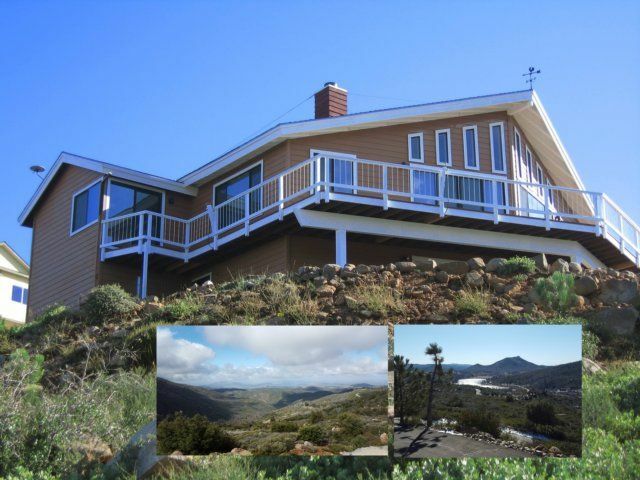 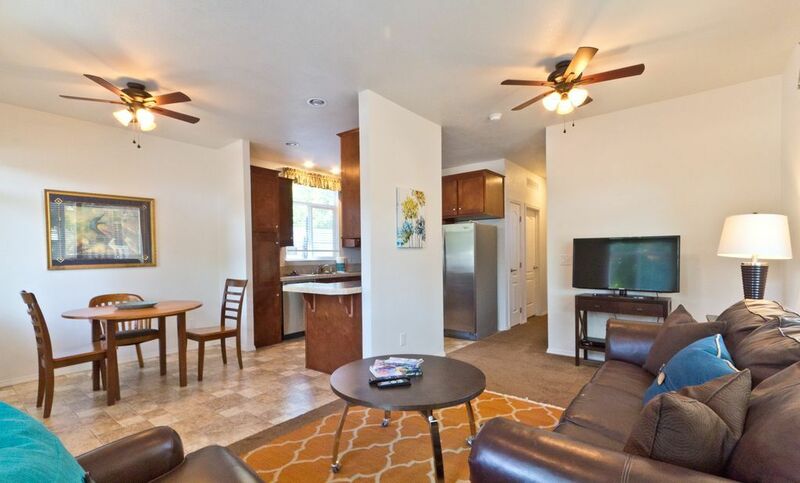 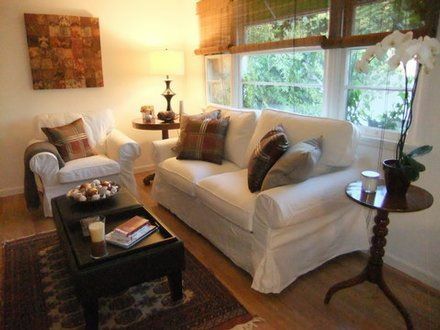 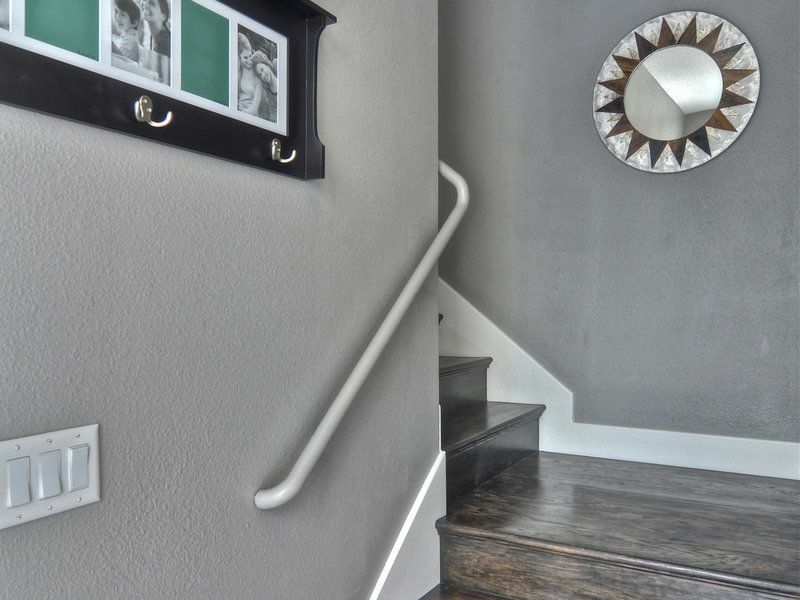 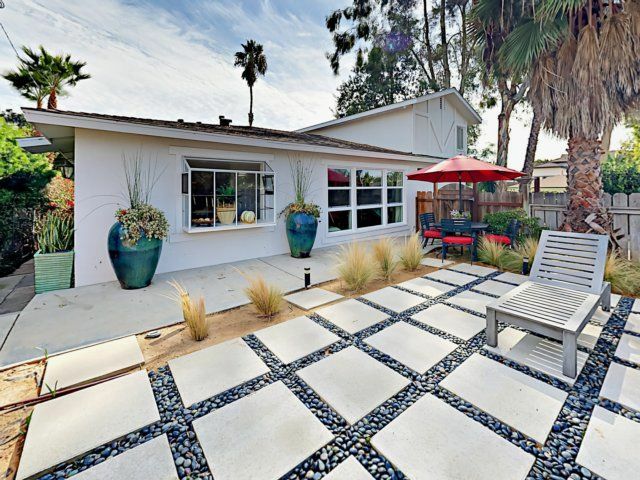 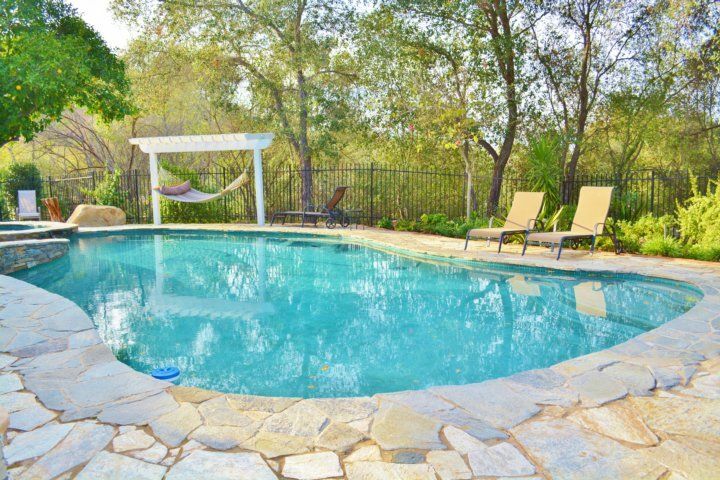 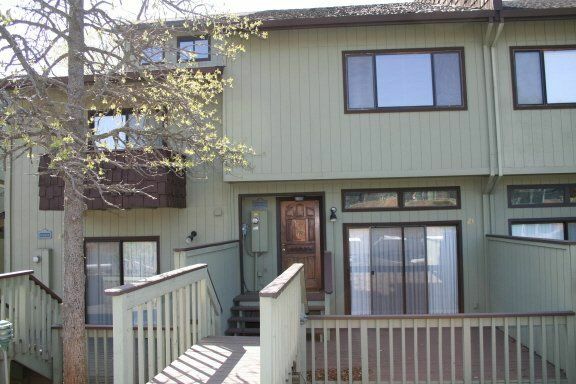 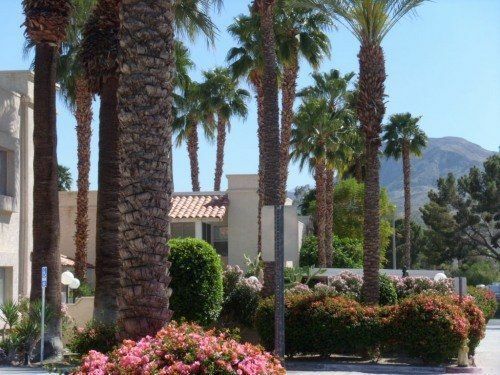 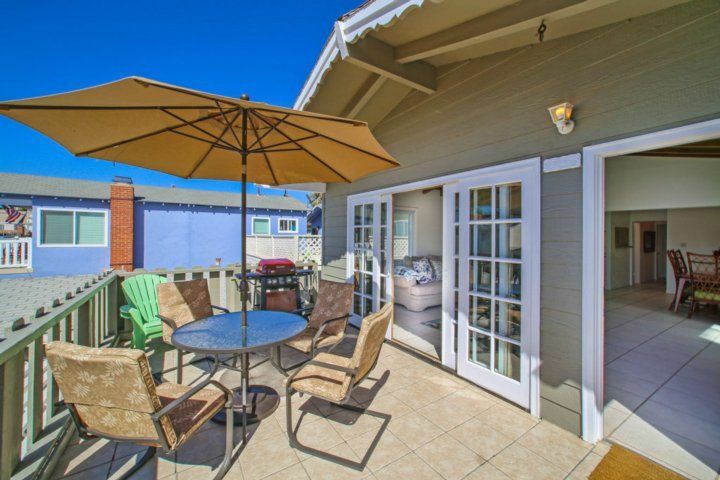 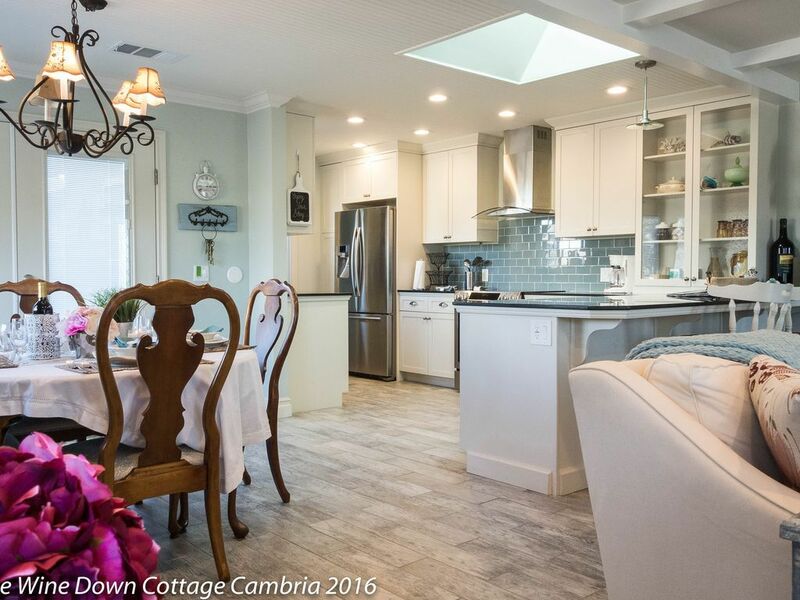 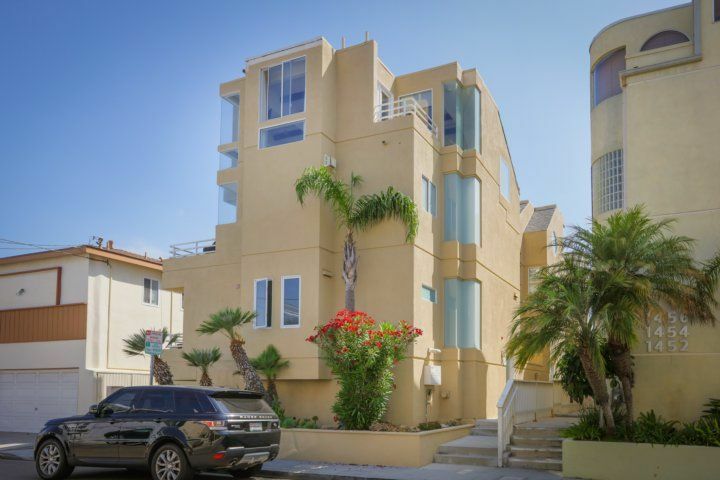 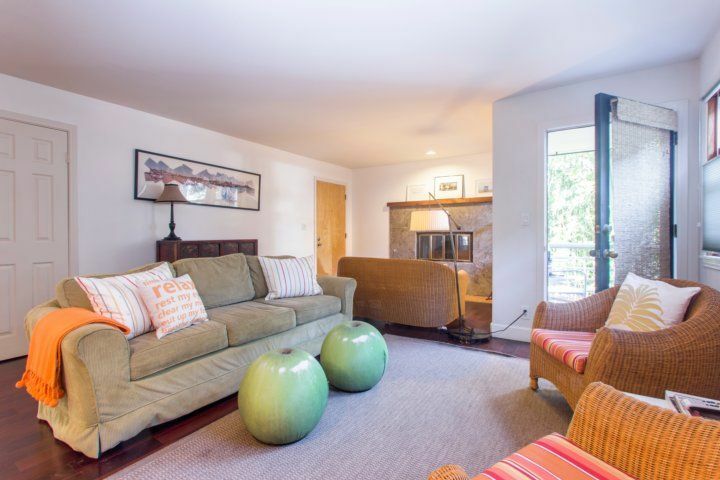 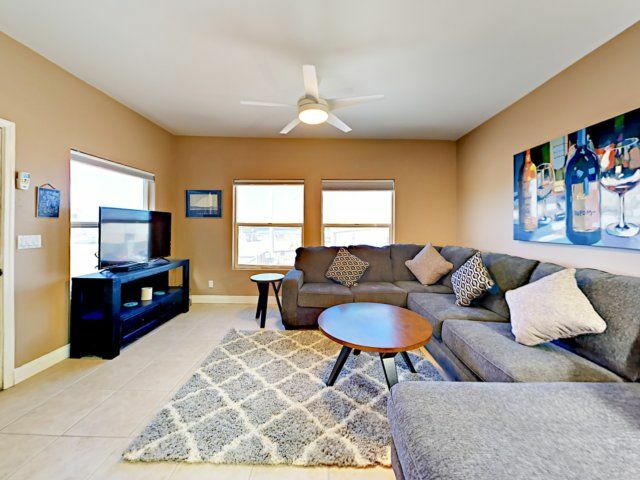 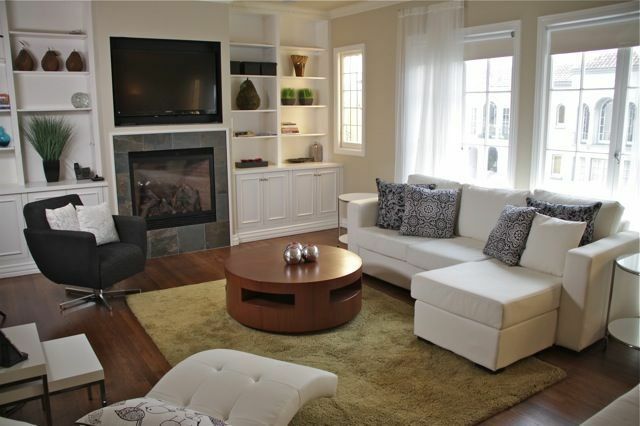 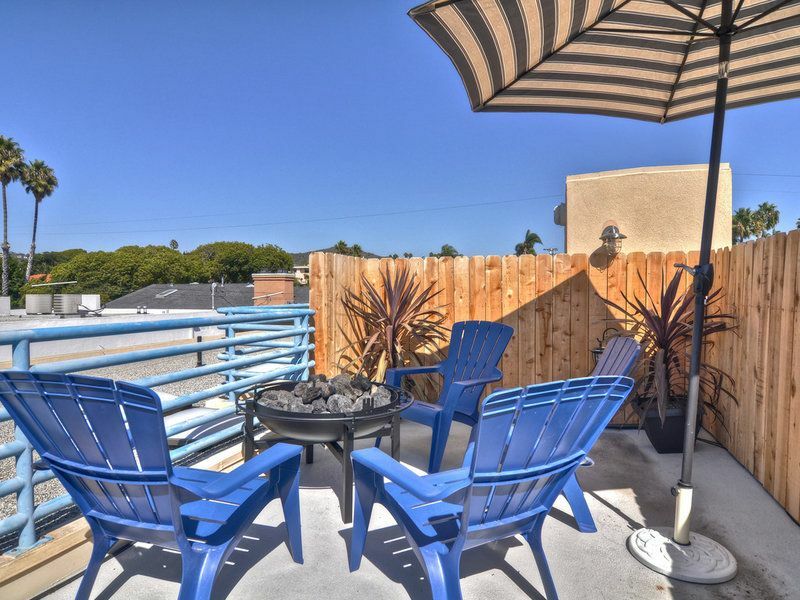 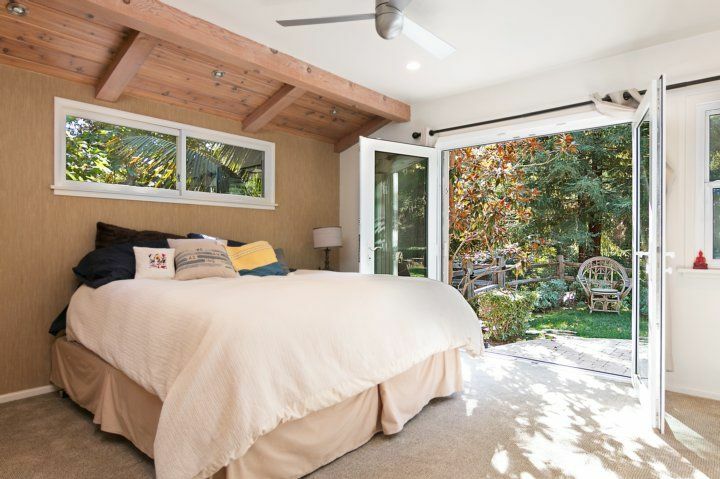 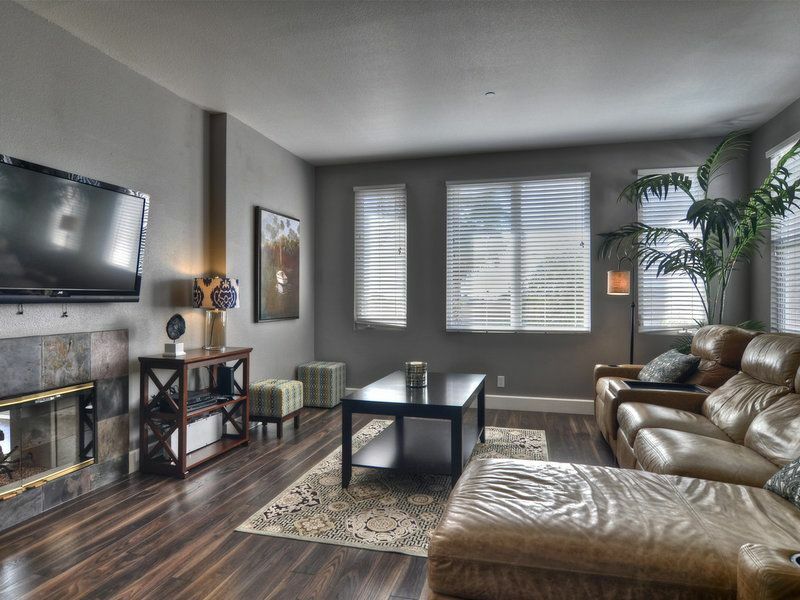 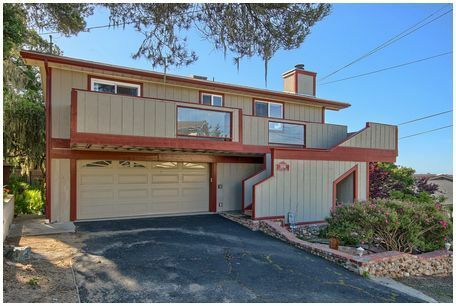 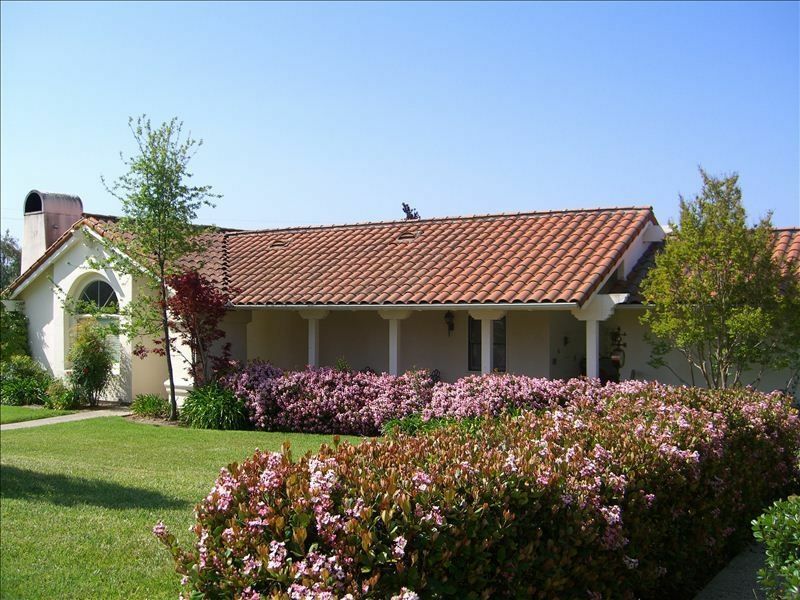 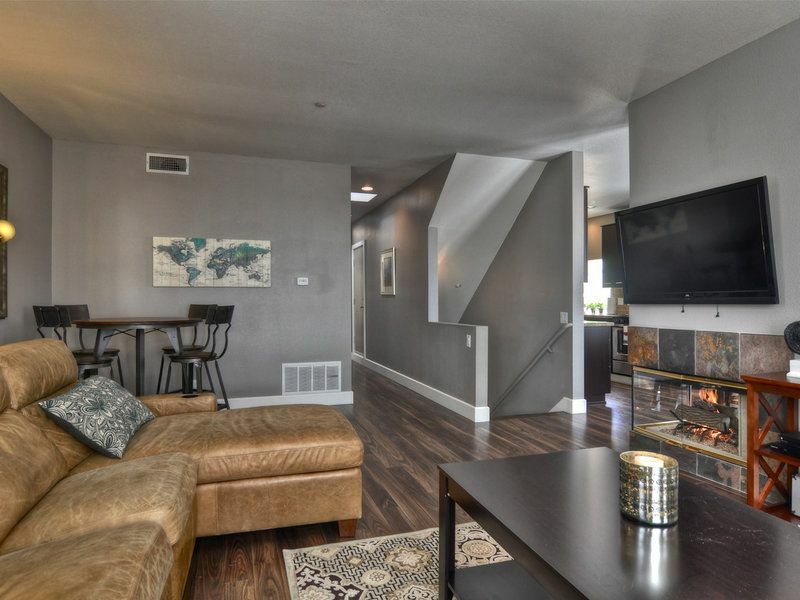 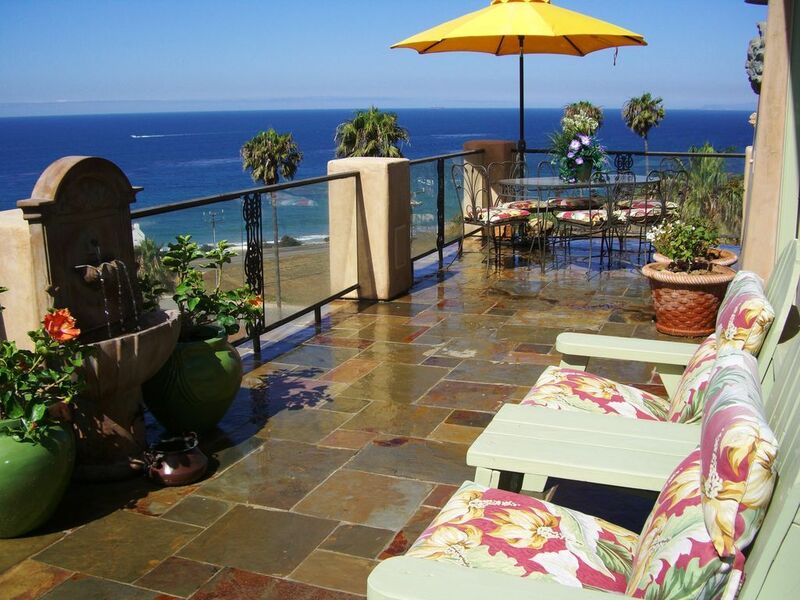 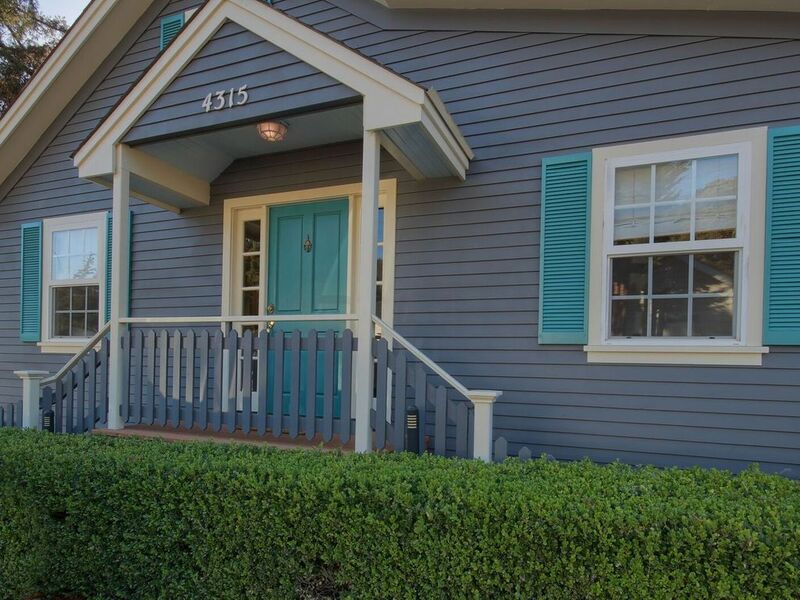 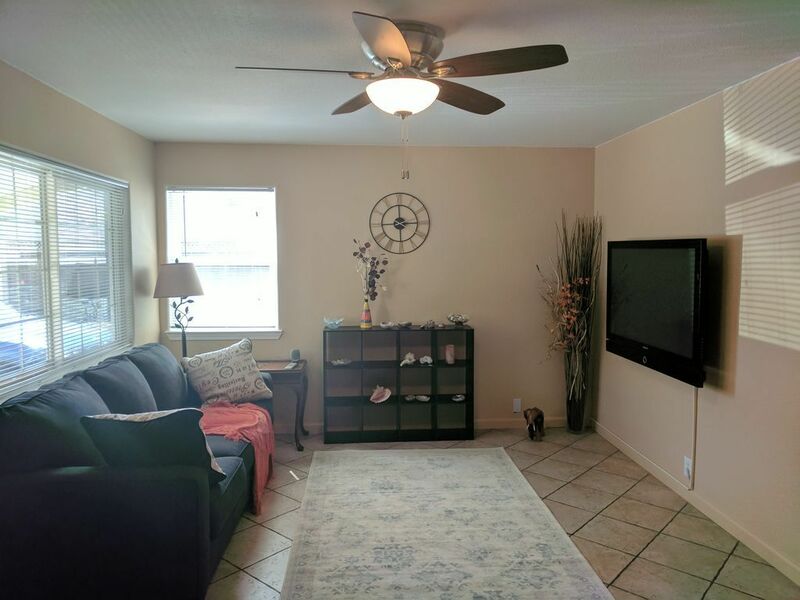 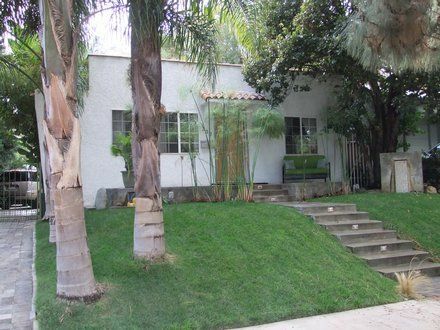 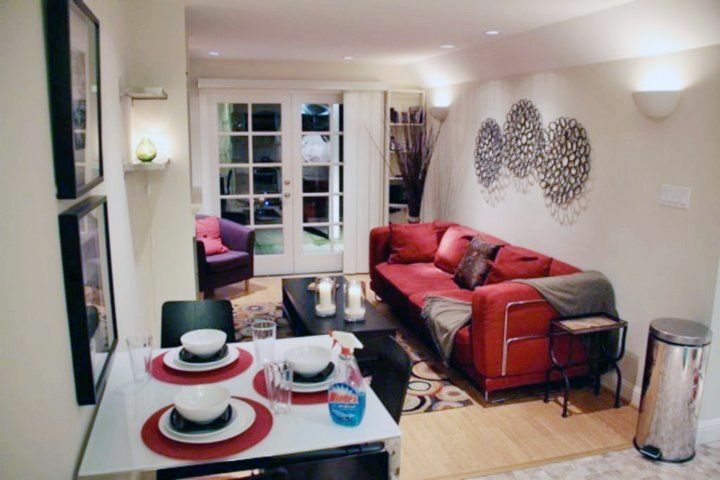 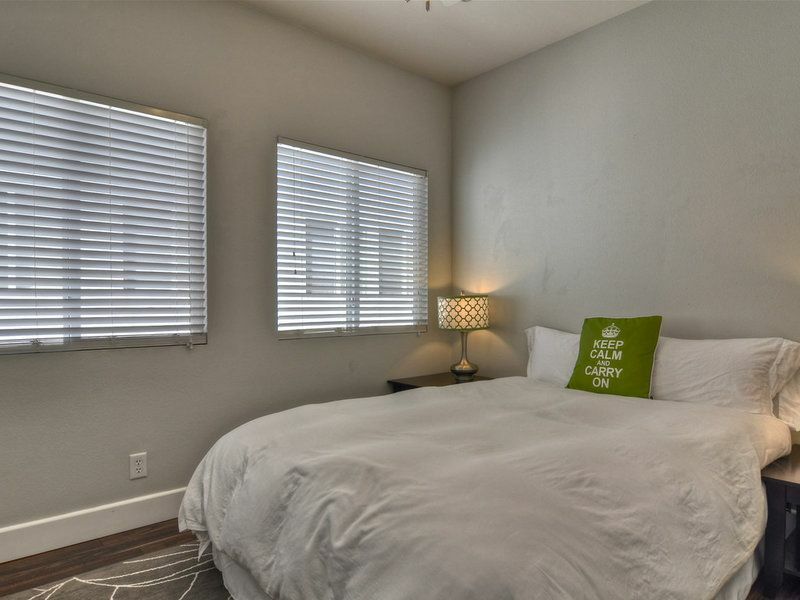 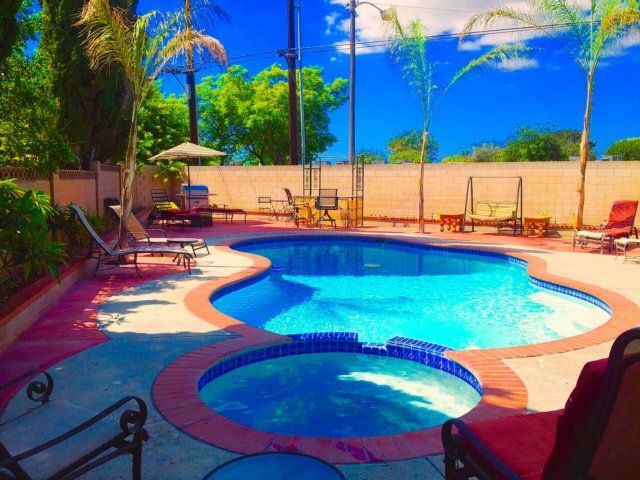 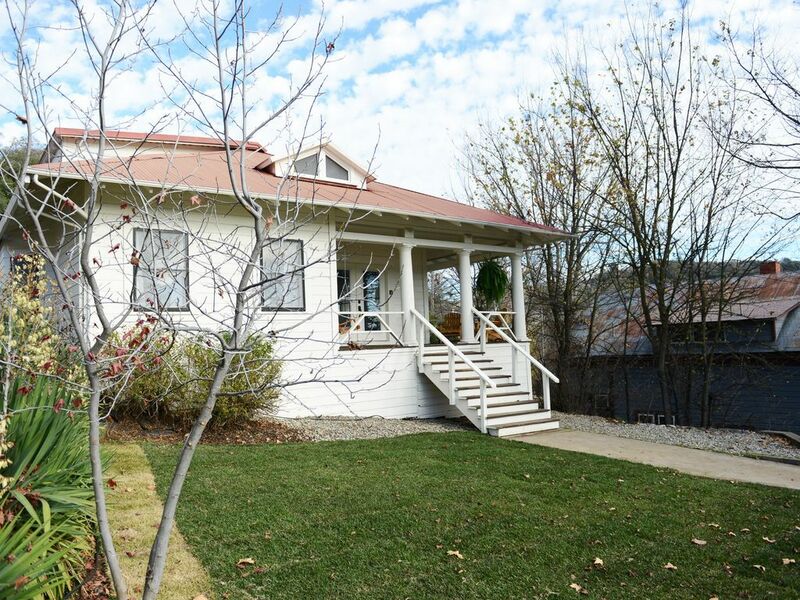 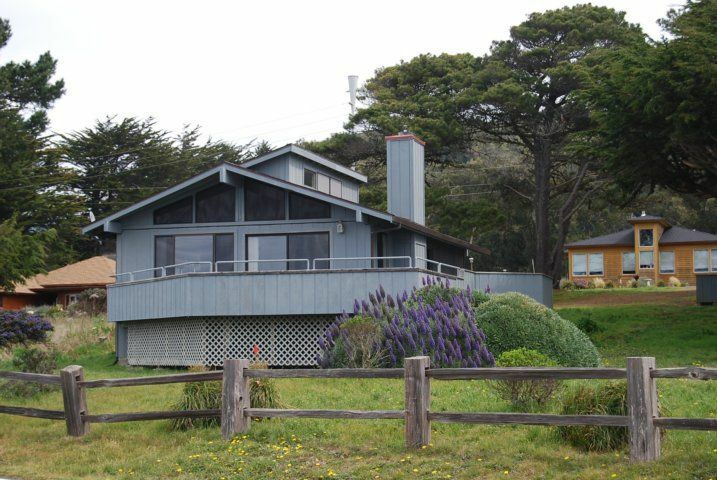 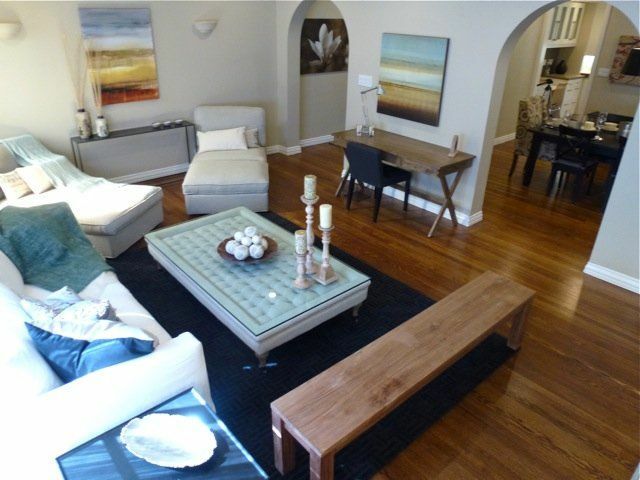 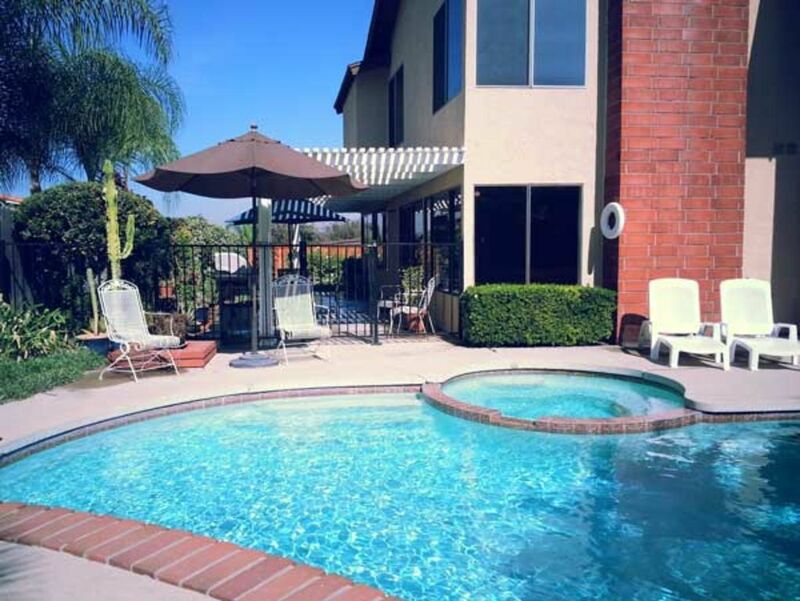 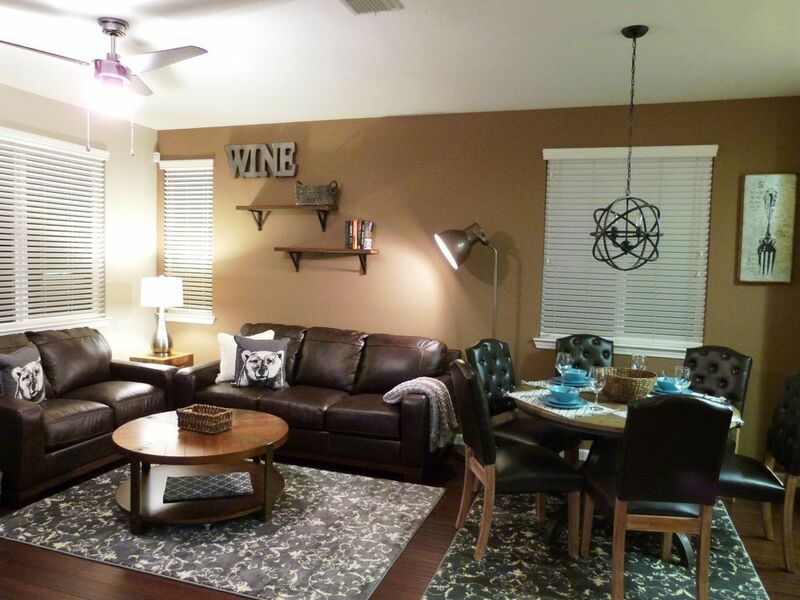 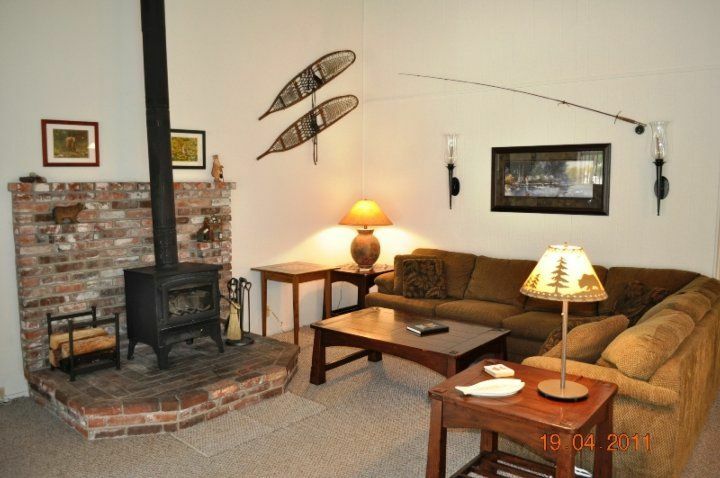 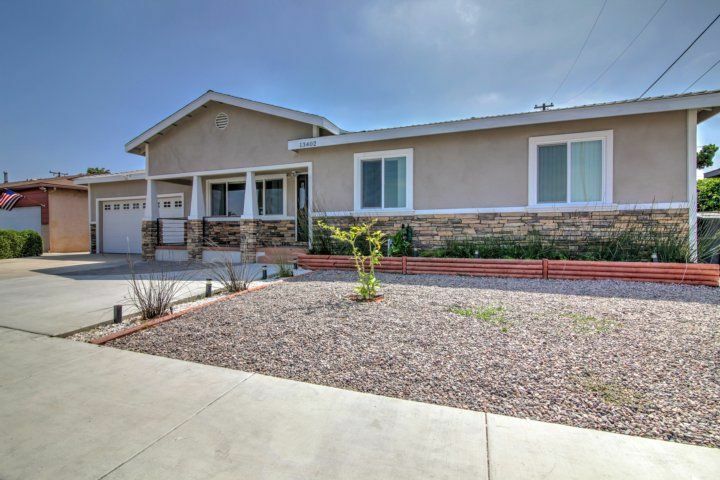 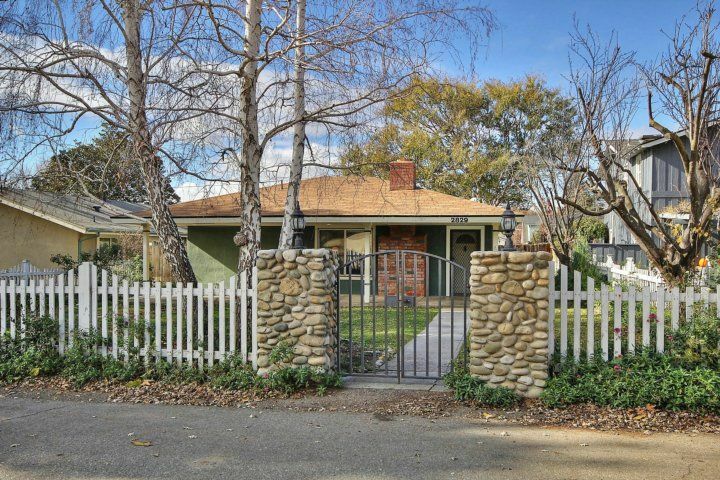 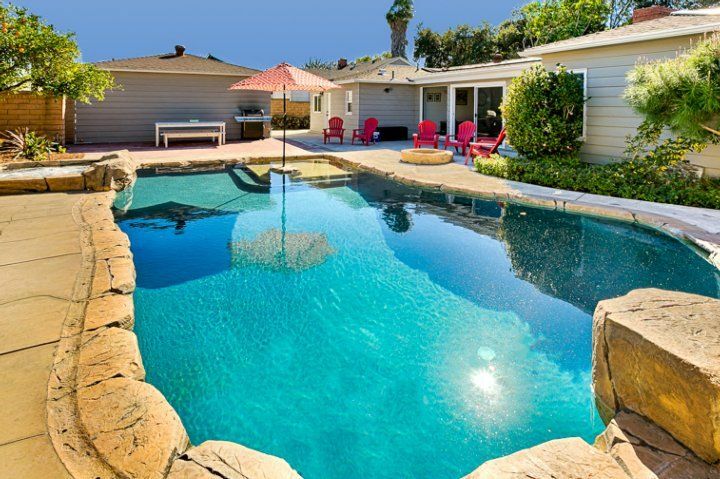 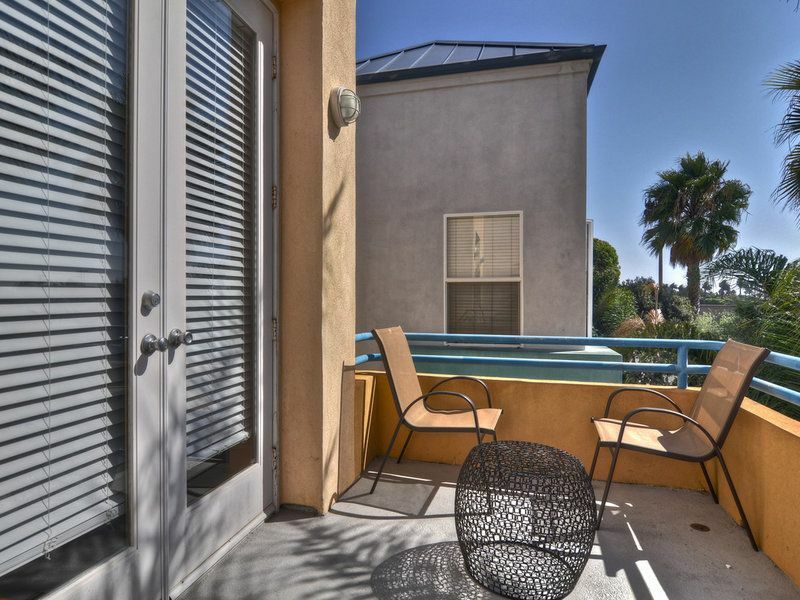 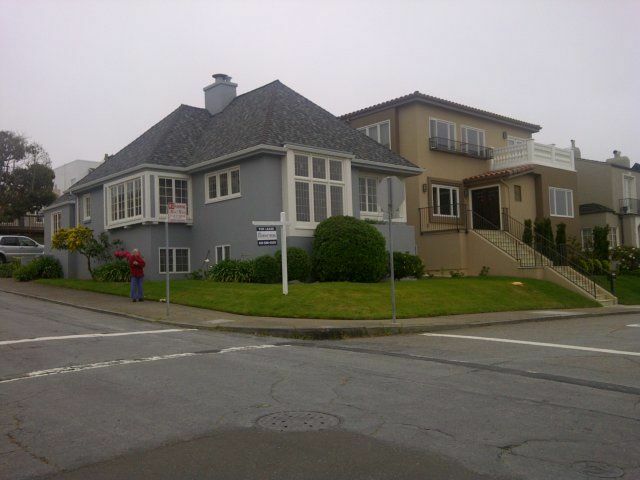 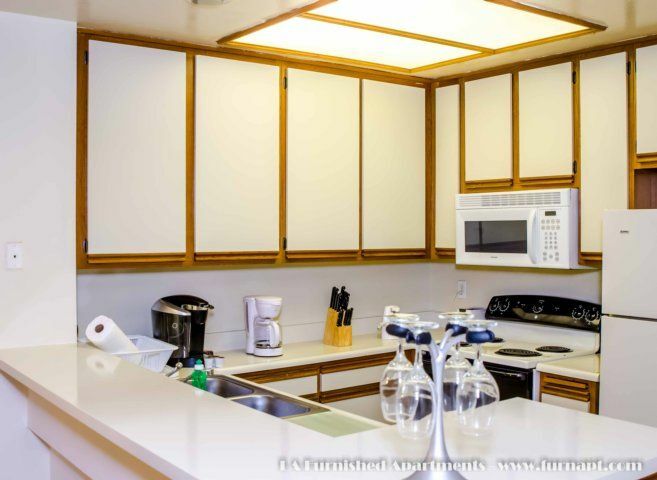 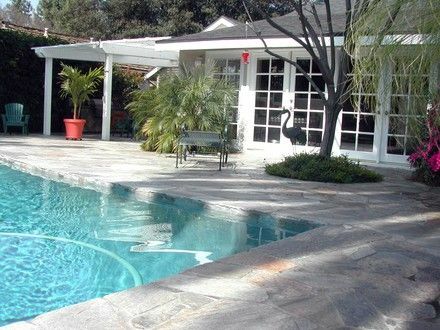 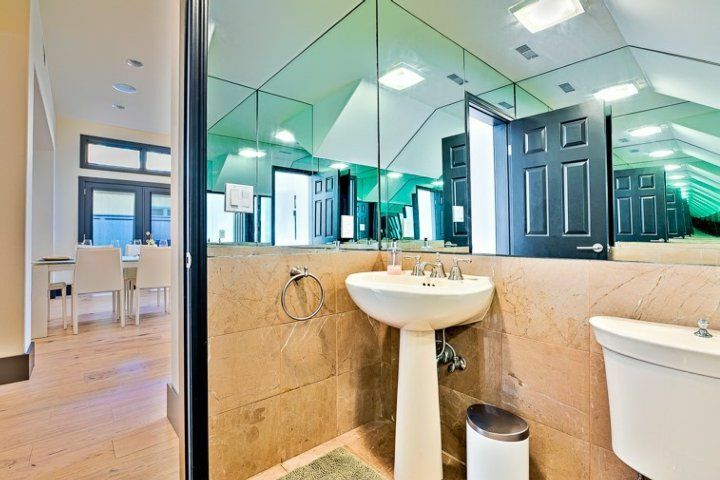 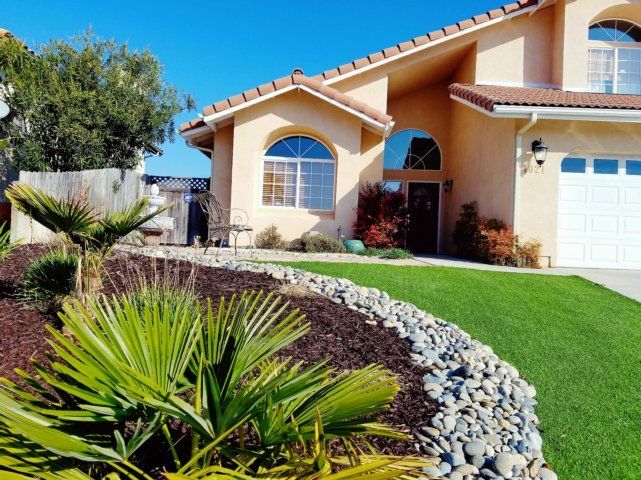 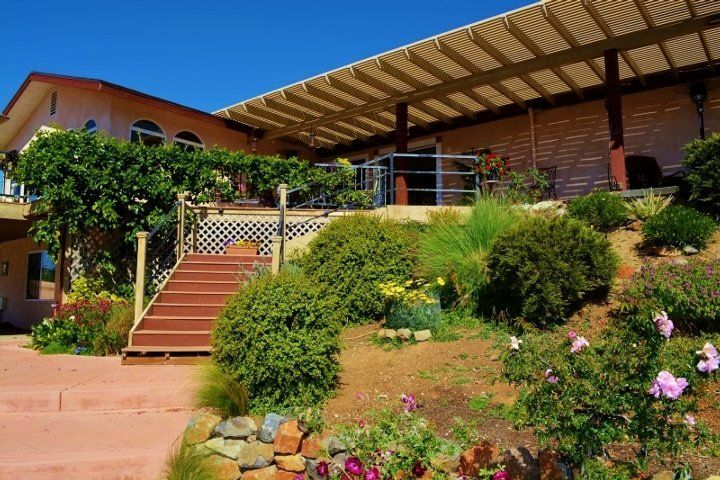 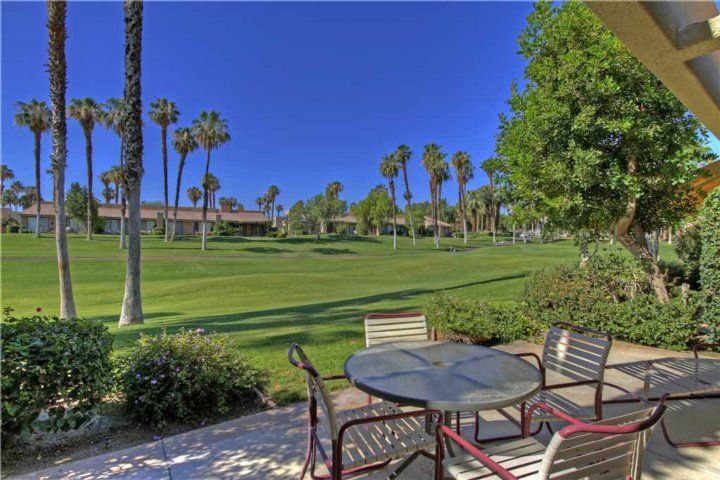 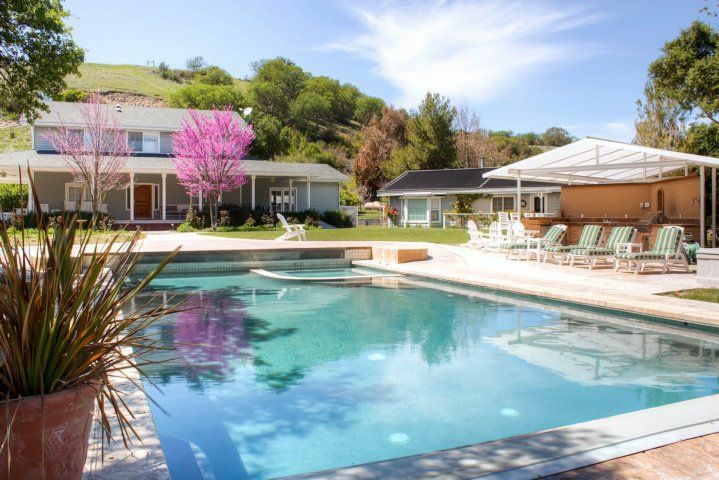 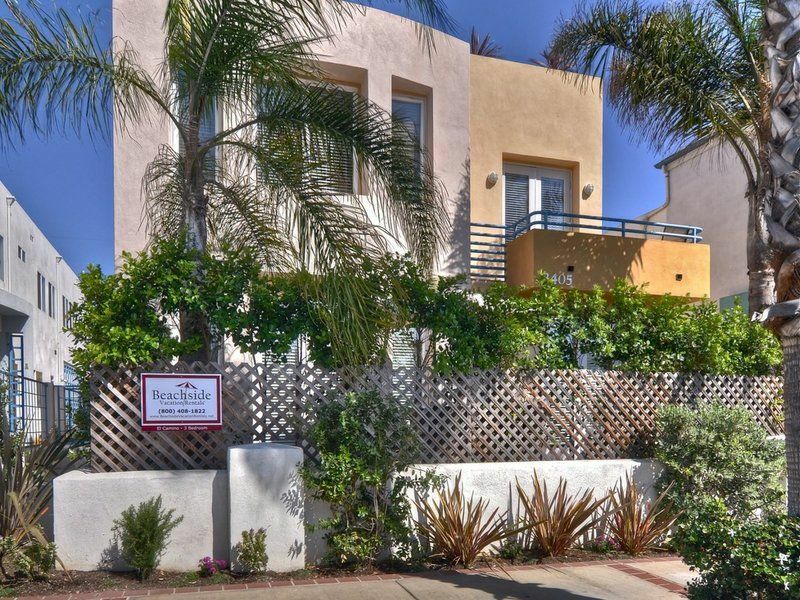 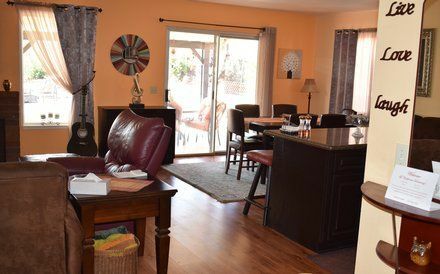 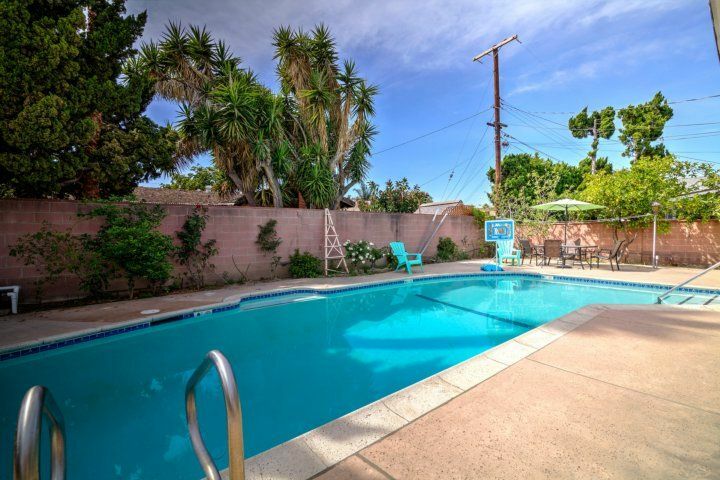 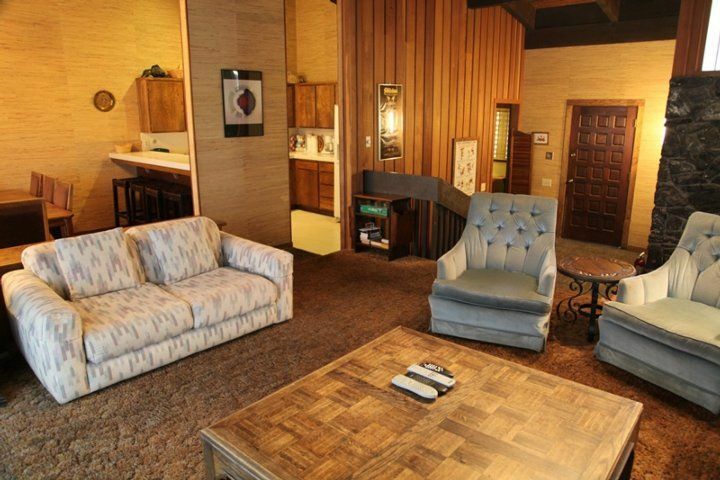 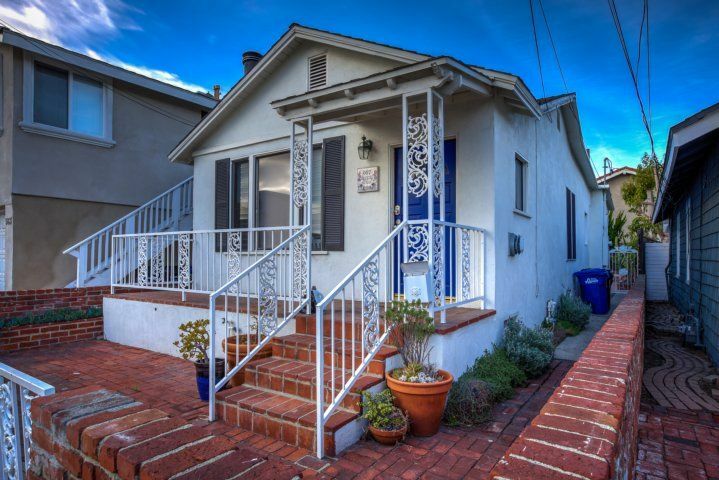 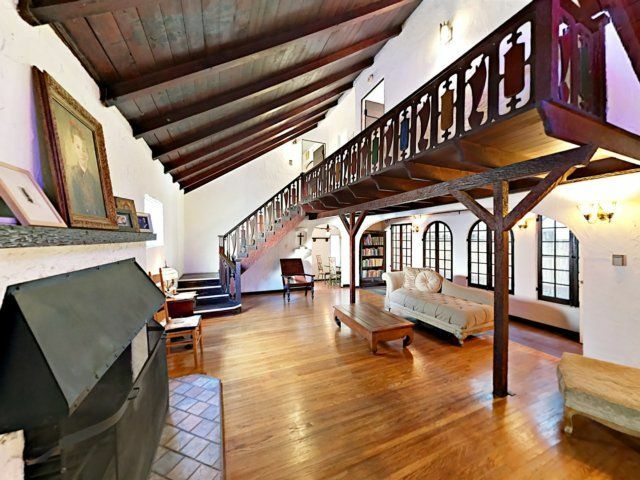 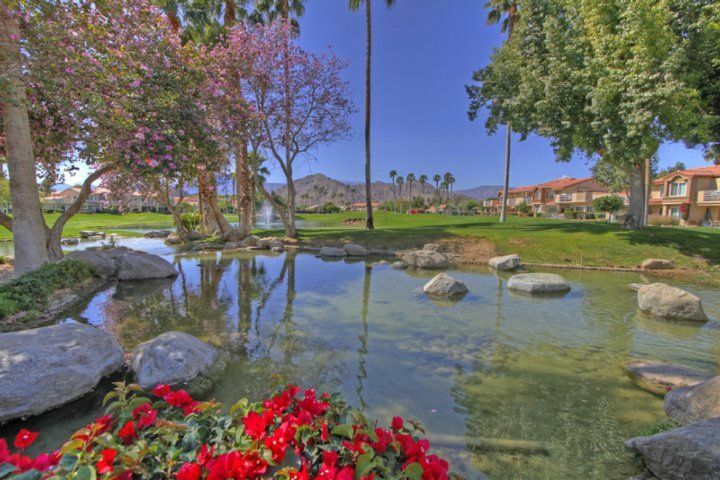 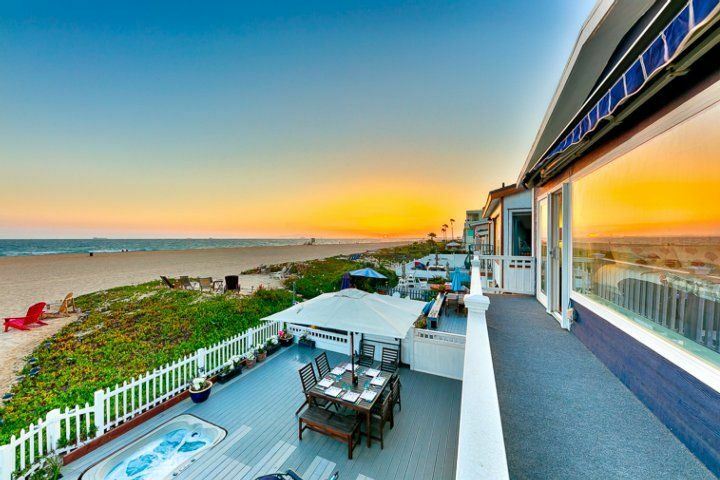 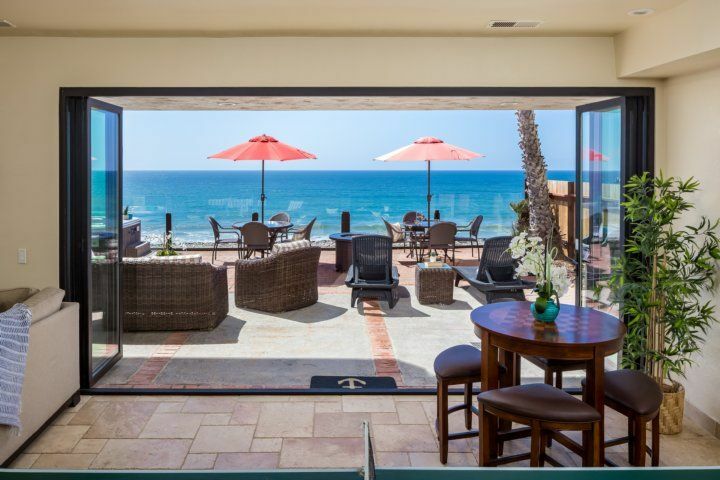 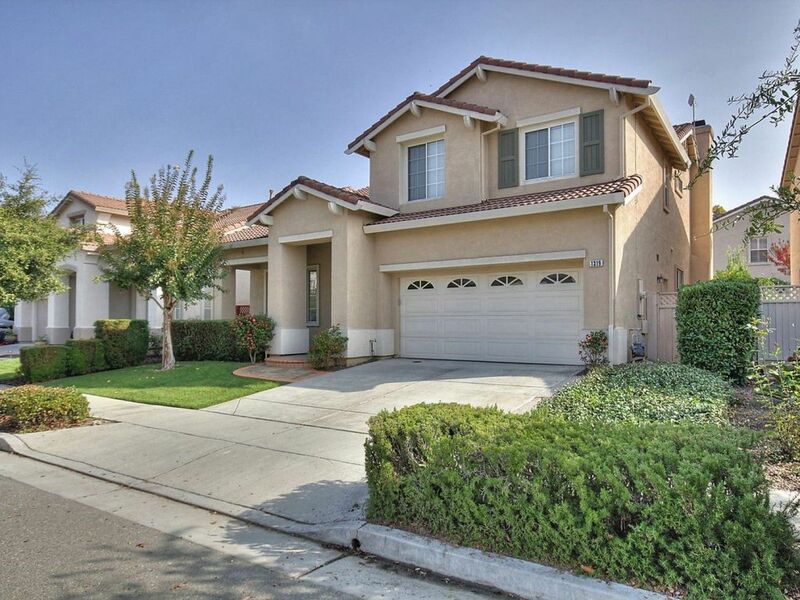 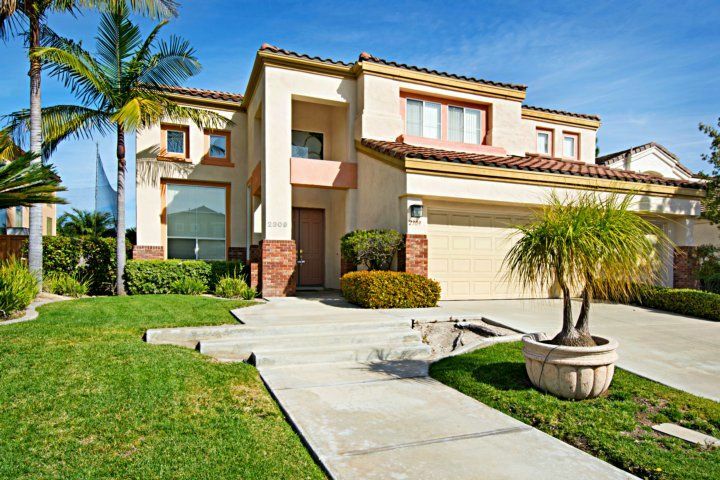 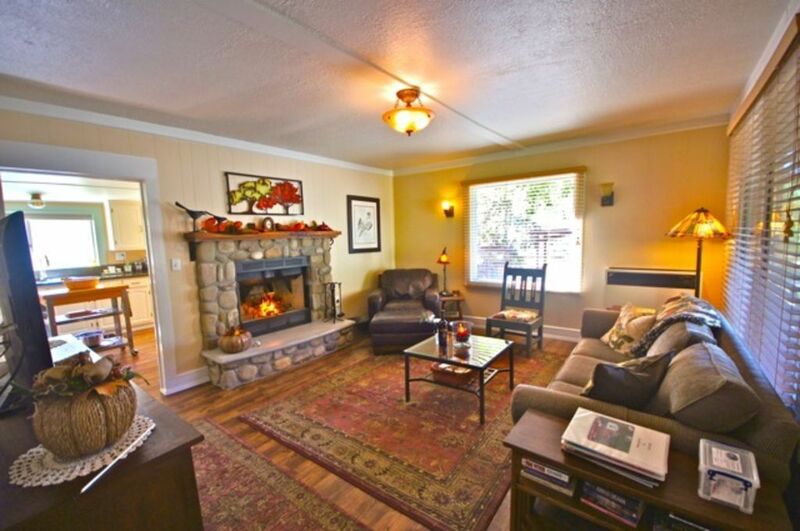 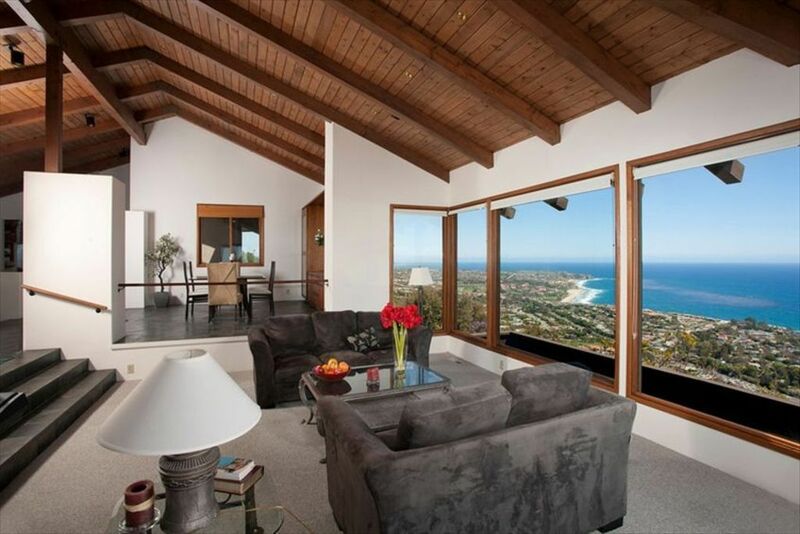 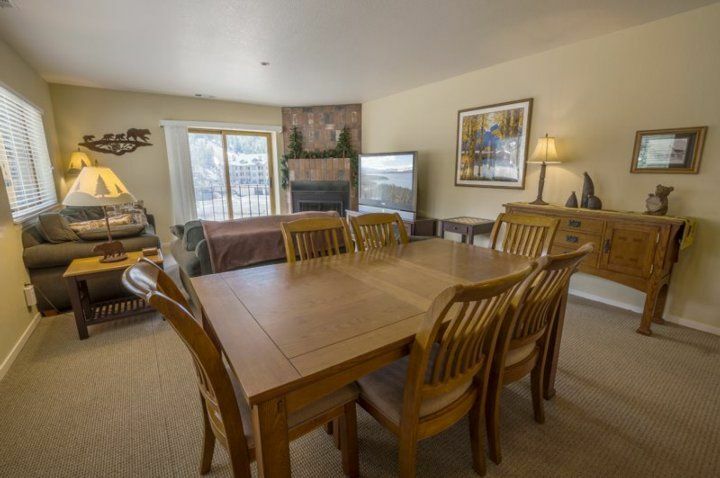 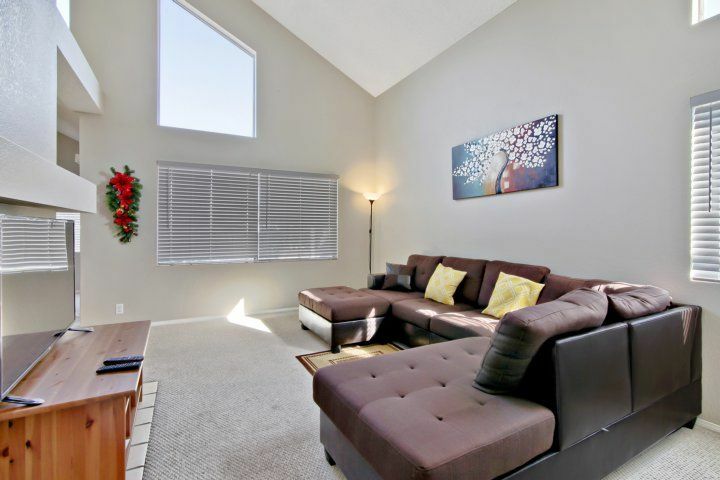 Bedrooms and Bathrooms: This 3 bedroom 2 bath vacation rental in San Clemente sleeps 7. 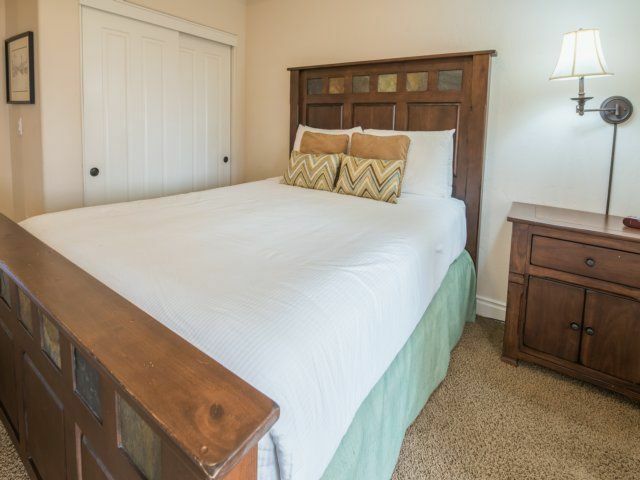 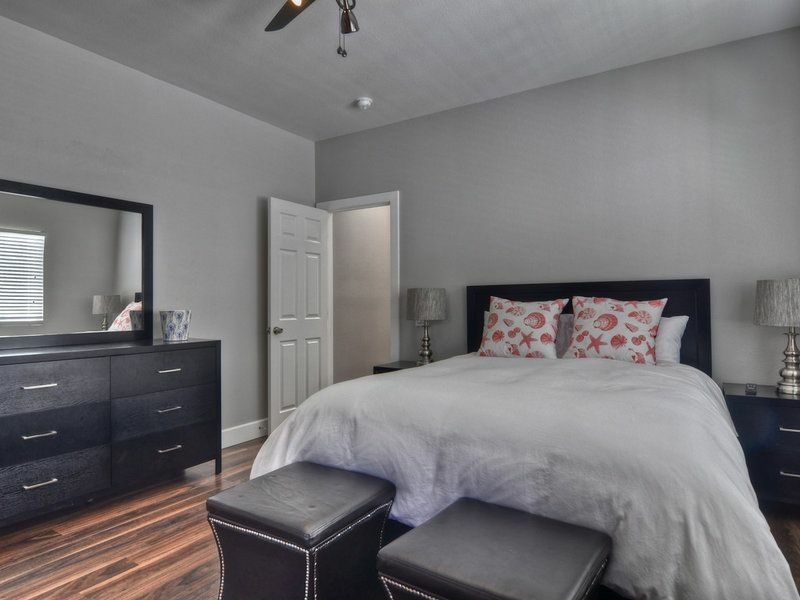 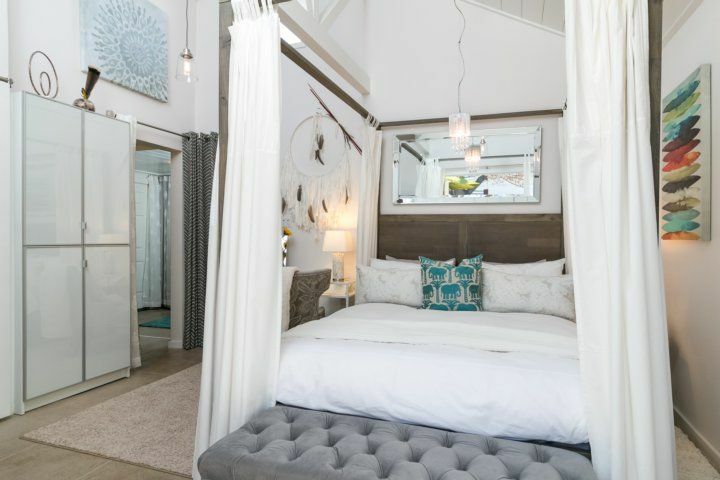 The Master Suite features a comfortable queen size bed, HD TV, ceiling fan, and private bathroom with double sinks and shower. 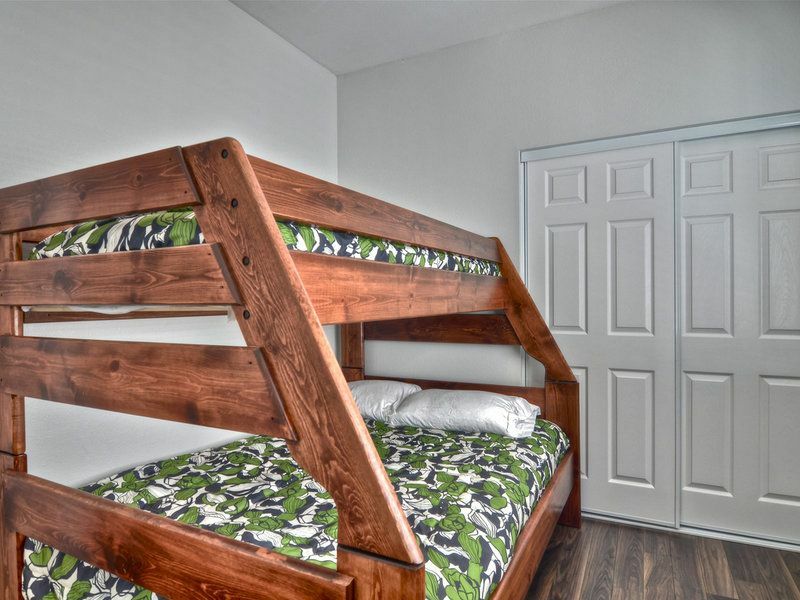 The second bedroom includes a bunk bed with twin and full bunks. 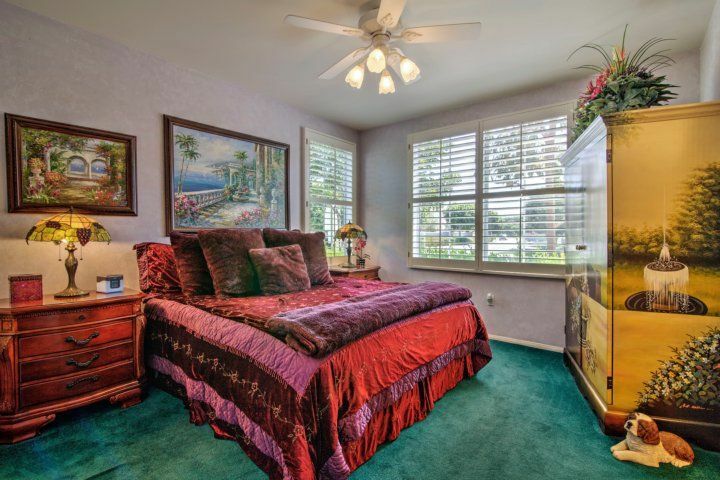 The third bedroom has a queen size bed. 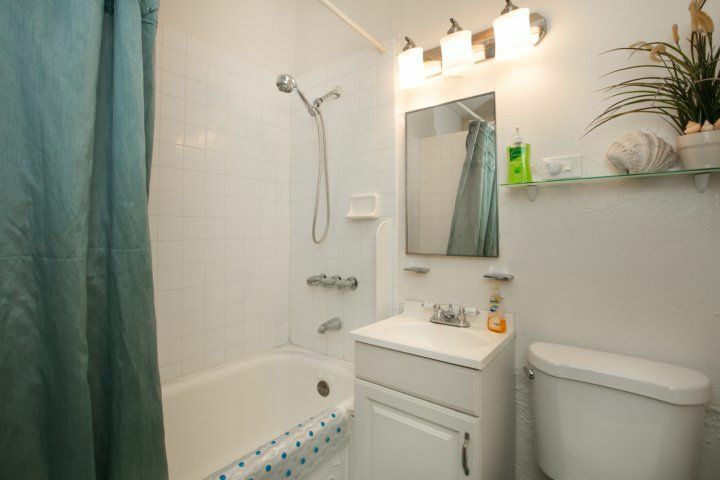 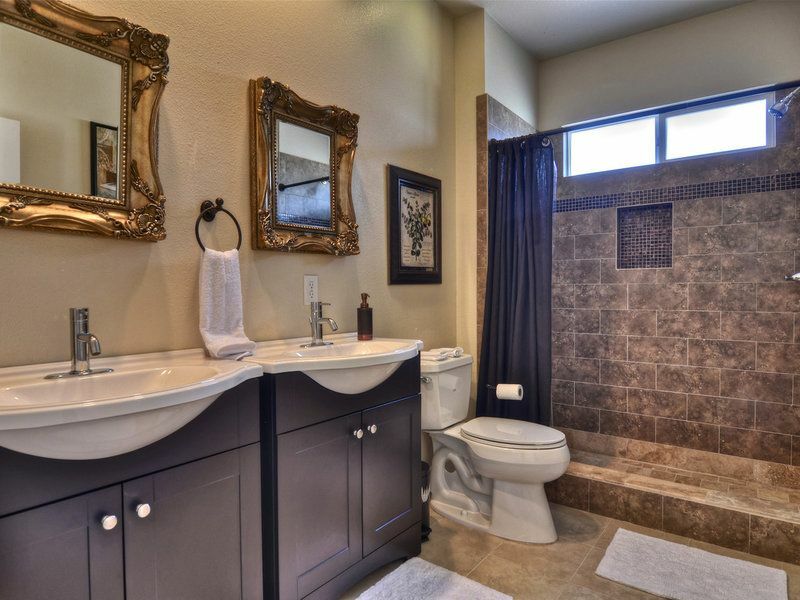 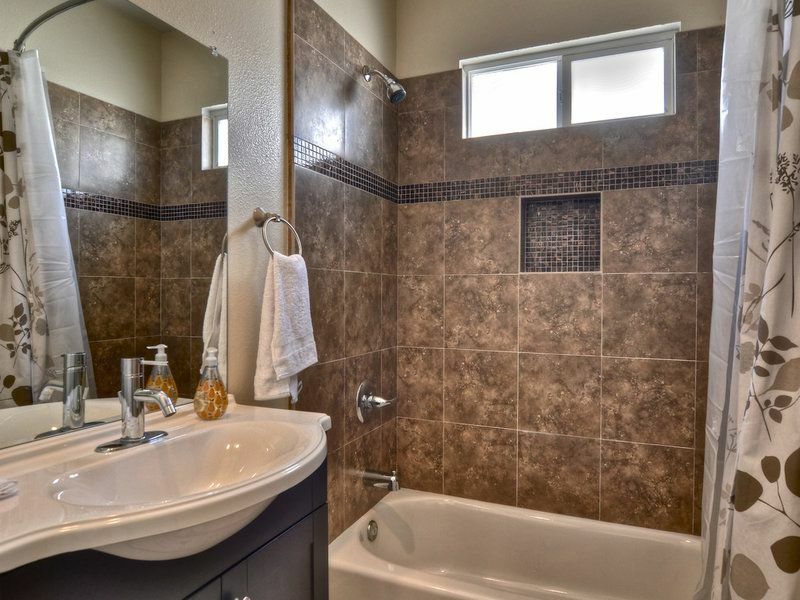 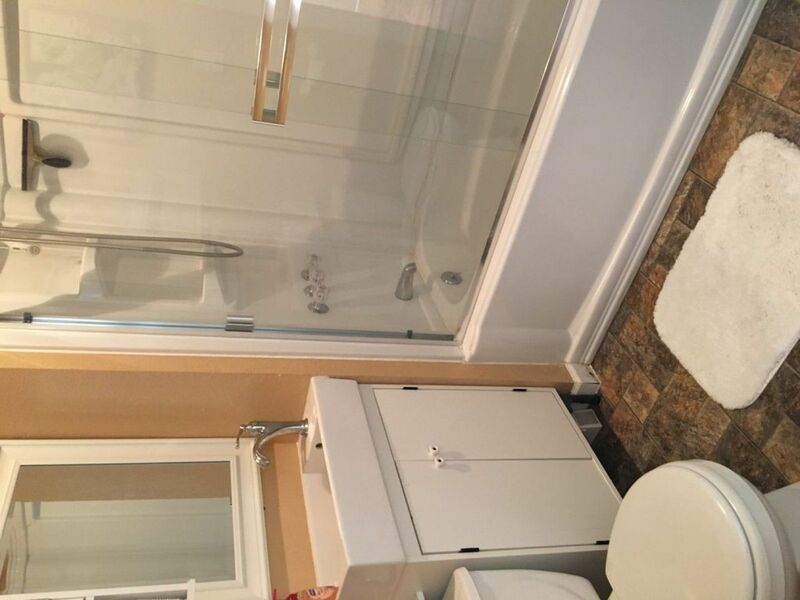 A second bathroom features a shower/tub combination. 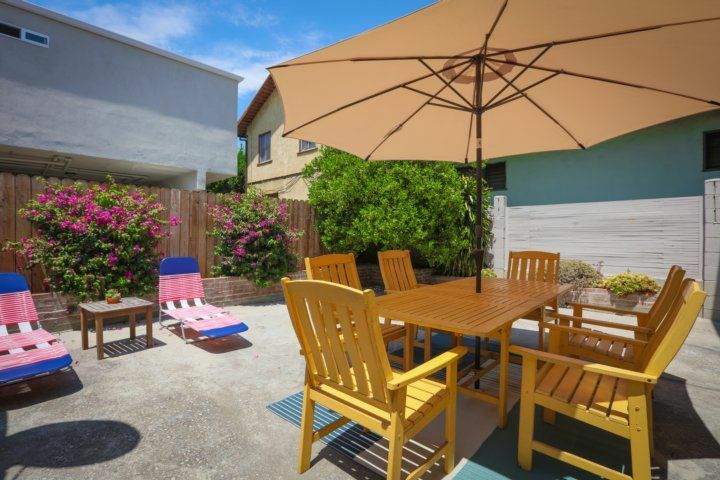 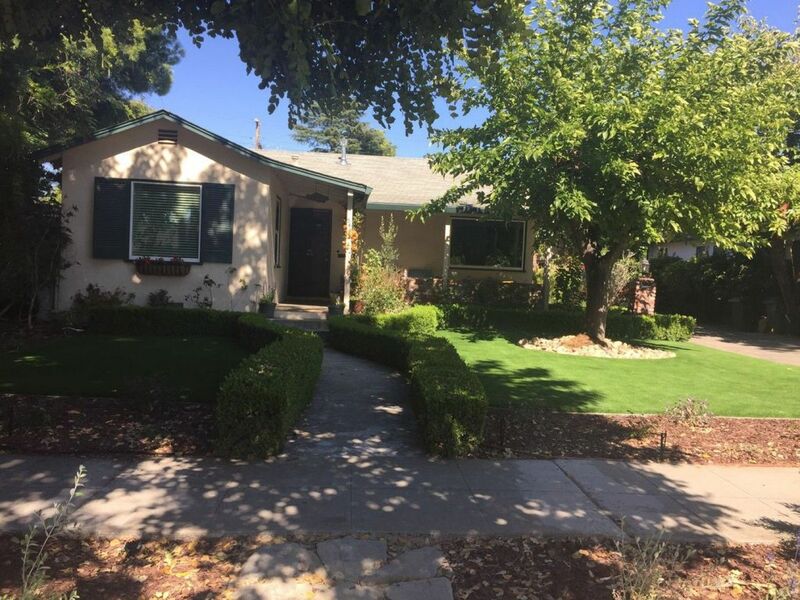 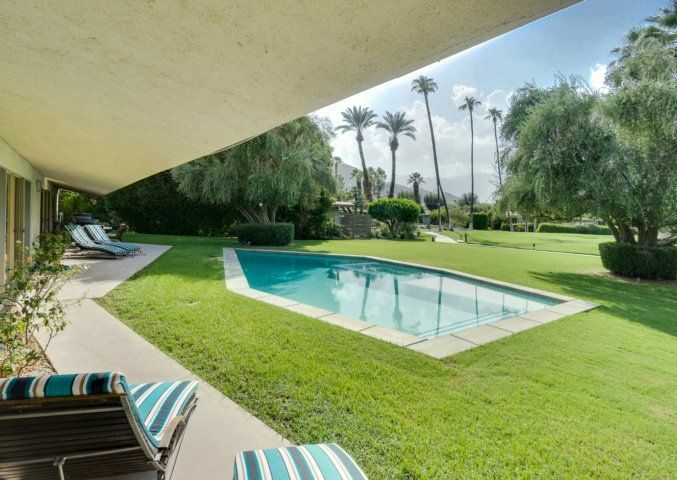 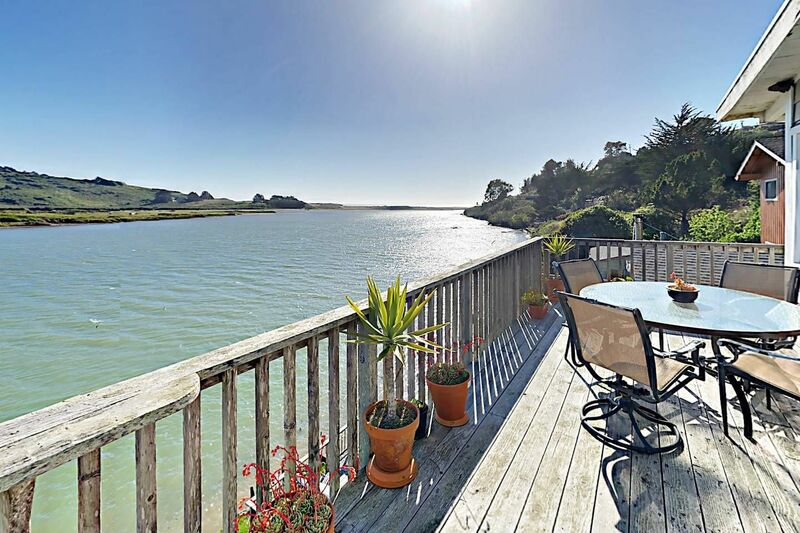 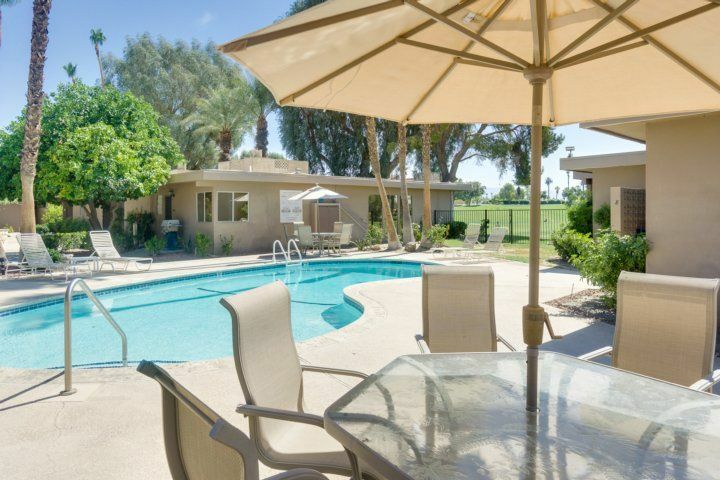 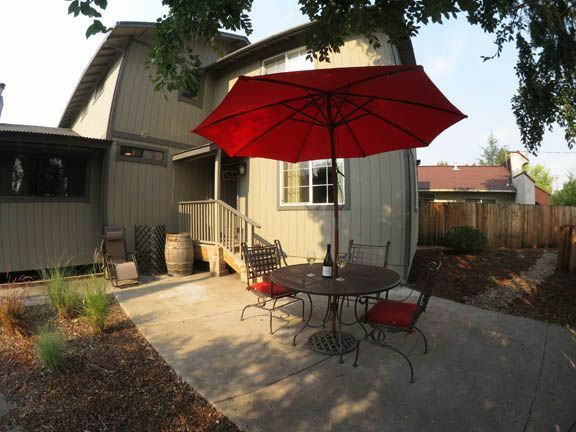 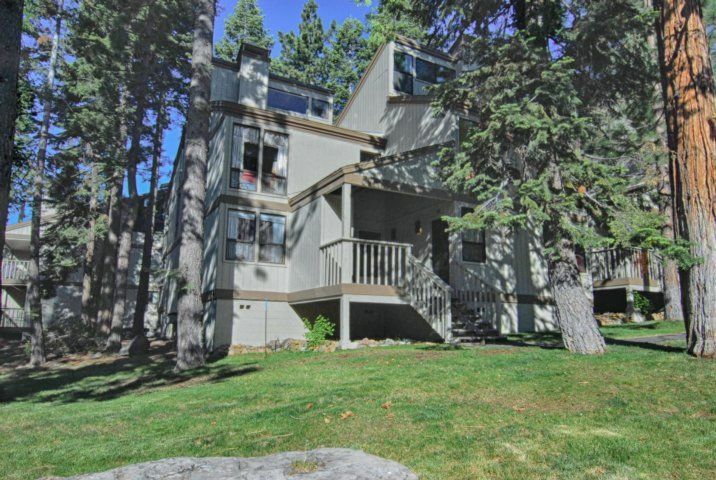 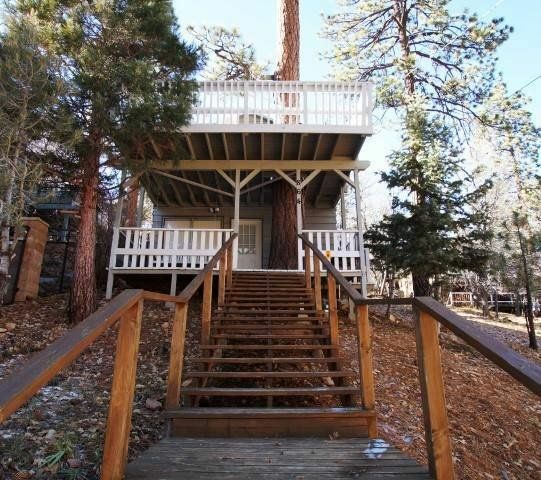 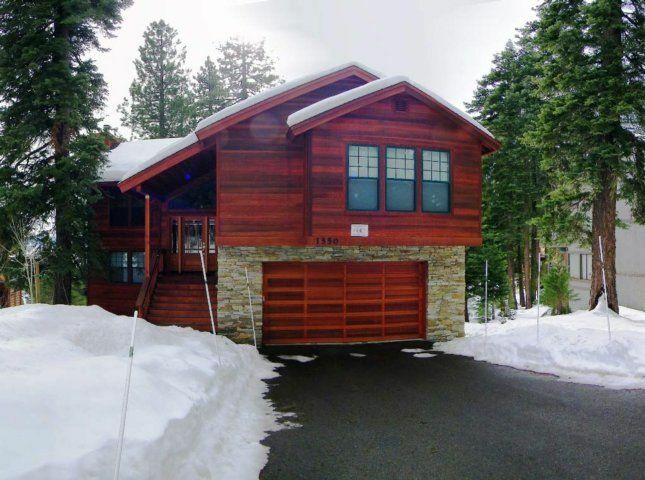 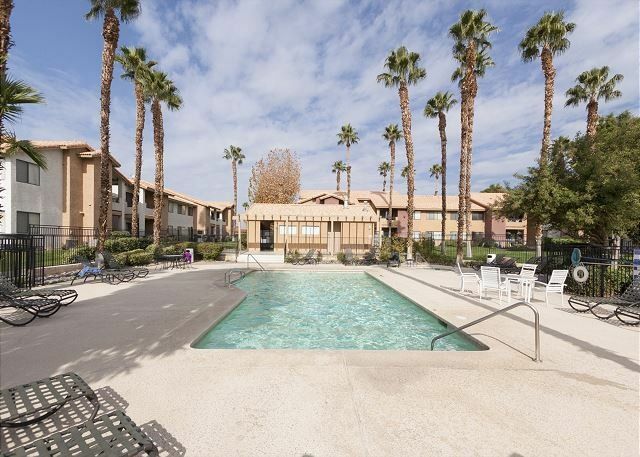 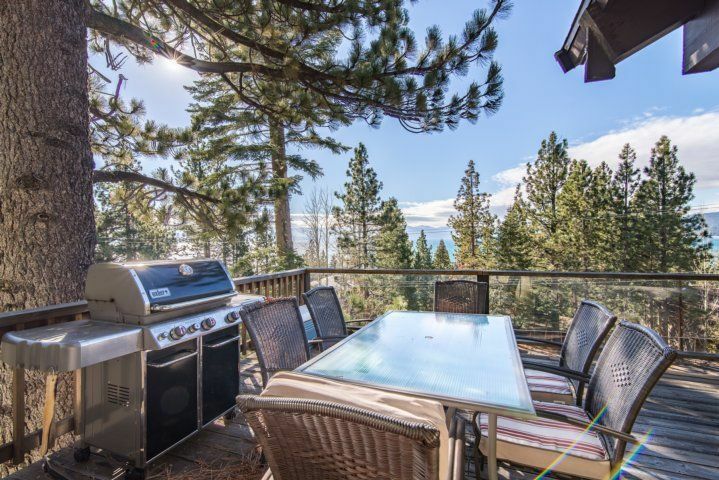 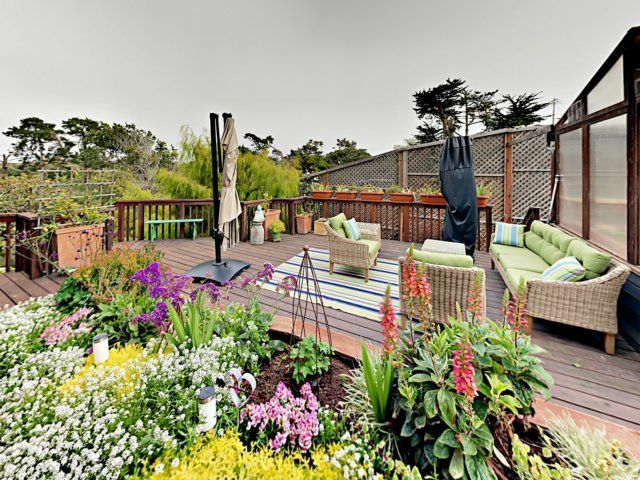 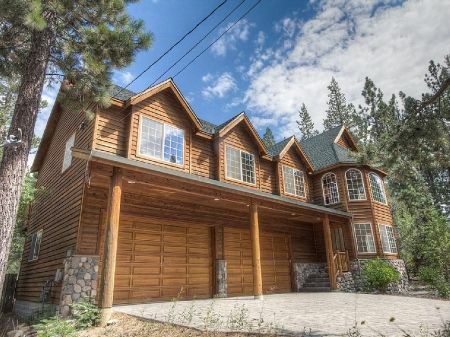 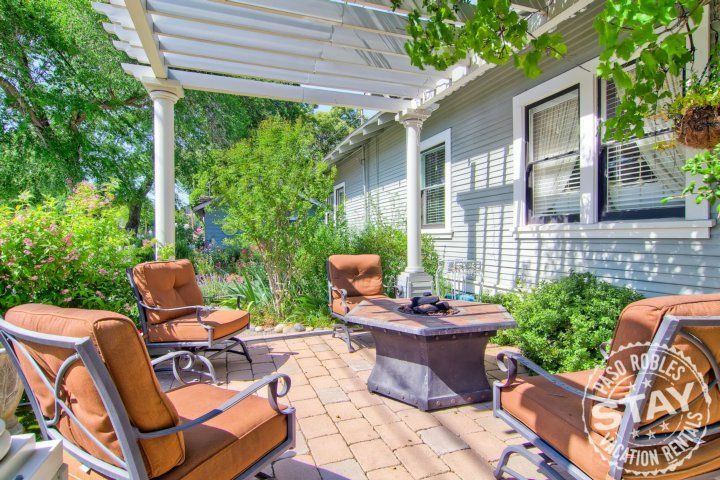 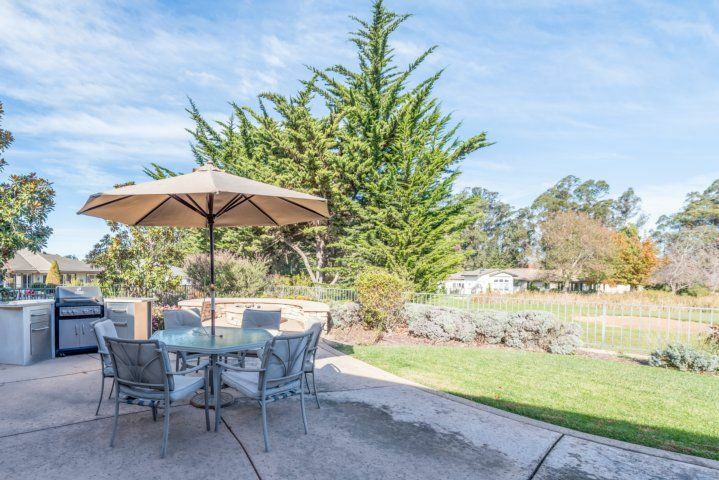 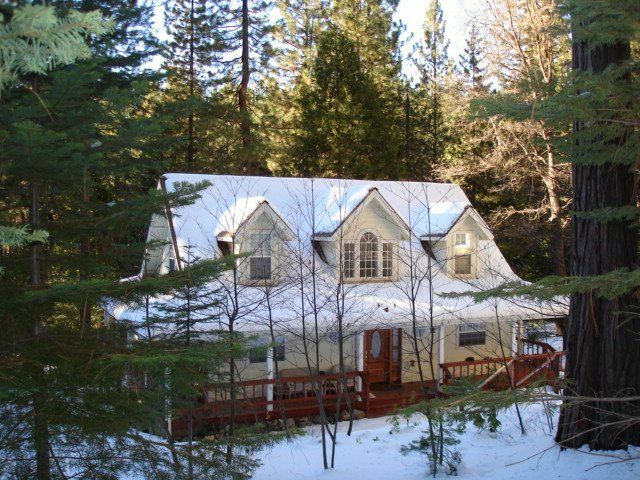 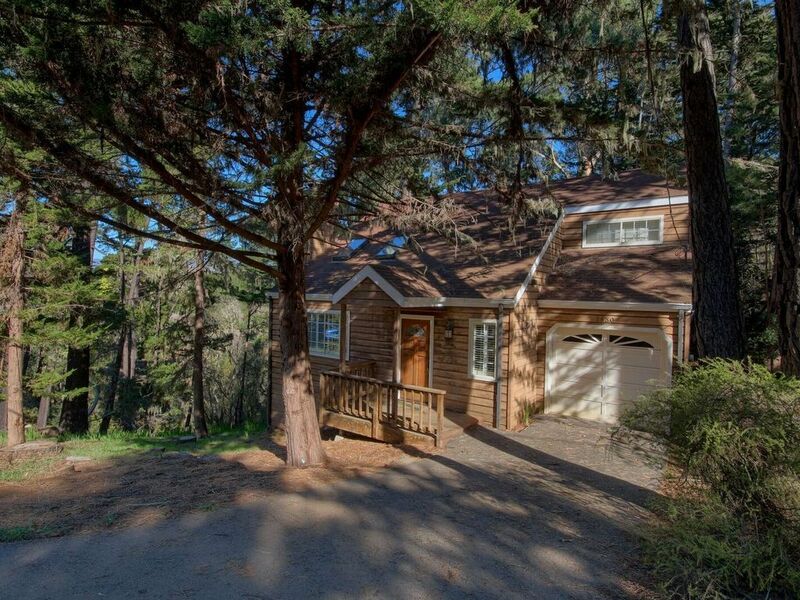 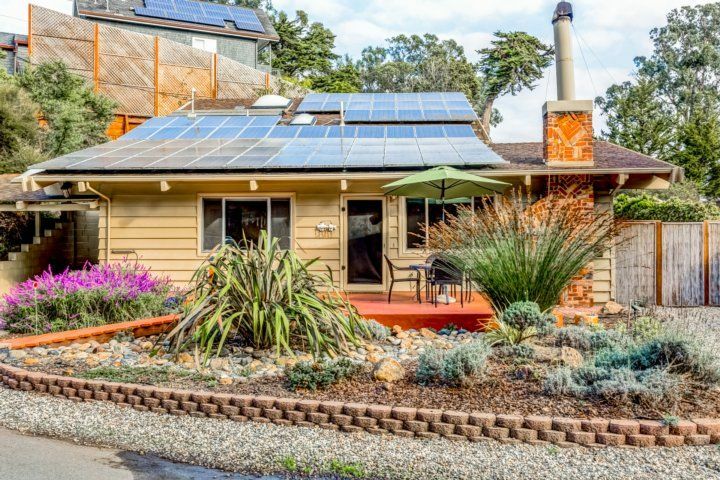 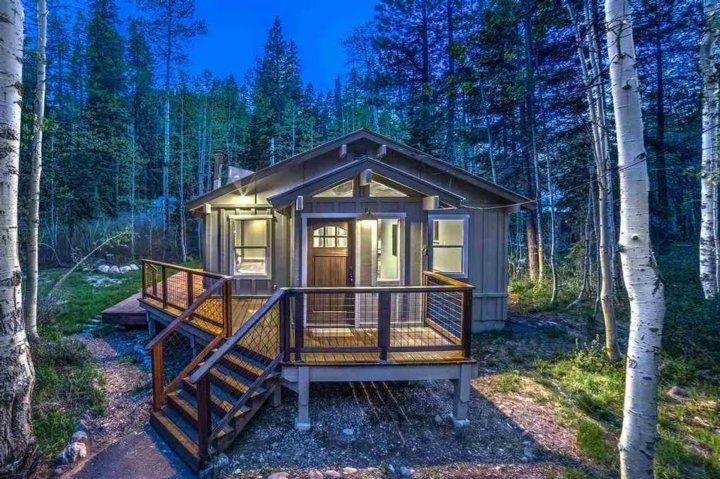 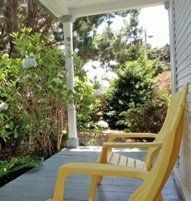 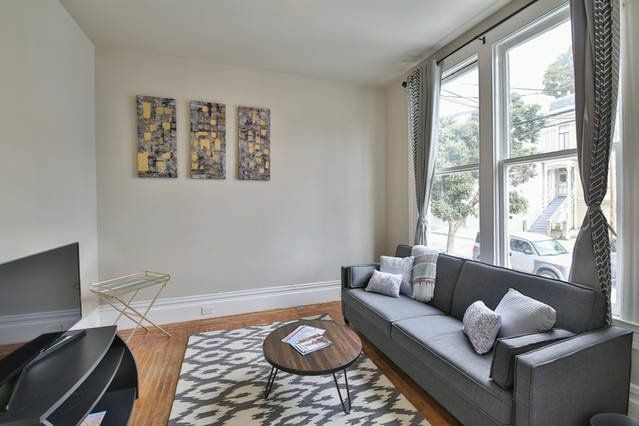 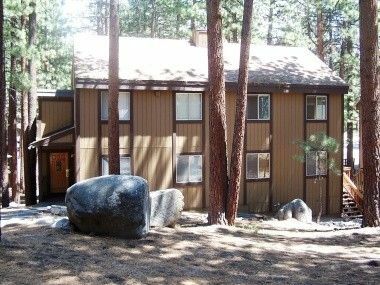 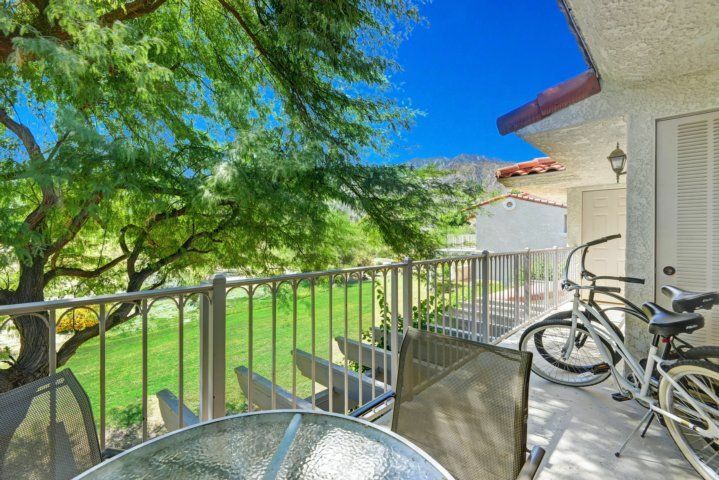 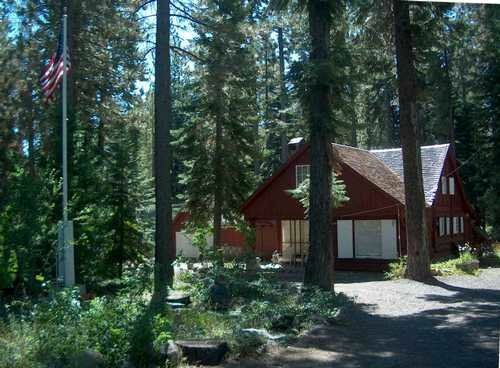 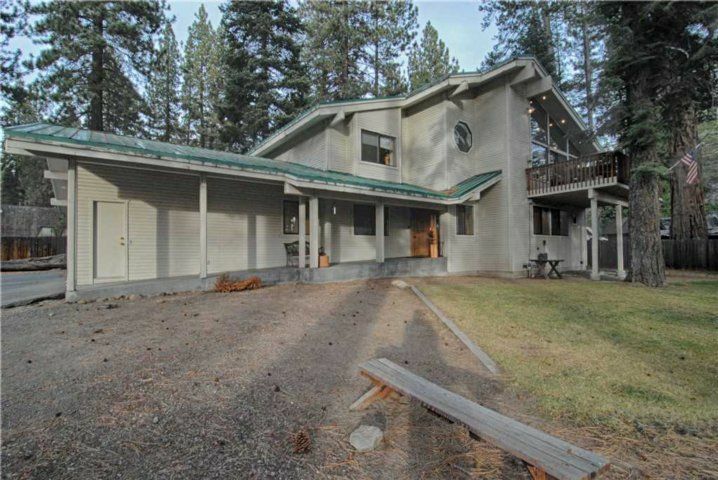 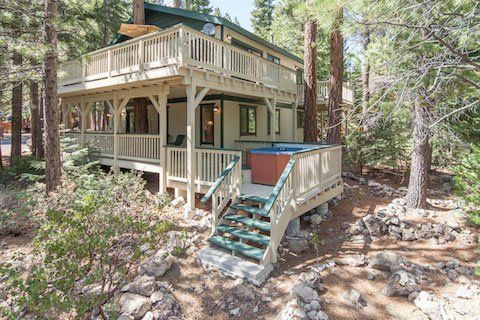 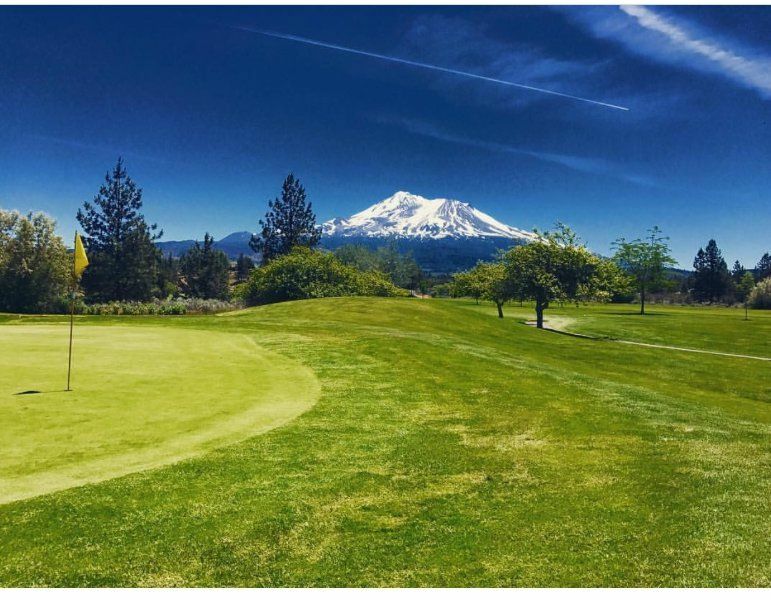 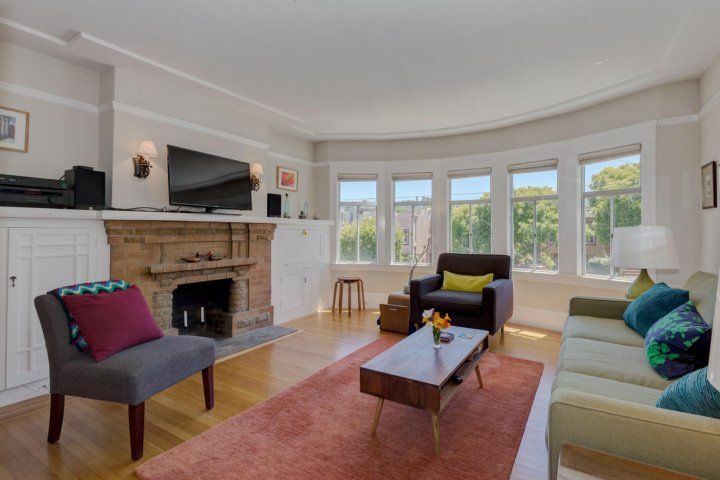 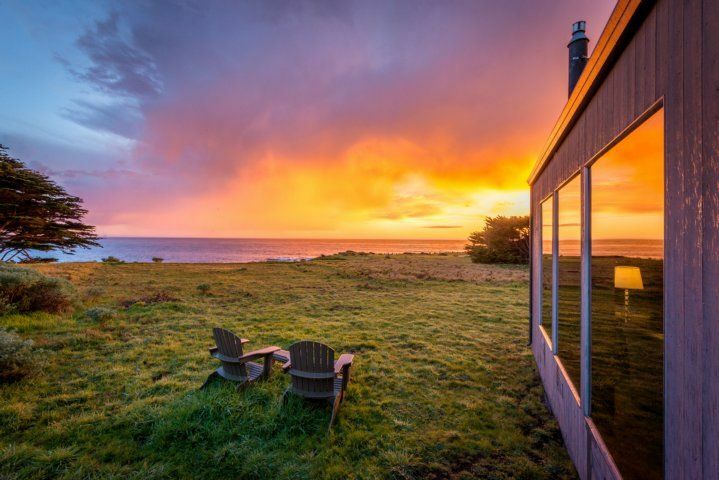 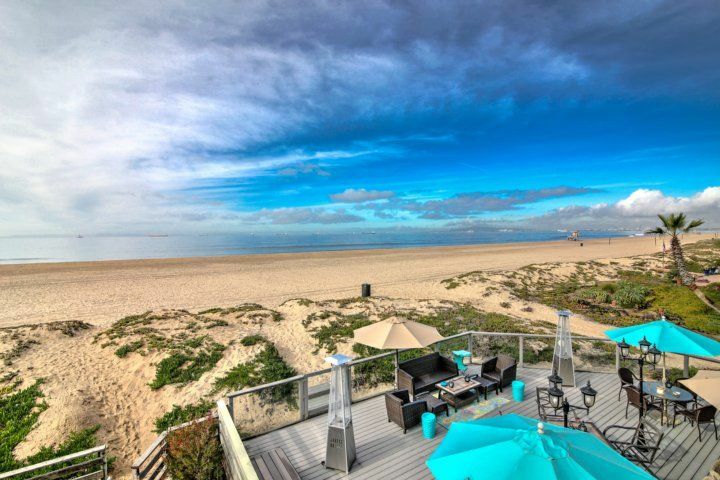 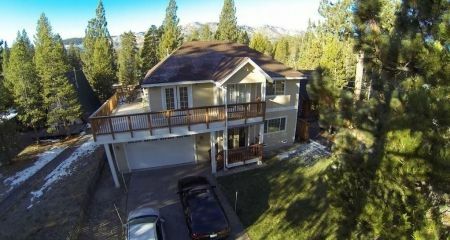 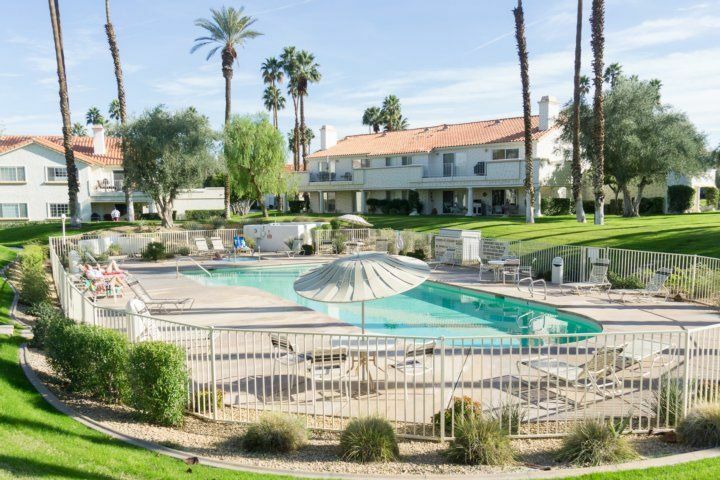 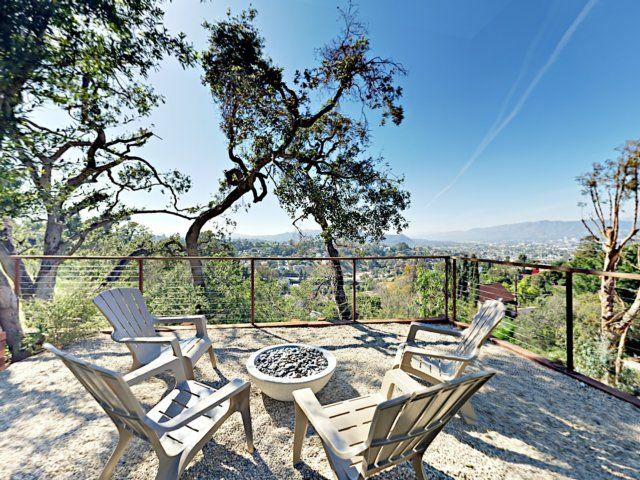 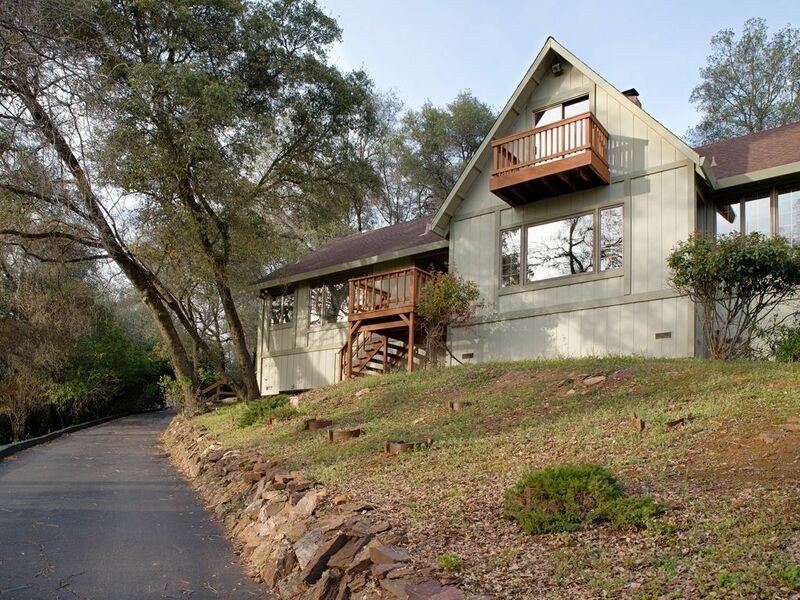 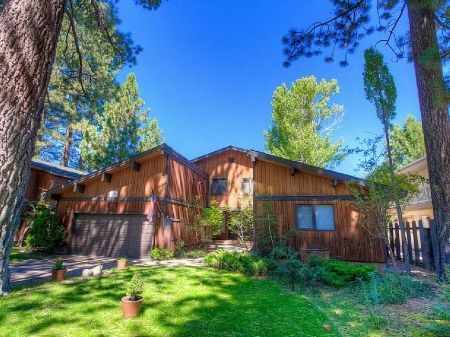 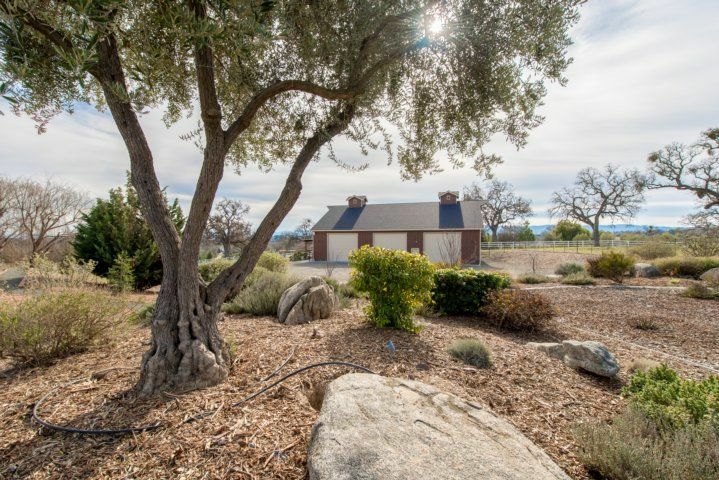 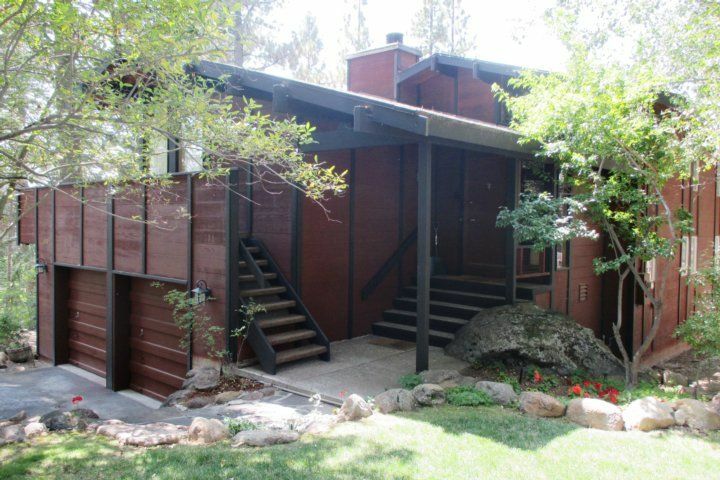 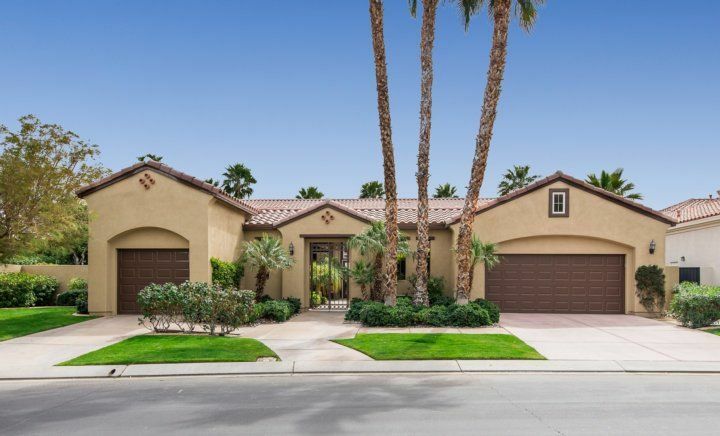 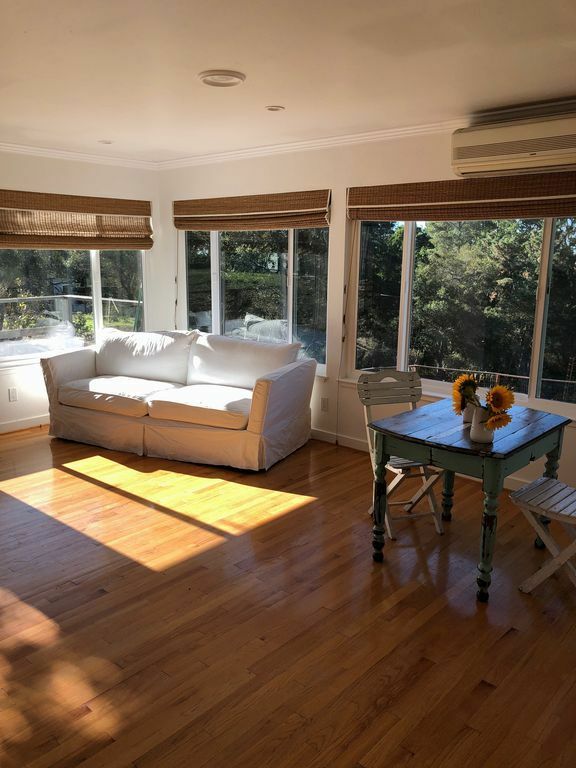 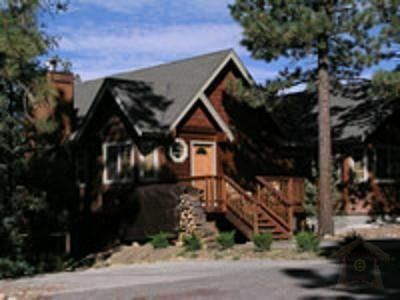 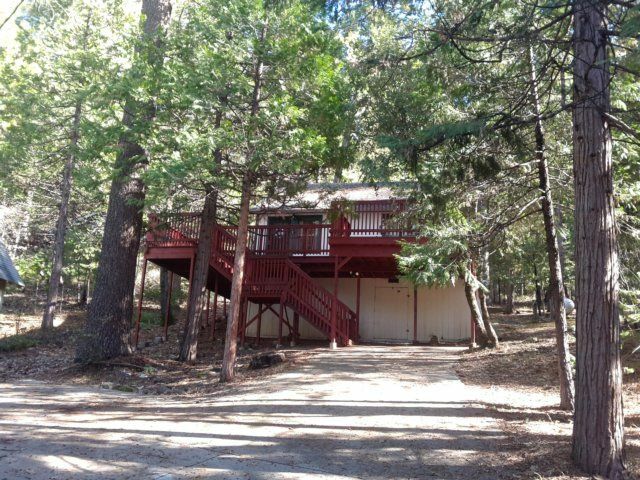 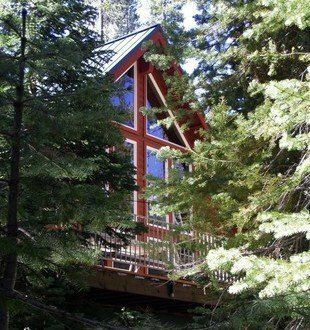 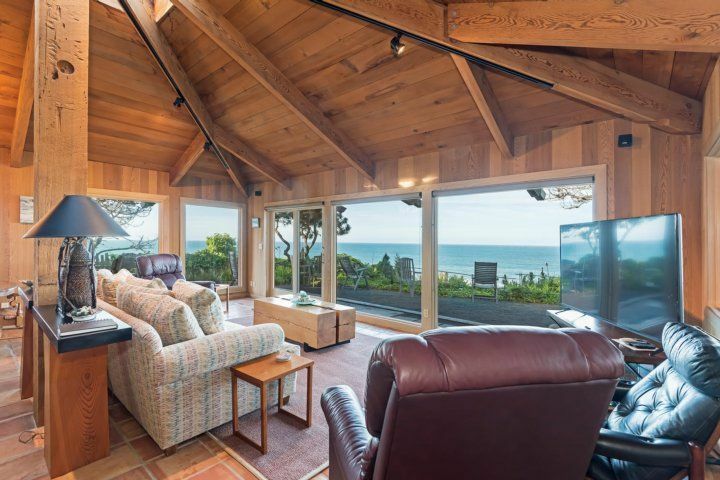 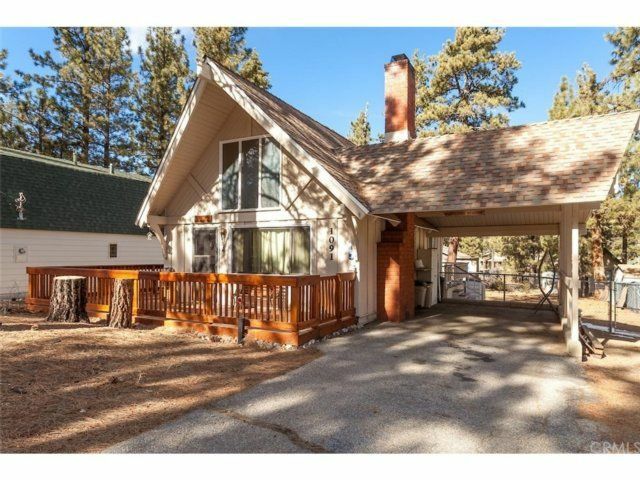 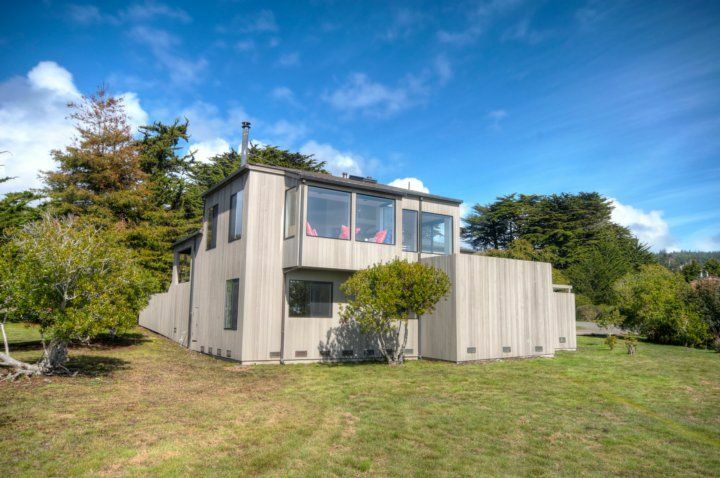 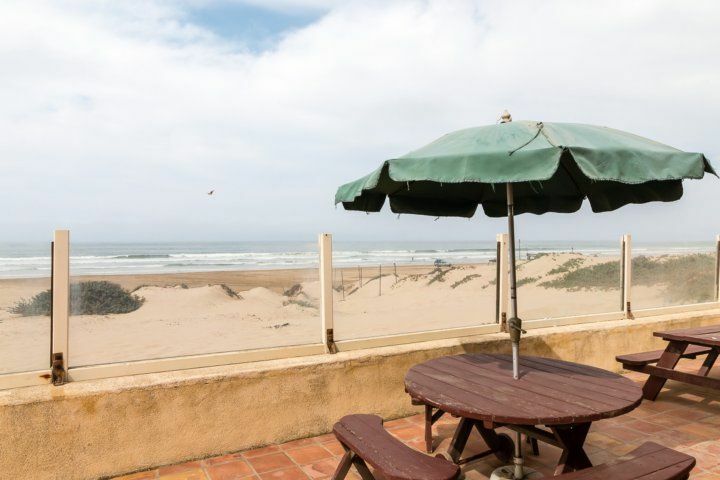 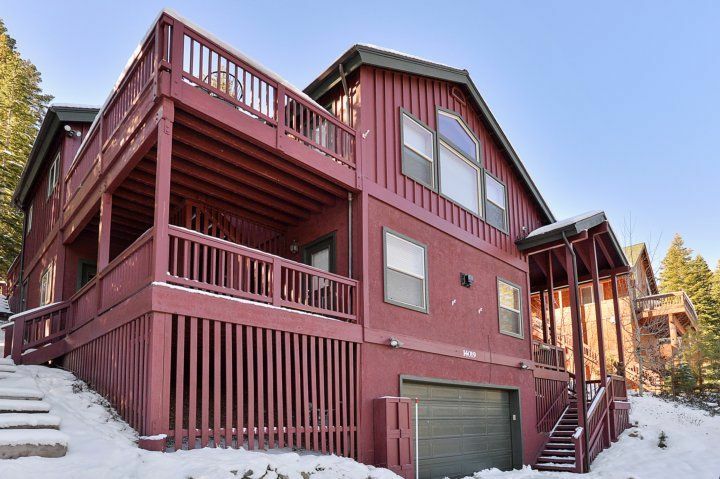 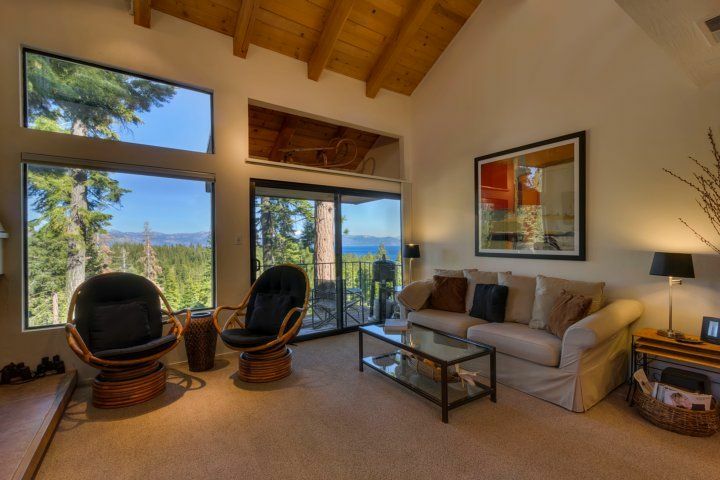 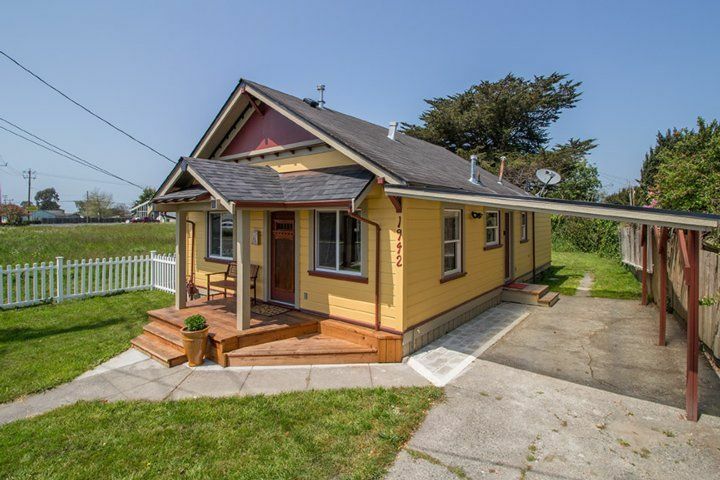 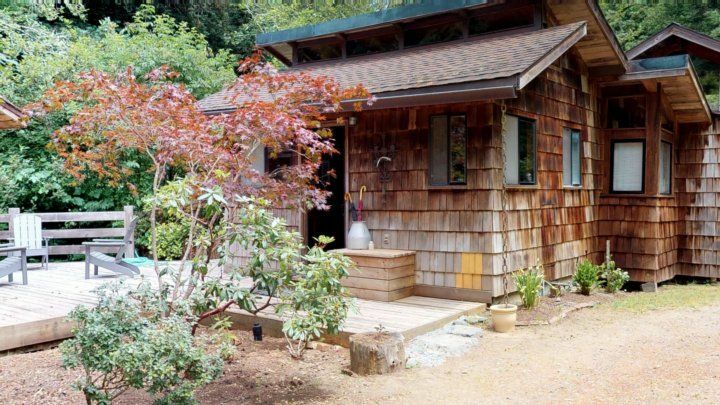 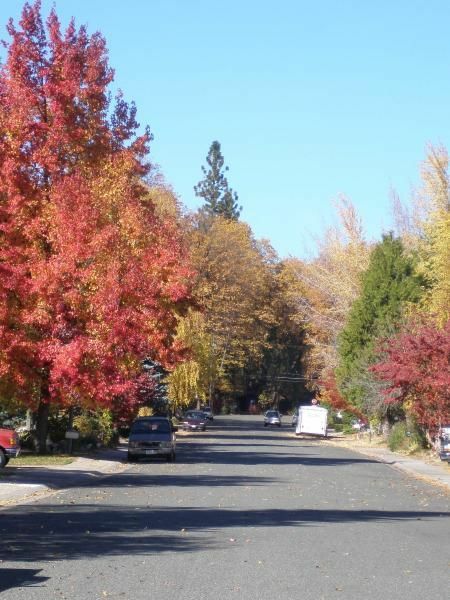 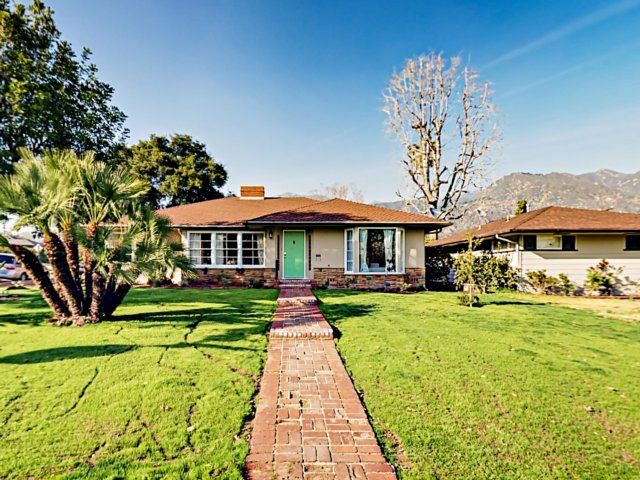 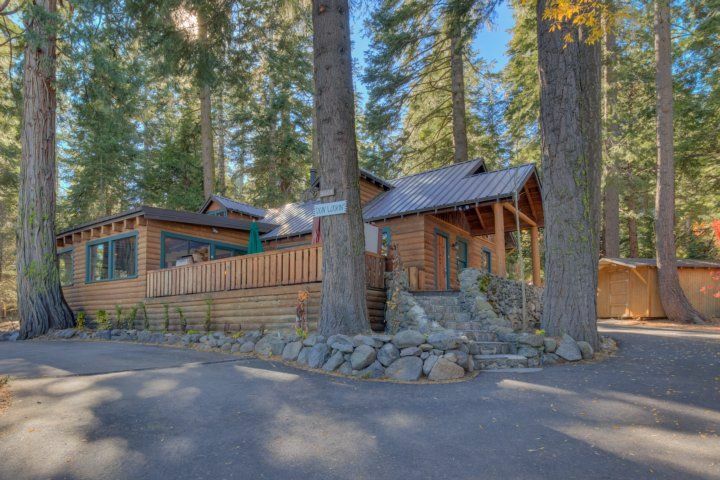 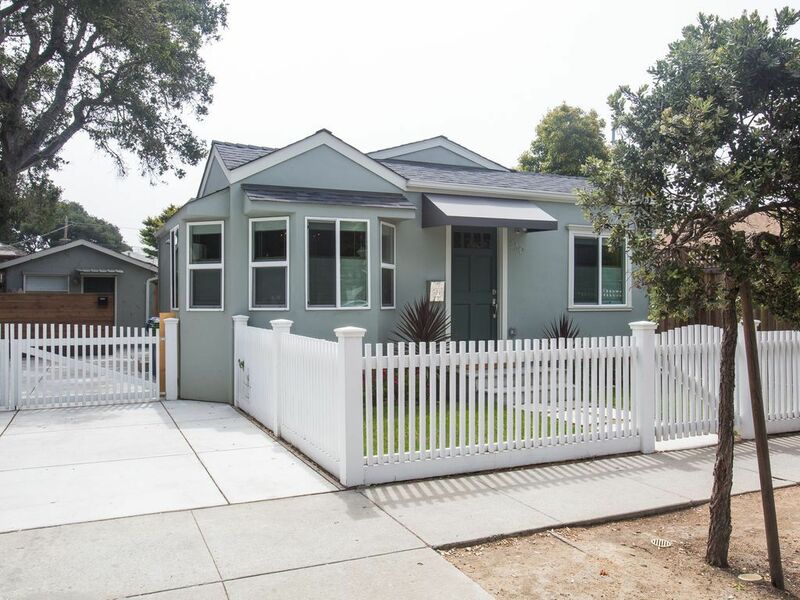 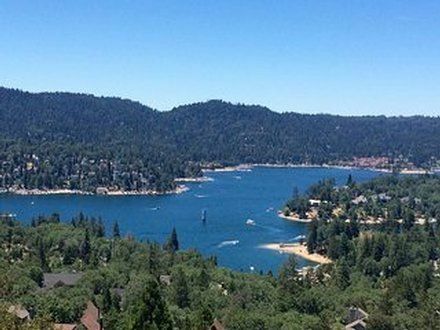 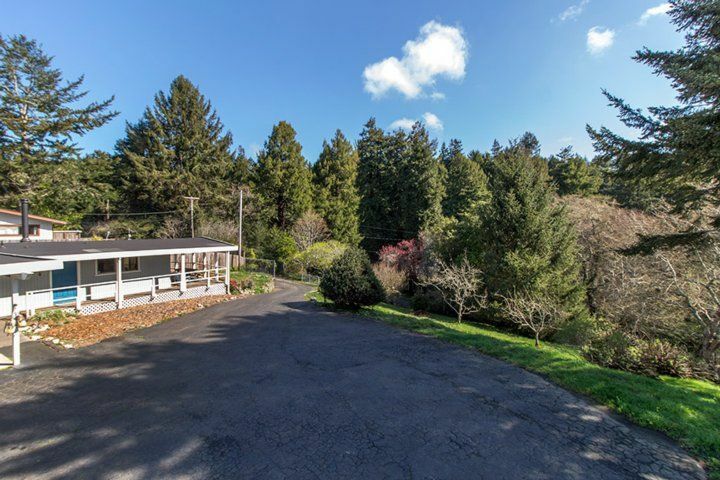 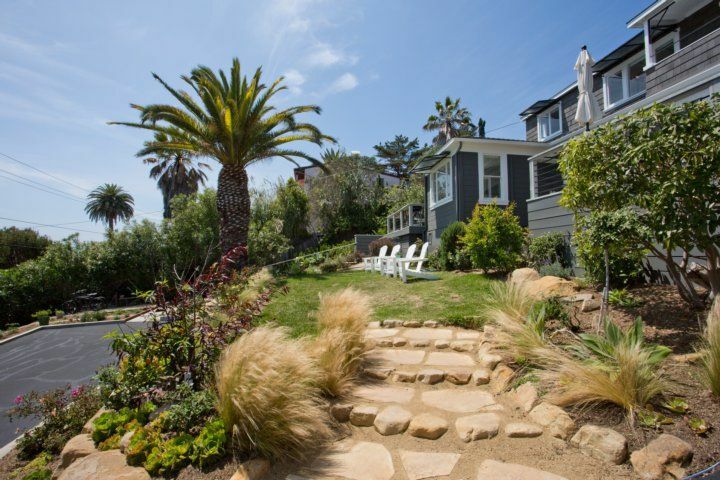 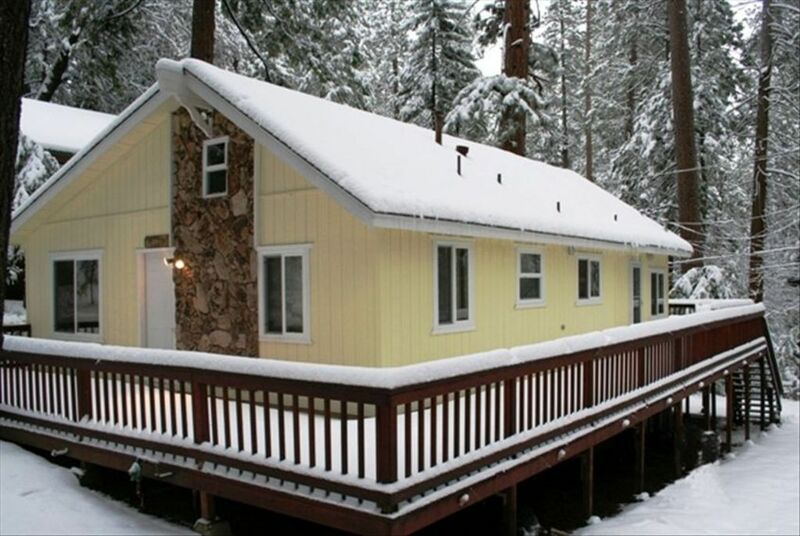 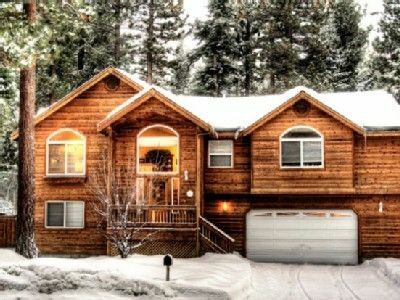 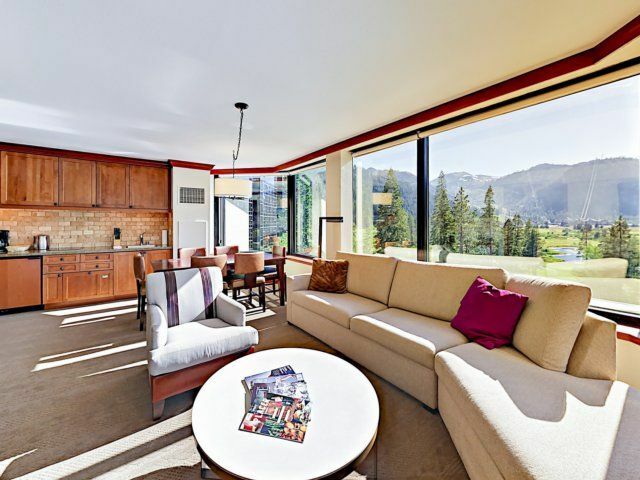 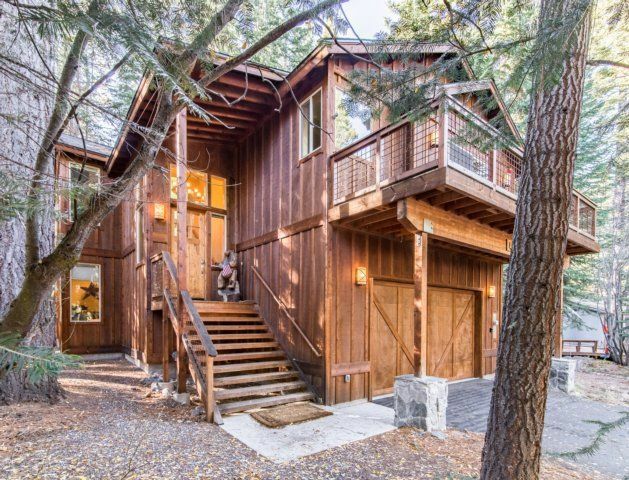 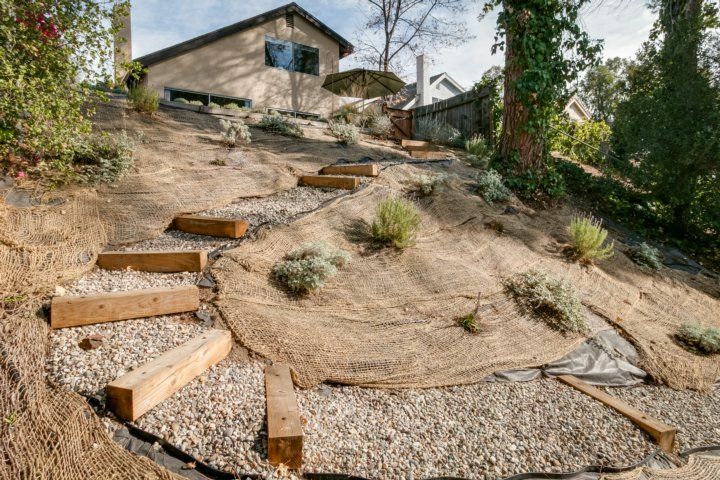 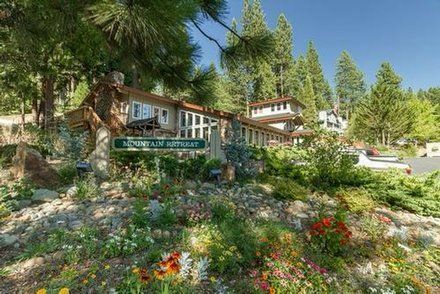 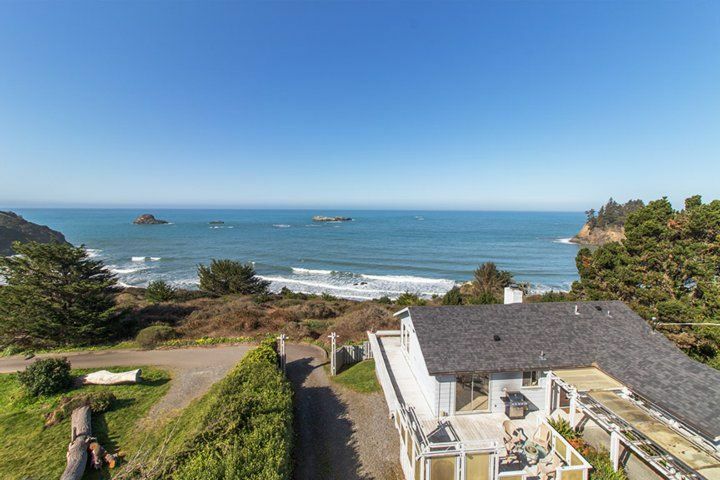 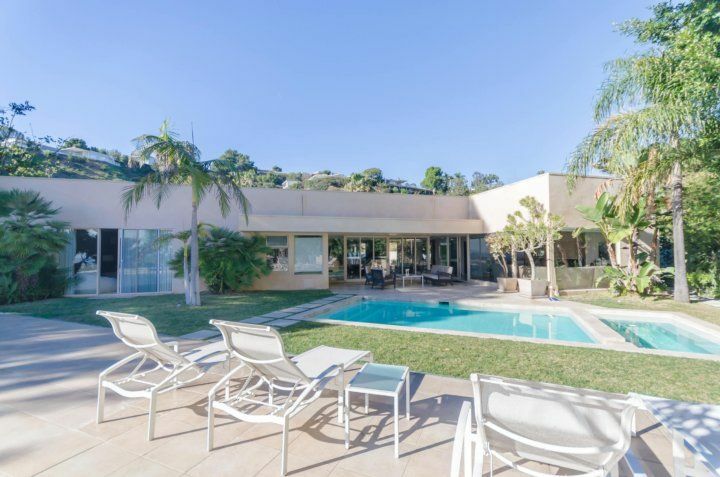 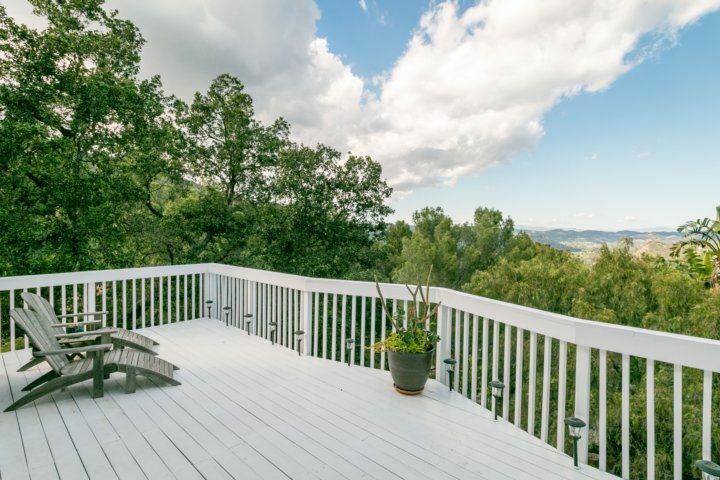 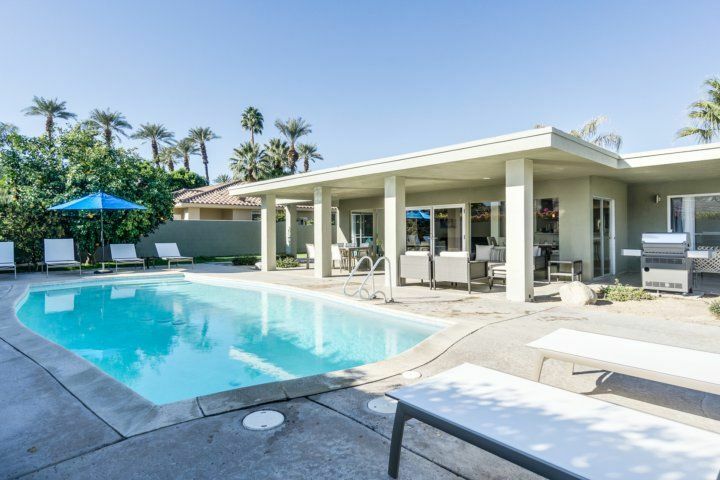 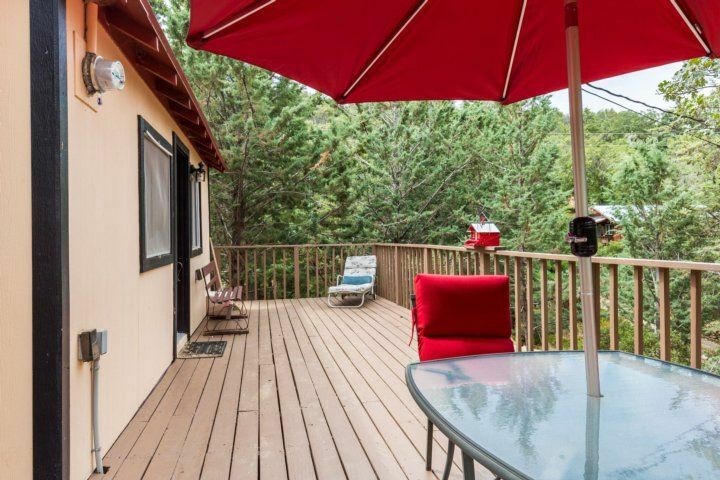 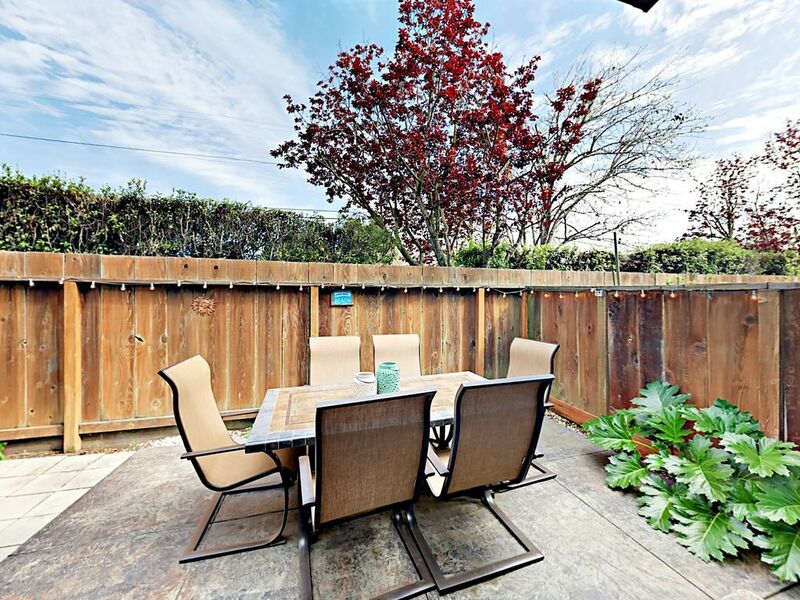 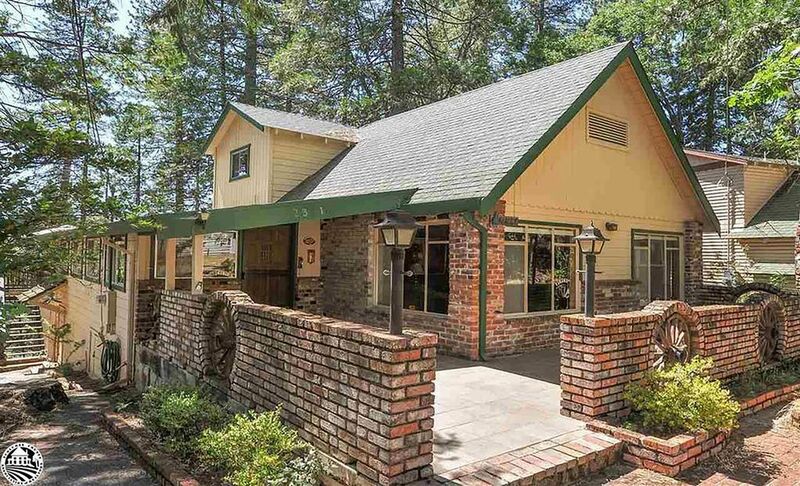 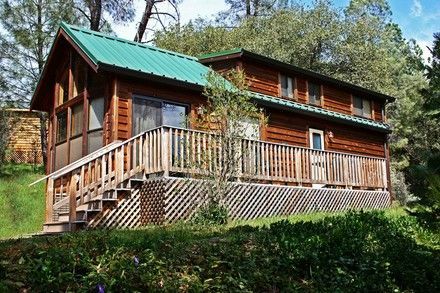 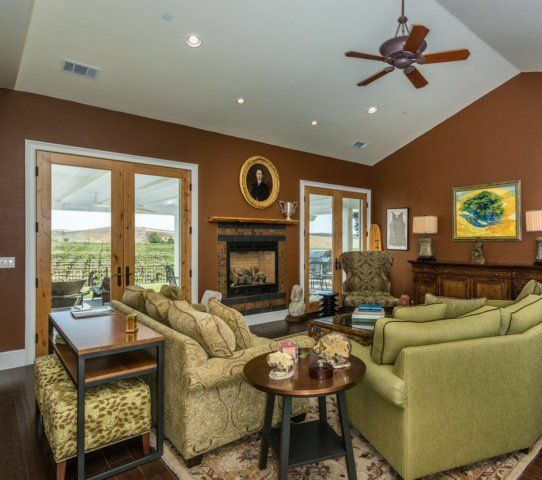 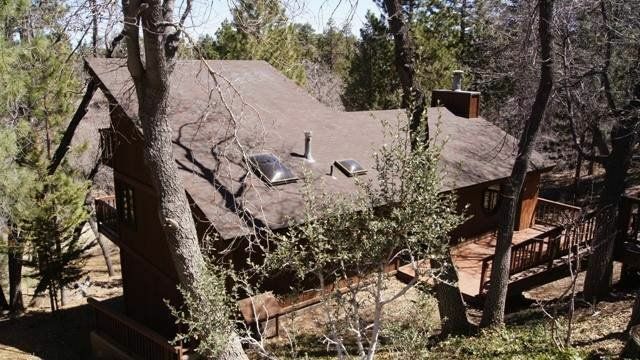 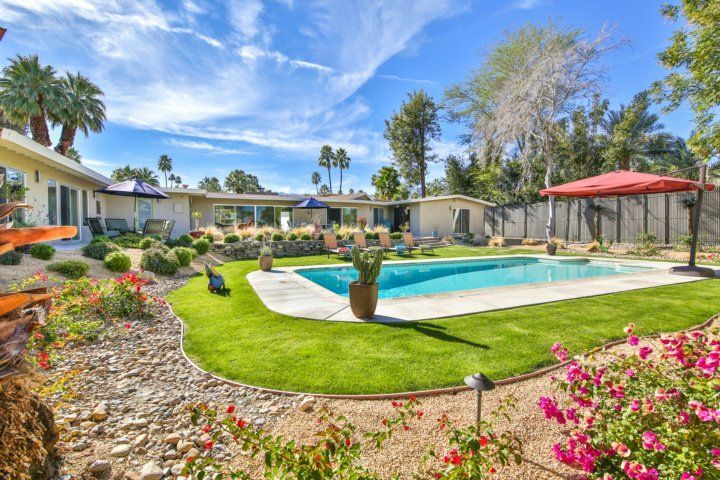 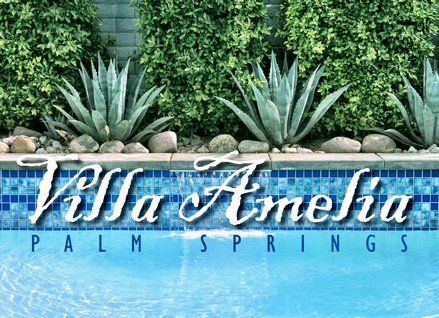 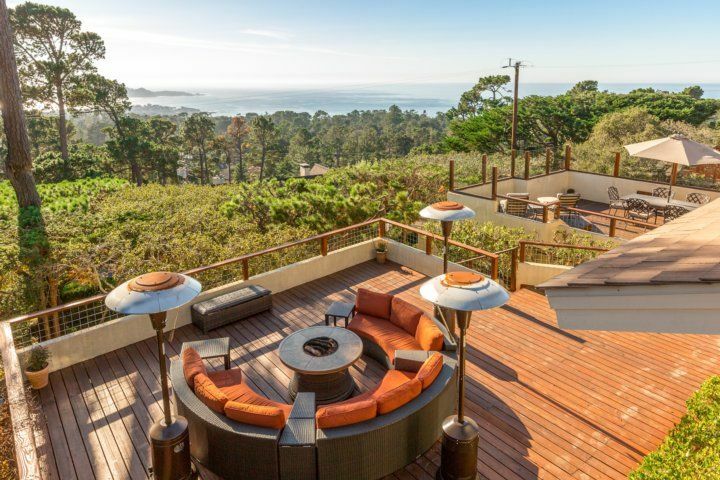 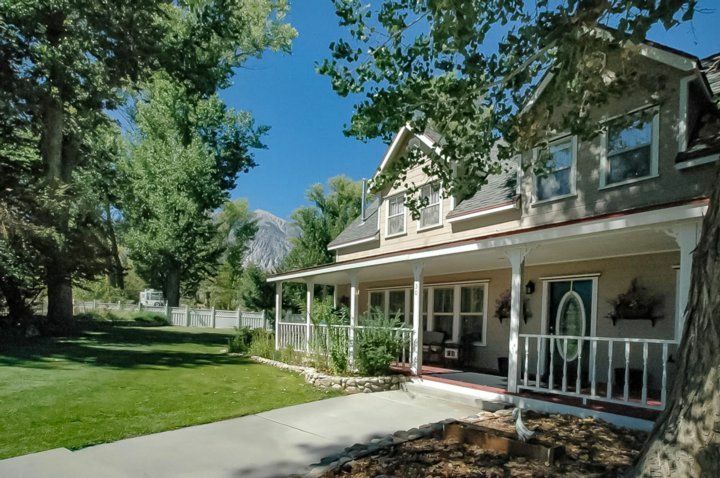 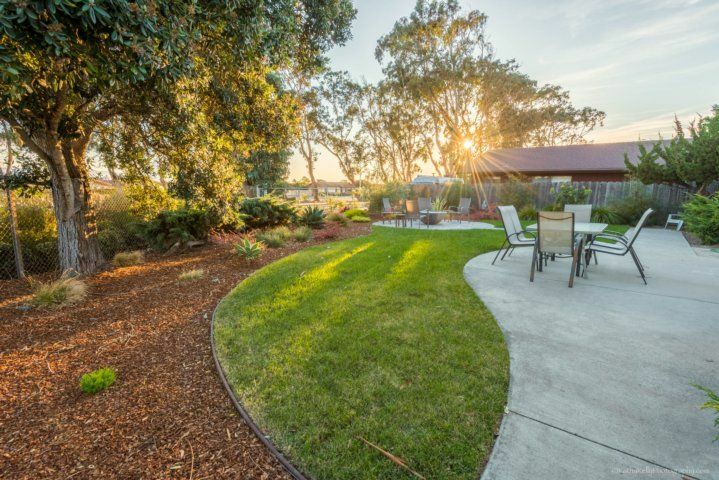 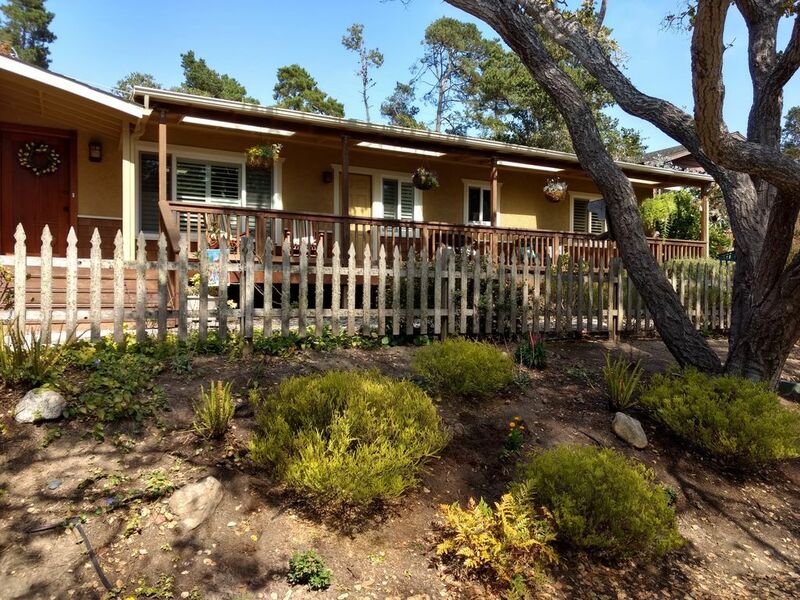 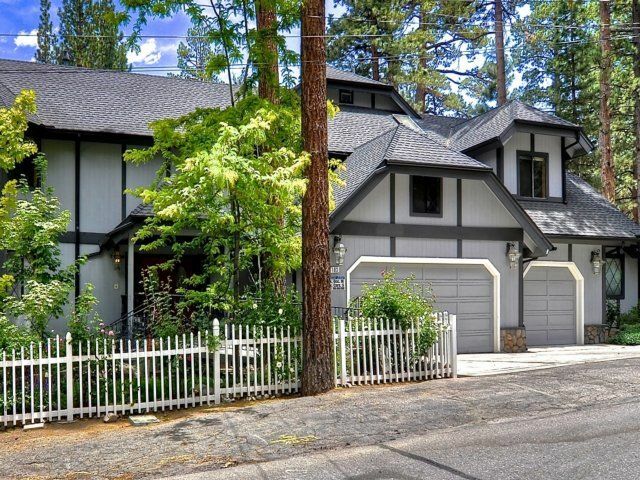 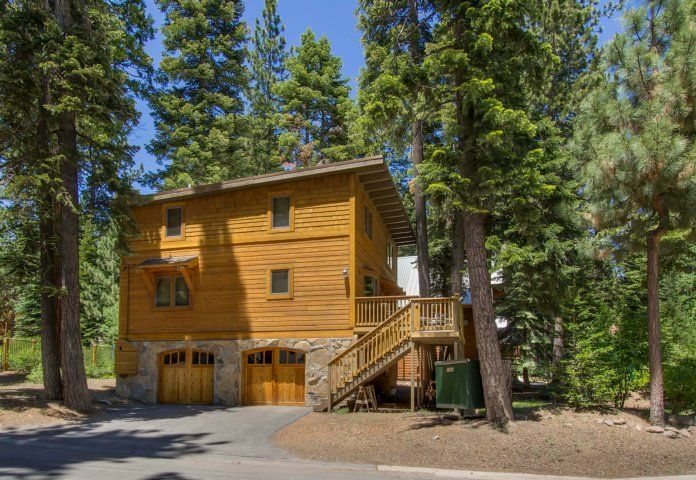 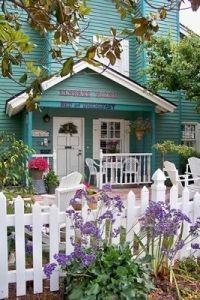 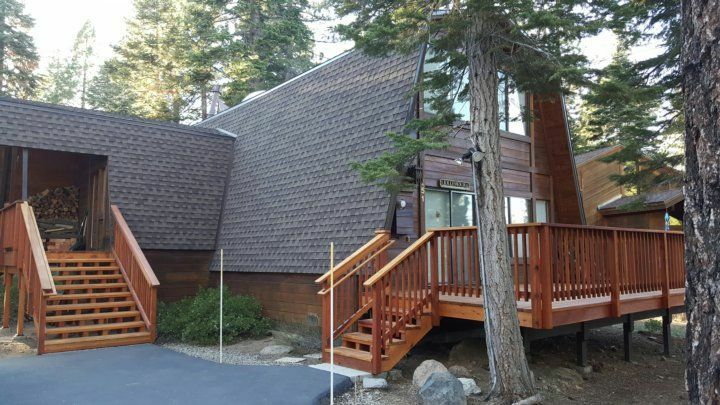 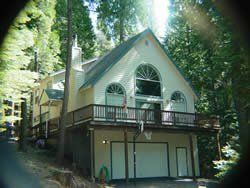 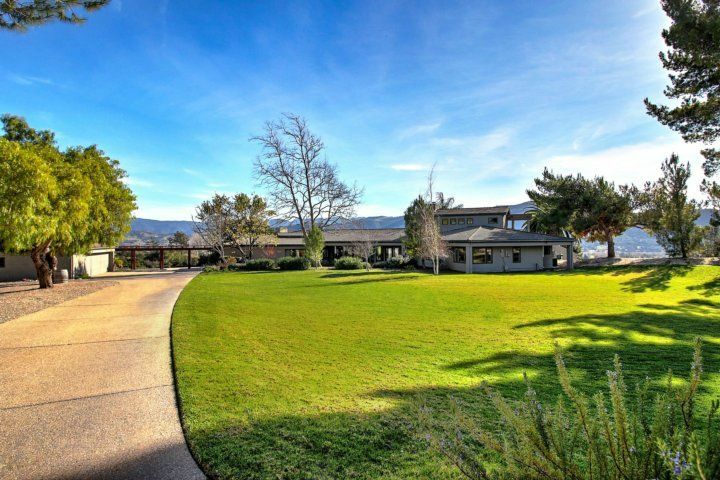 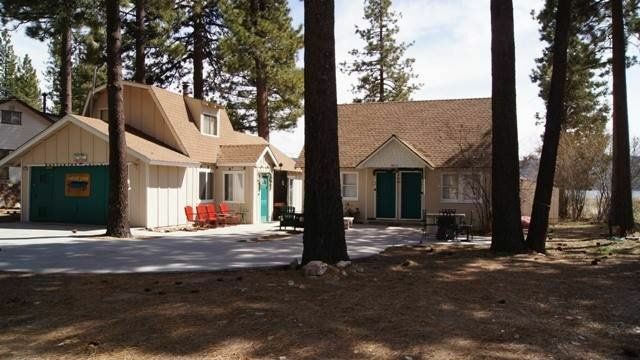 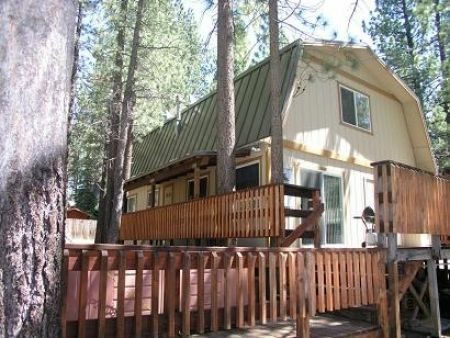 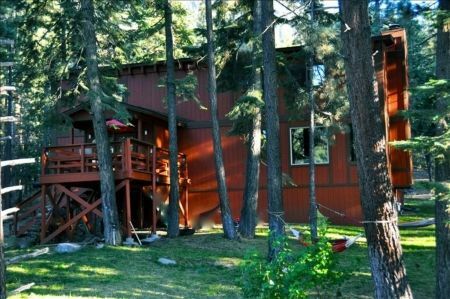 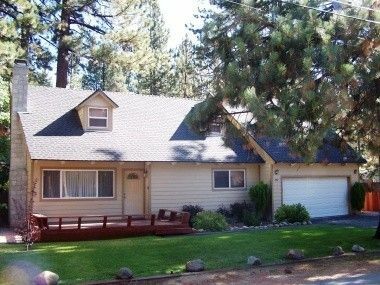 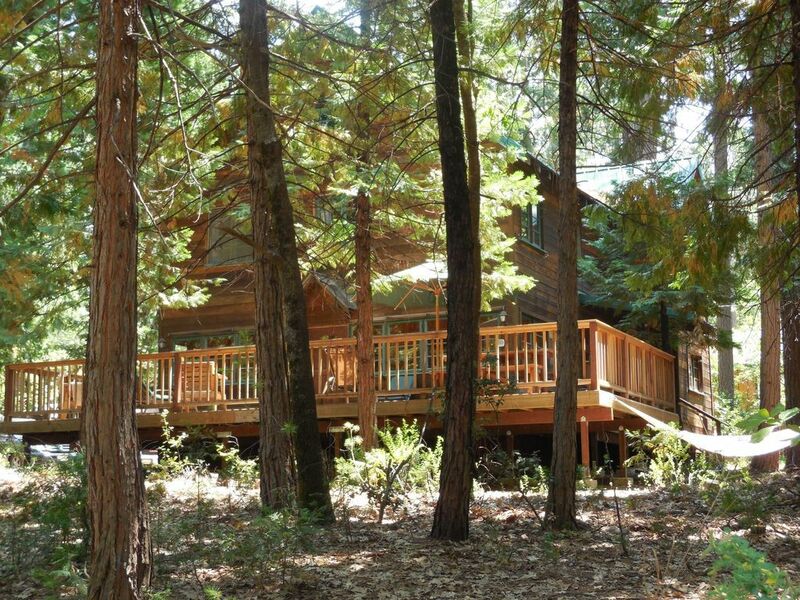 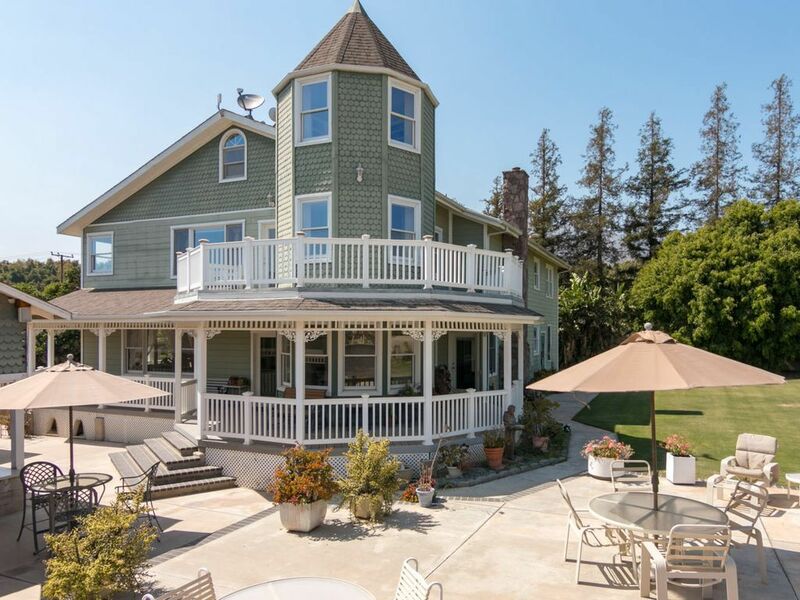 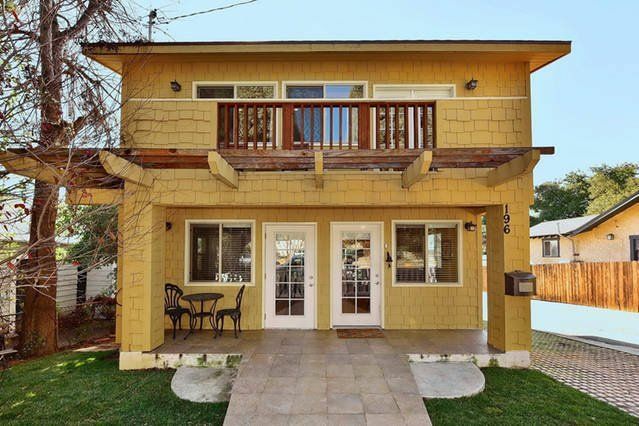 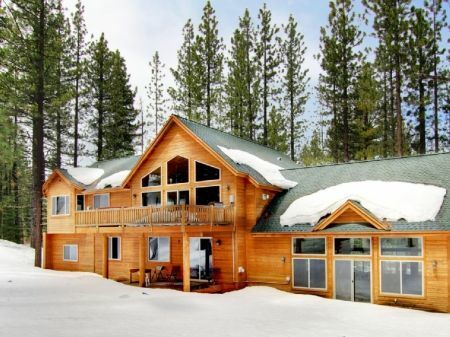 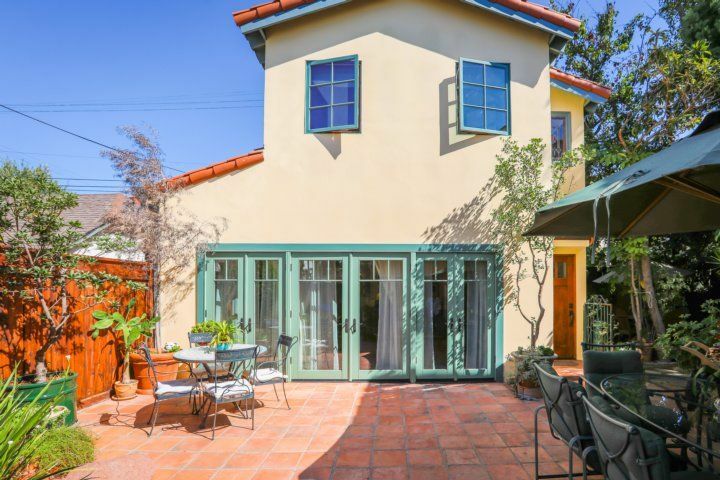 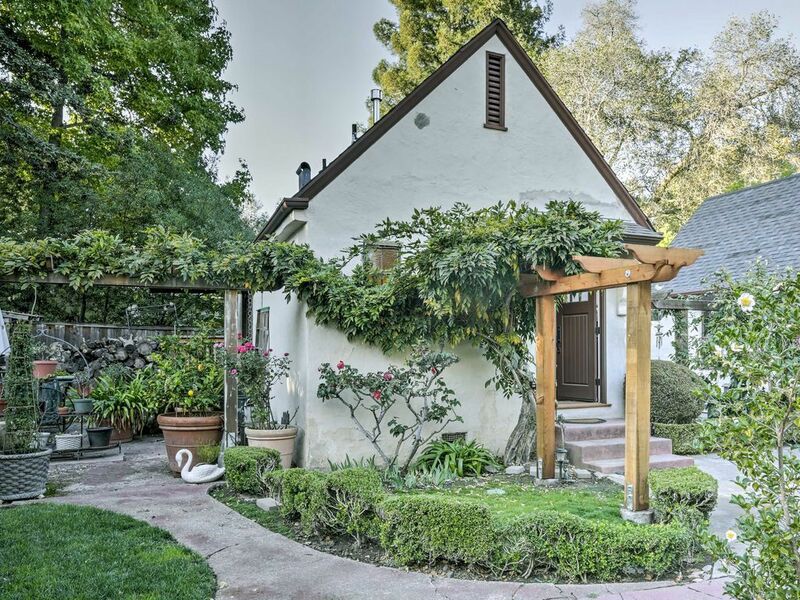 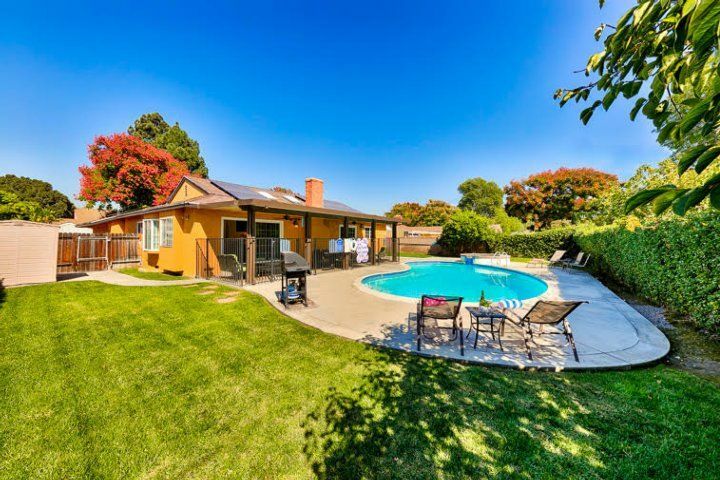 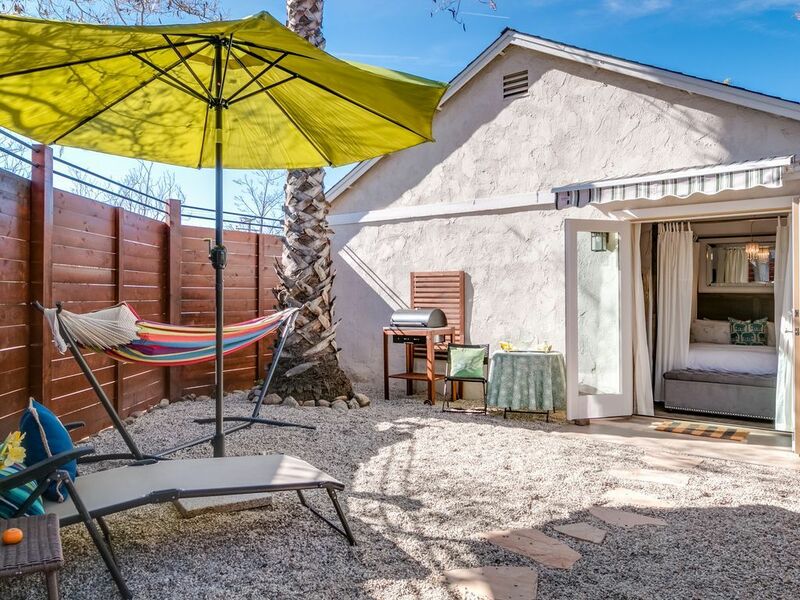 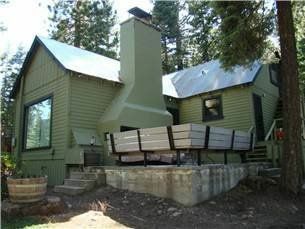 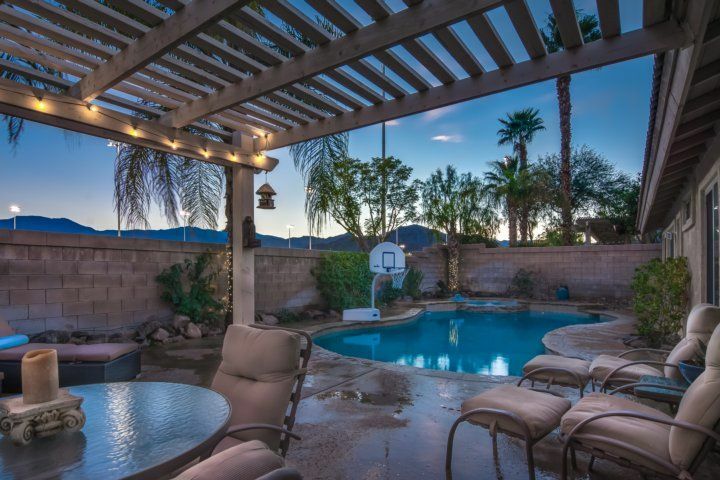 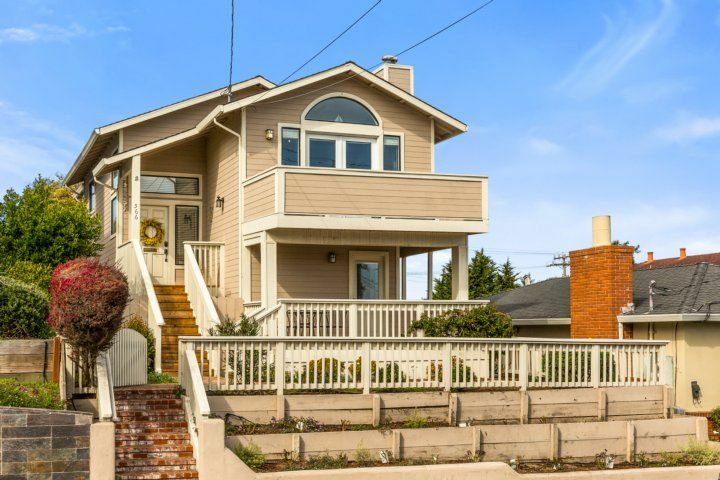 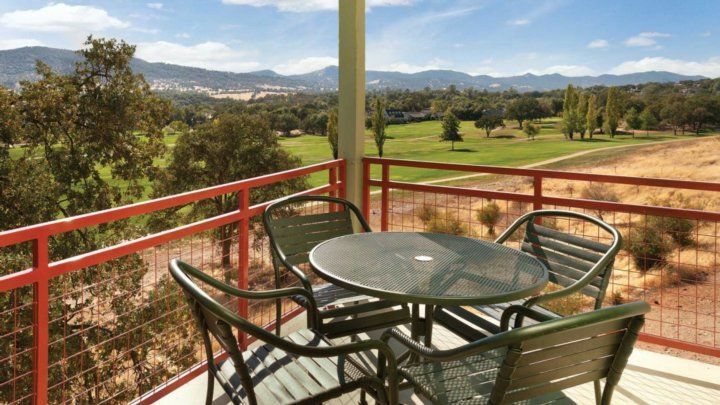 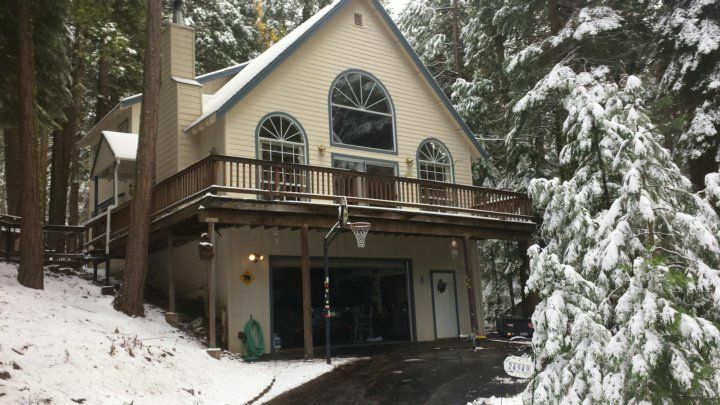 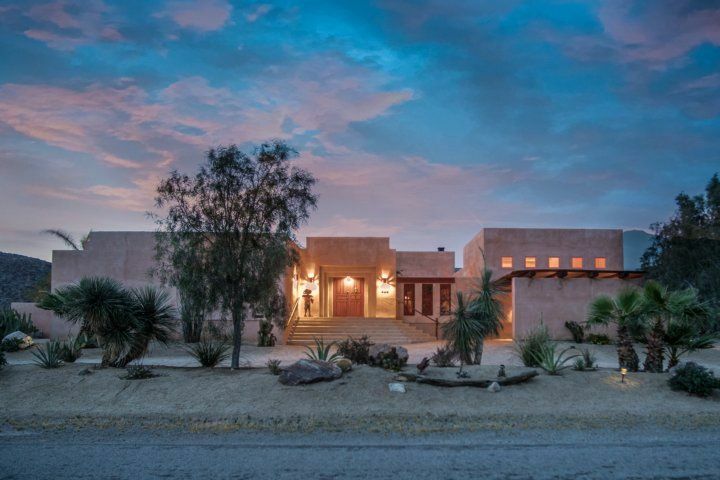 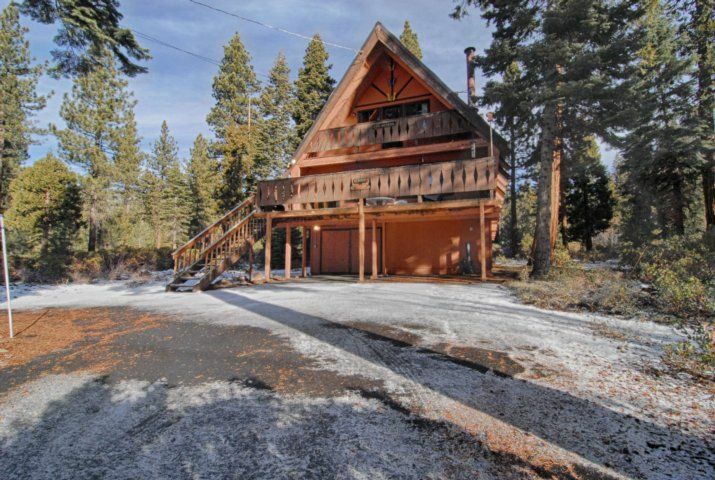 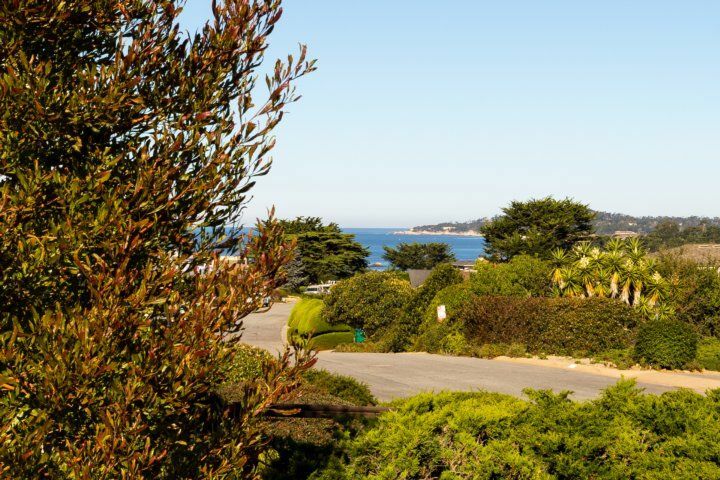 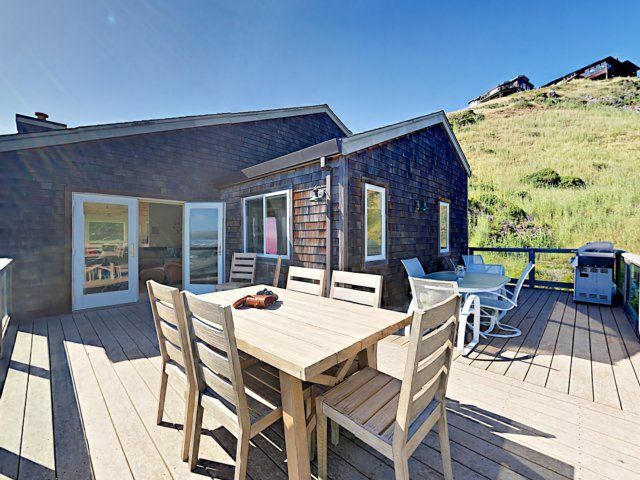 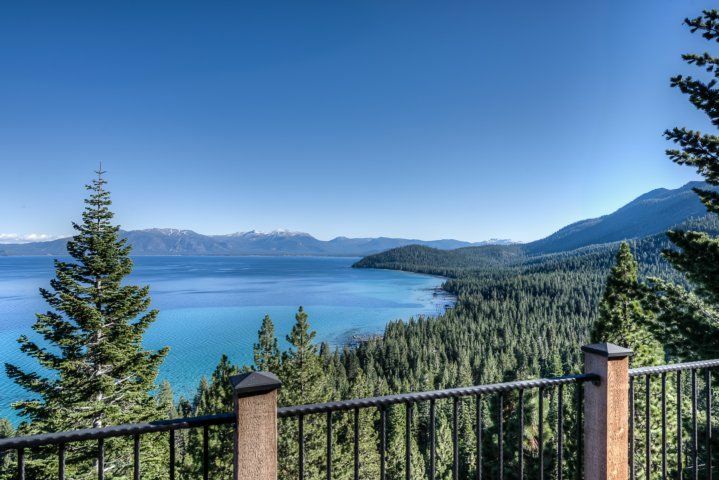 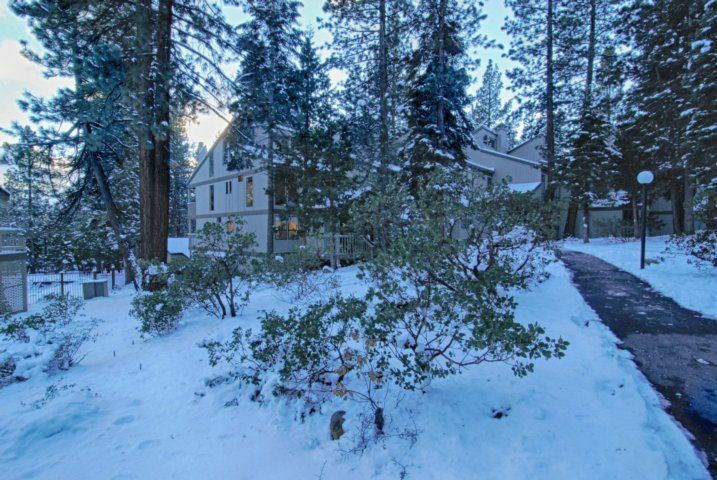 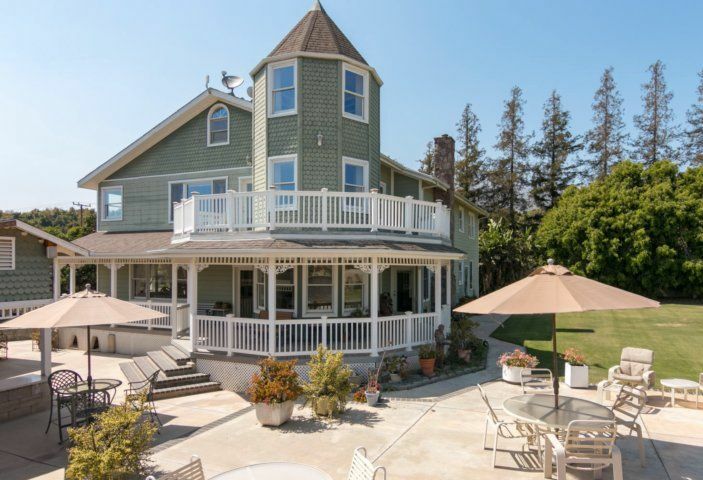 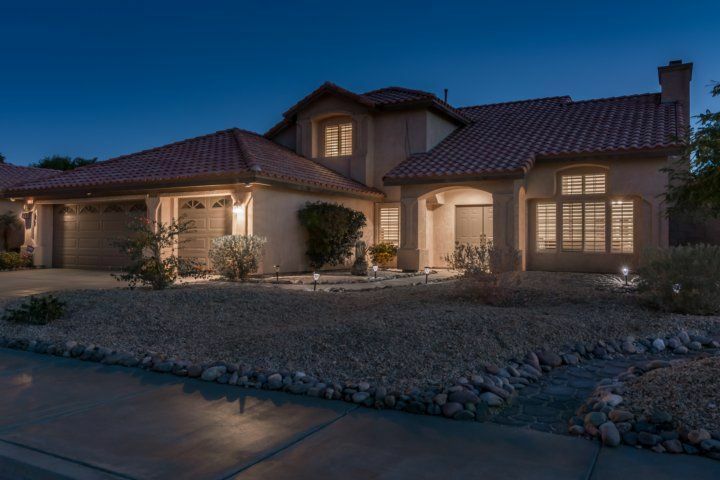 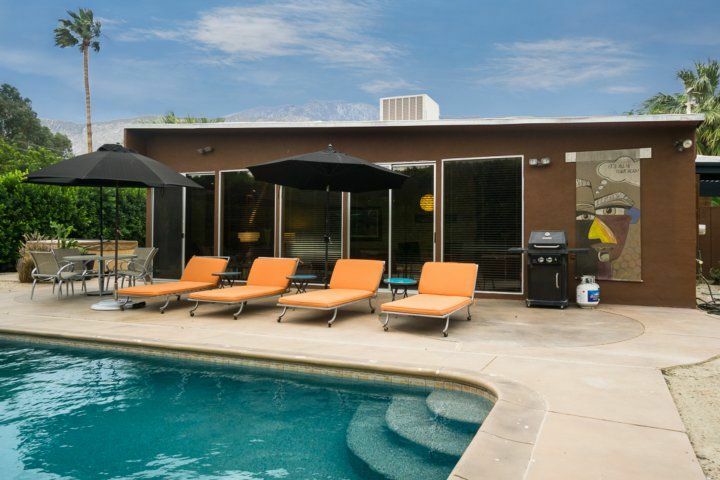 Outdoor Features: This vacation rental makes it easy to enjoy the California sun with the following outdoor features A balcony off of the dining room features a small sitting area, perfect for quiet conversations and getting a bit of sunshine. 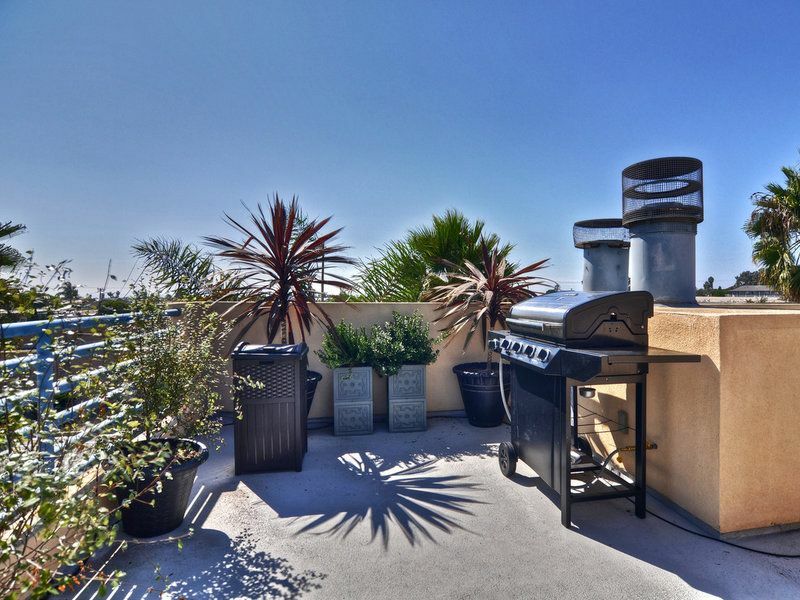 The rooftop patio is the star of the show, with dining space for 4, a new grill, and additional seating and fire pit. 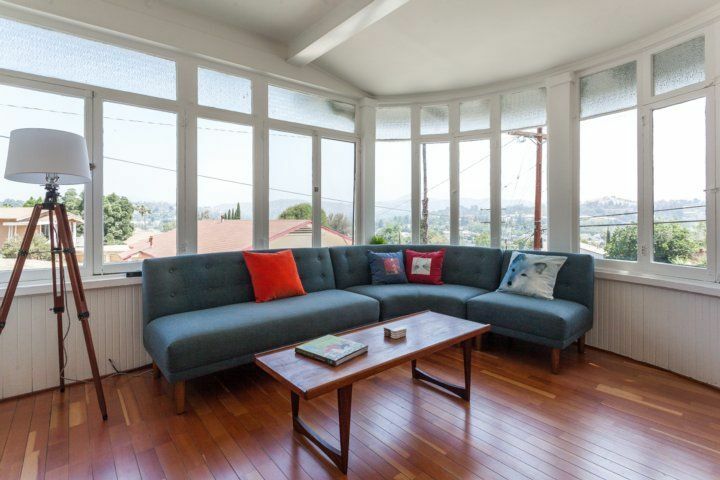 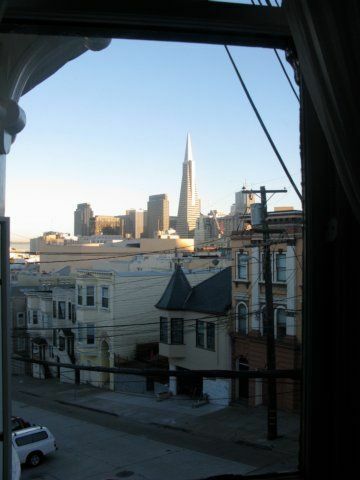 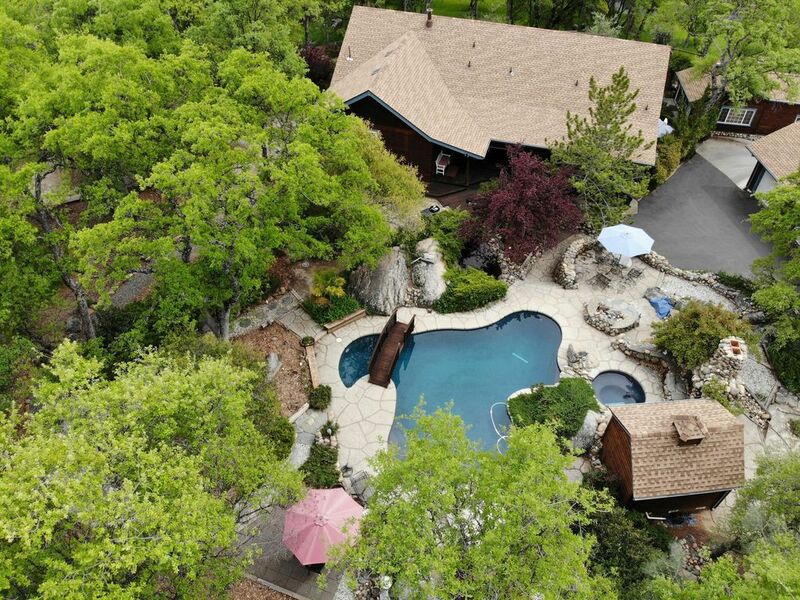 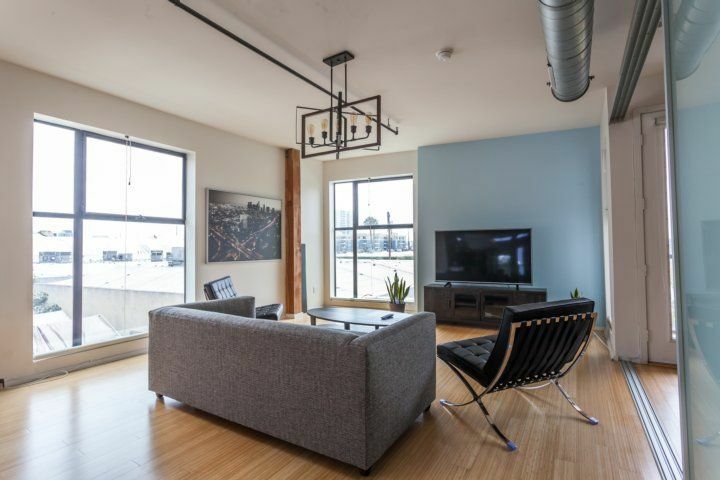 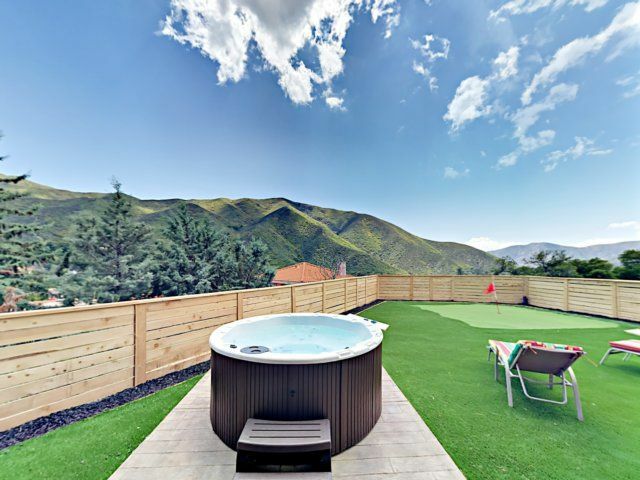 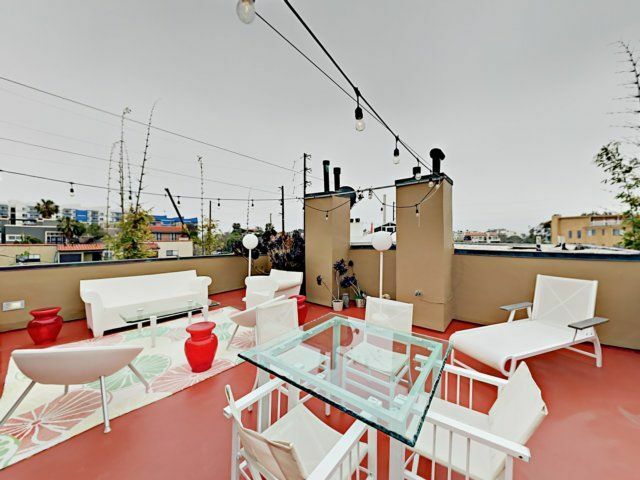 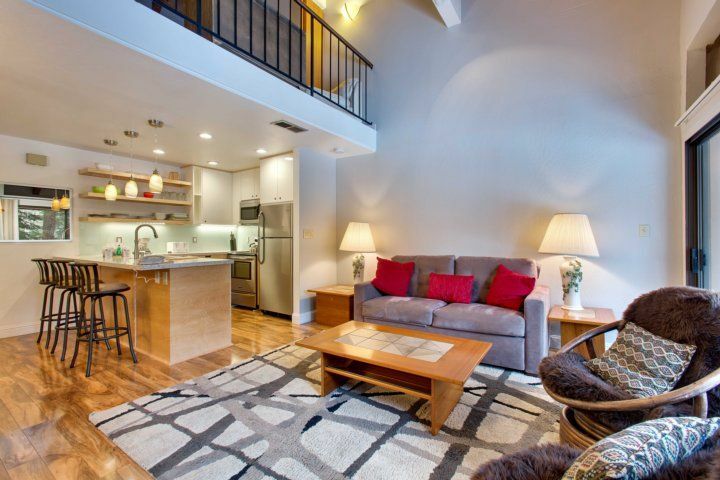 You’ll feel on top of the world in this private rooftop space! 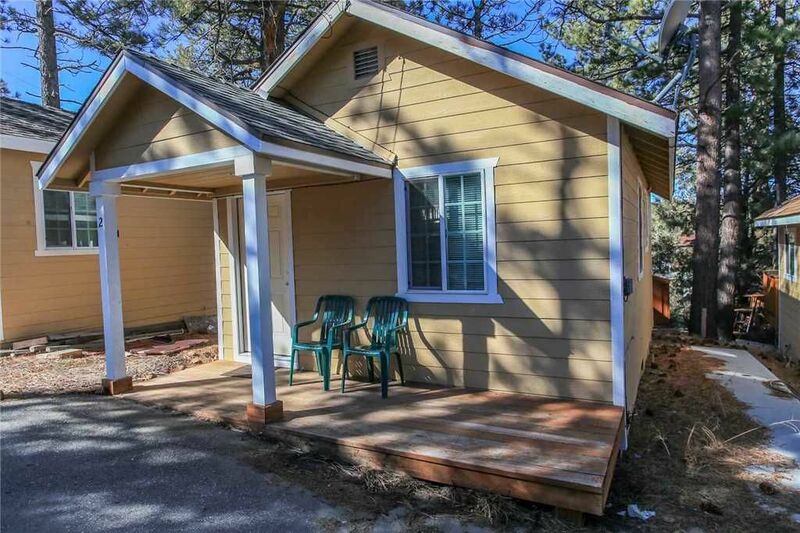 Additional features: Garage parking is available for two cars. 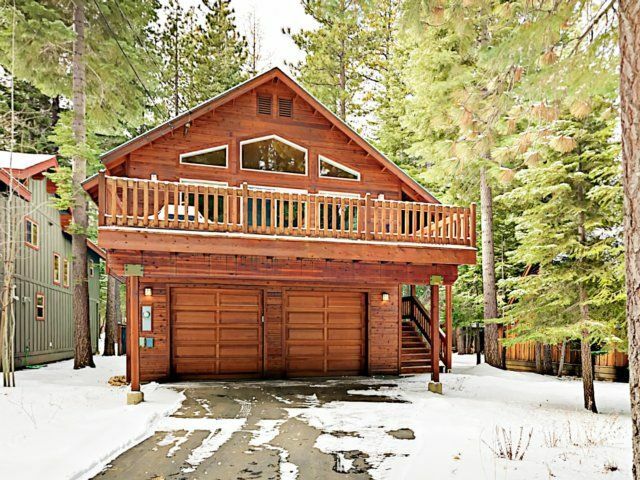 Or park one car in the garage and use the rest of the space to store your surfboards! 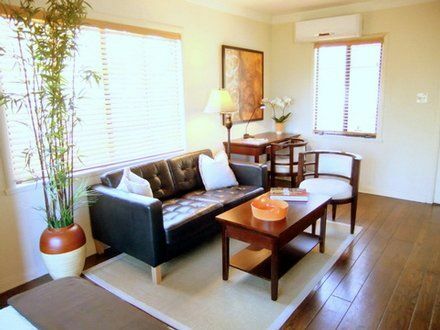 Air conditioning and heat will keep you comfortable no matter the weather. 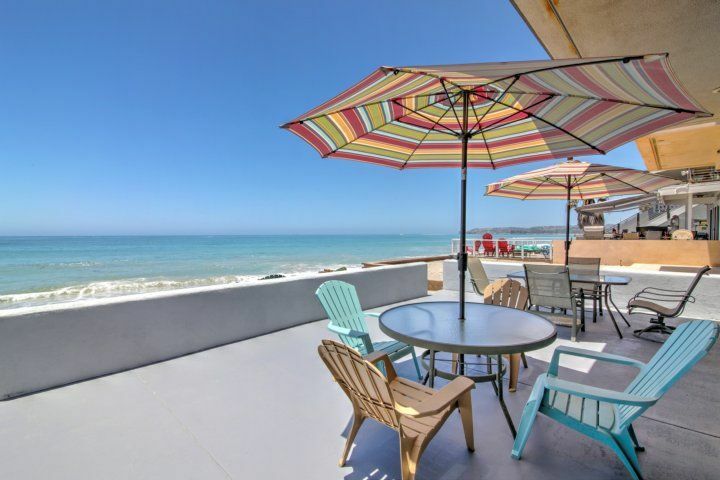 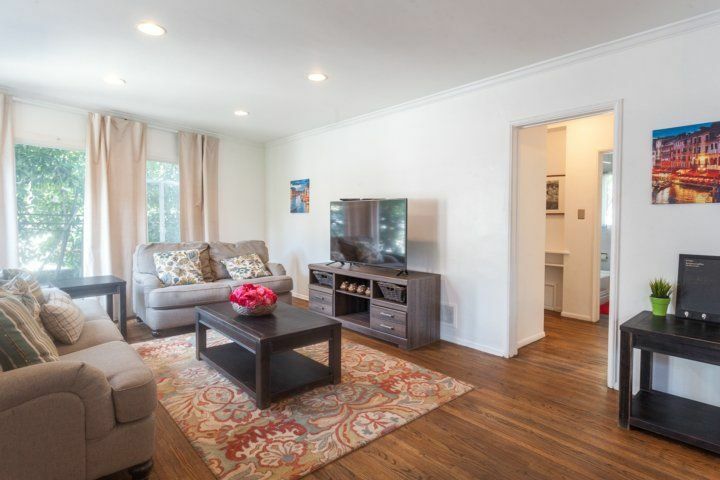 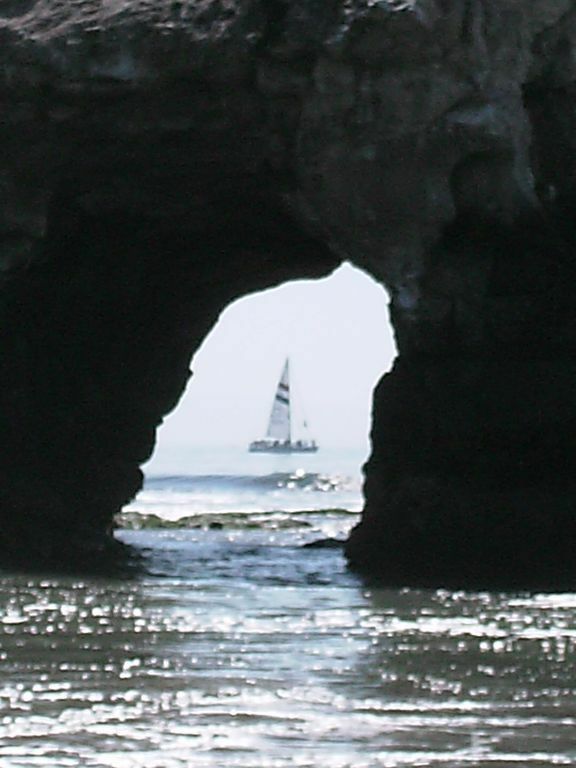 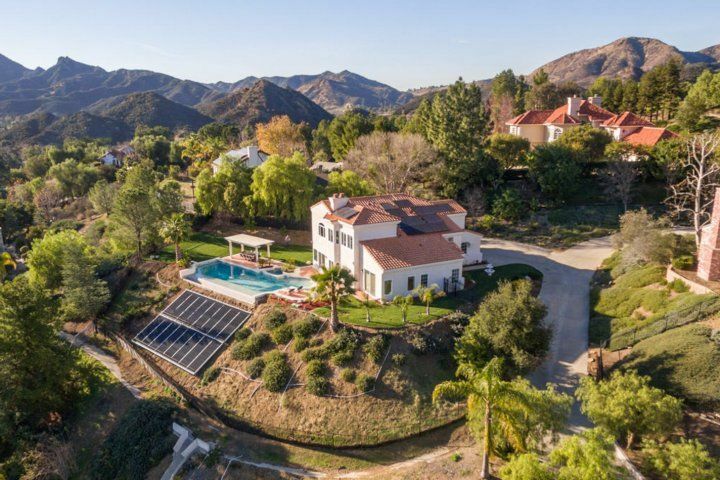 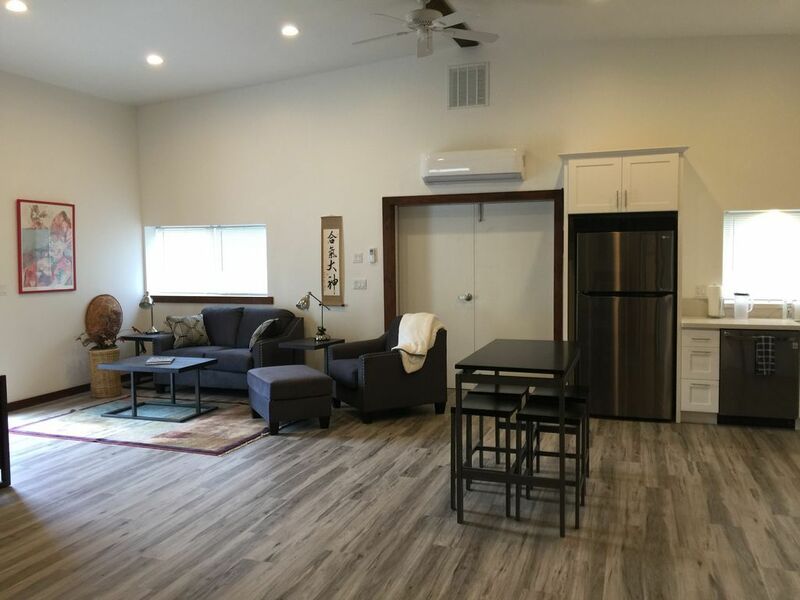 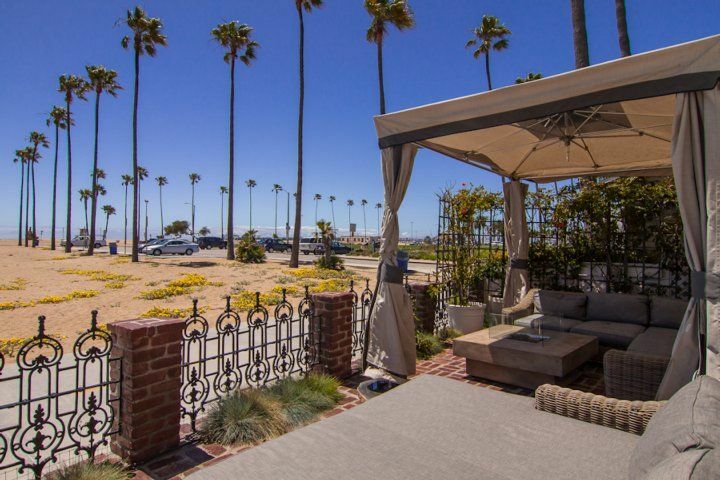 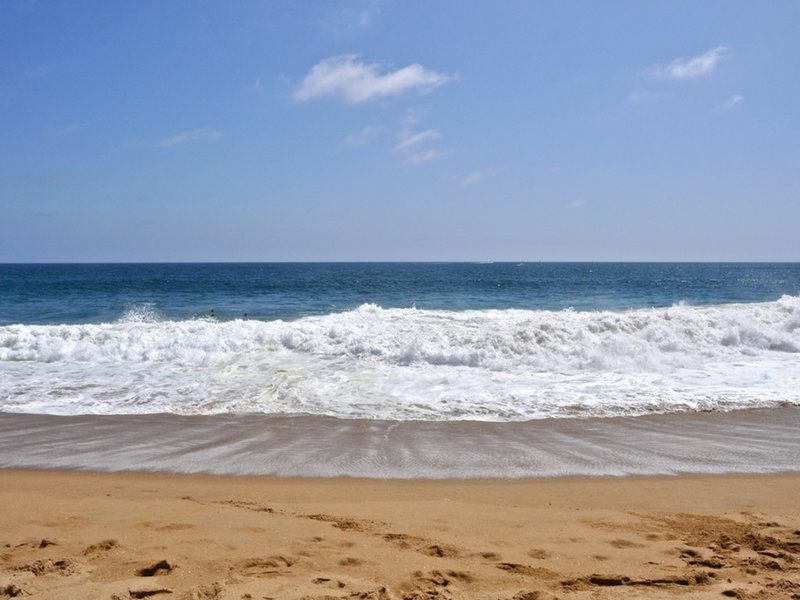 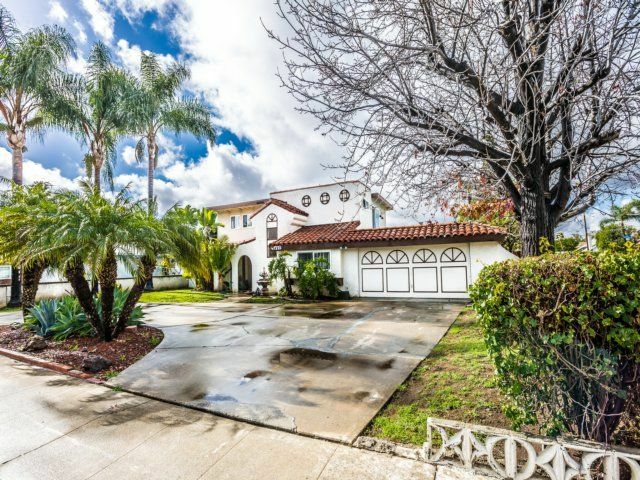 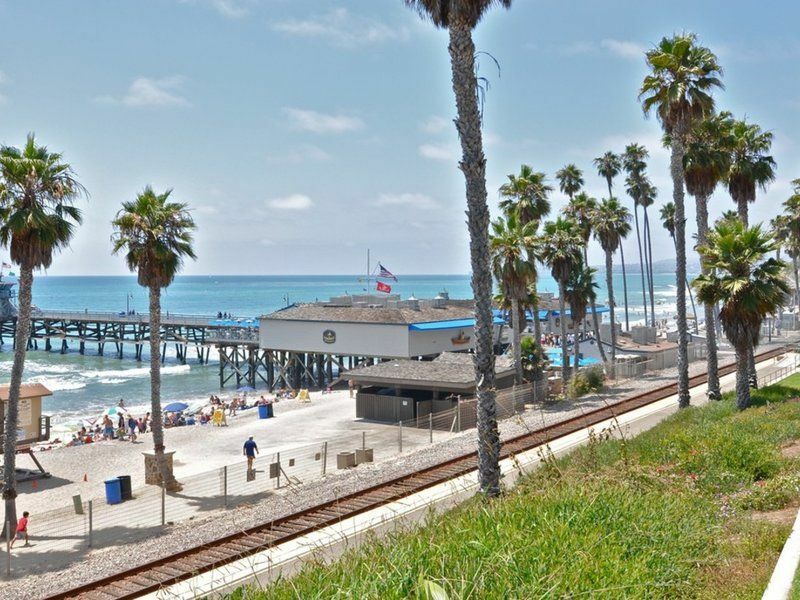 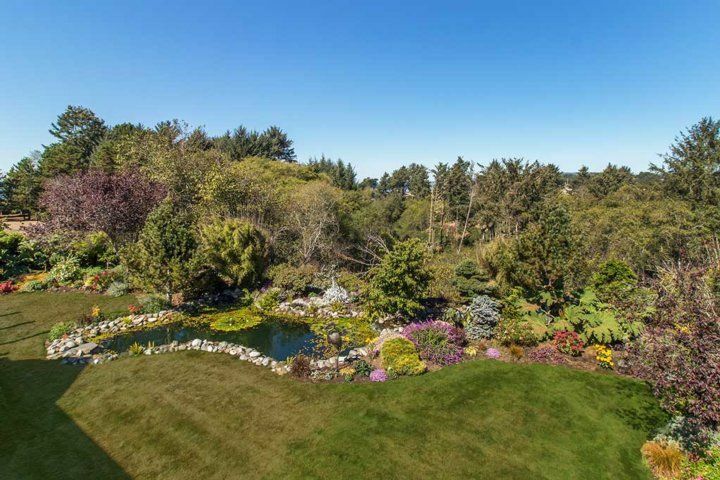 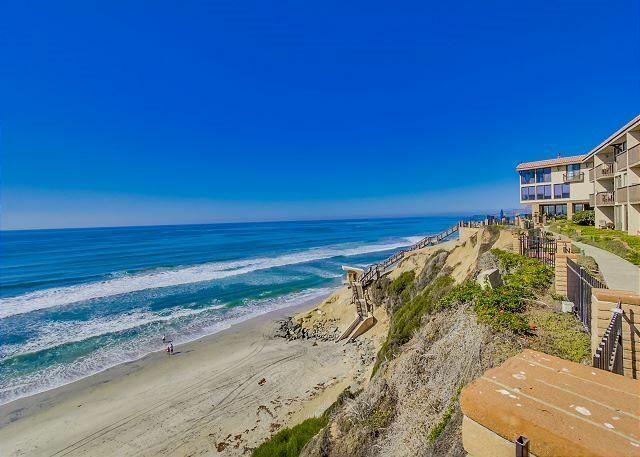 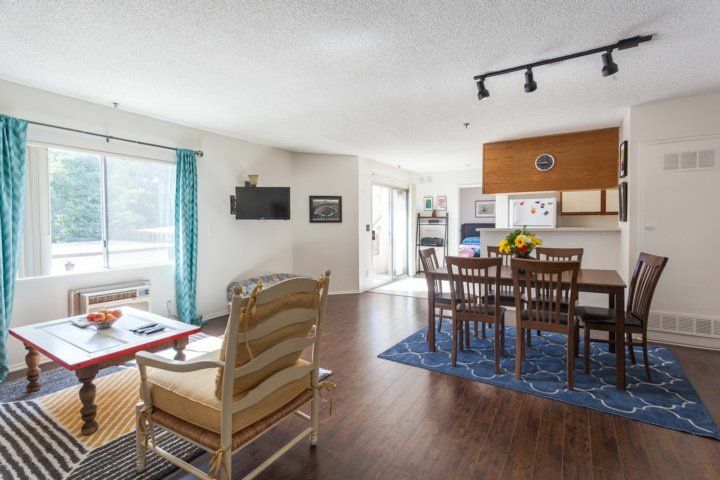 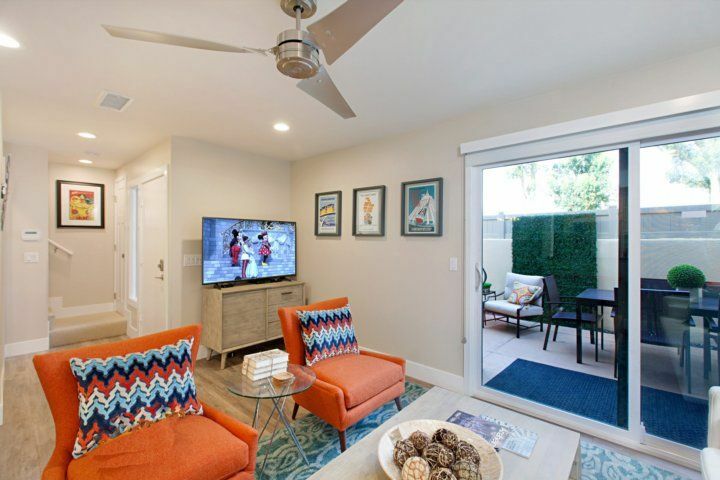 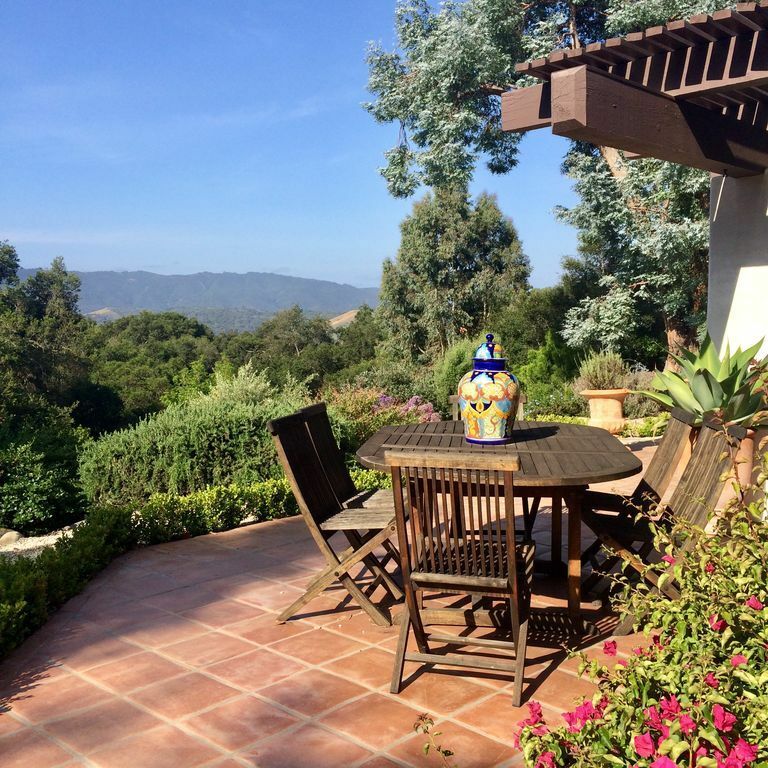 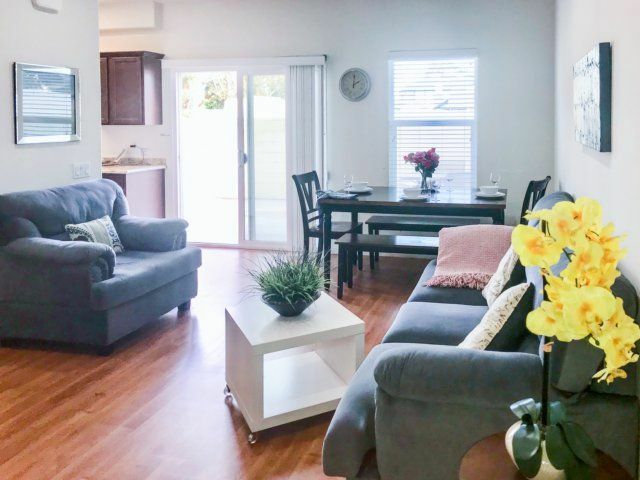 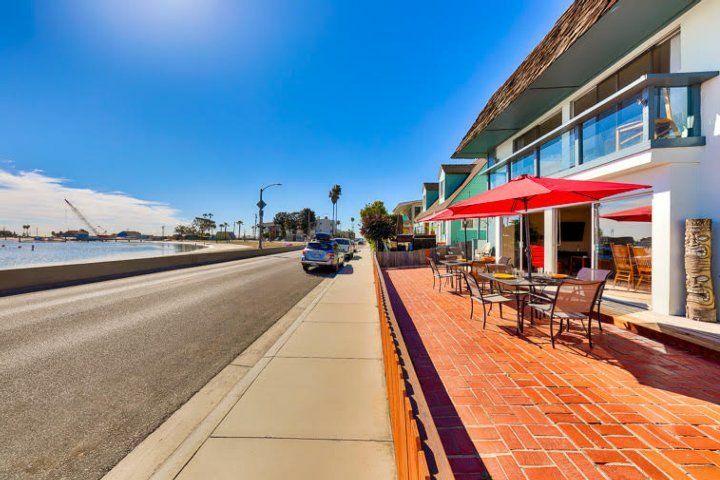 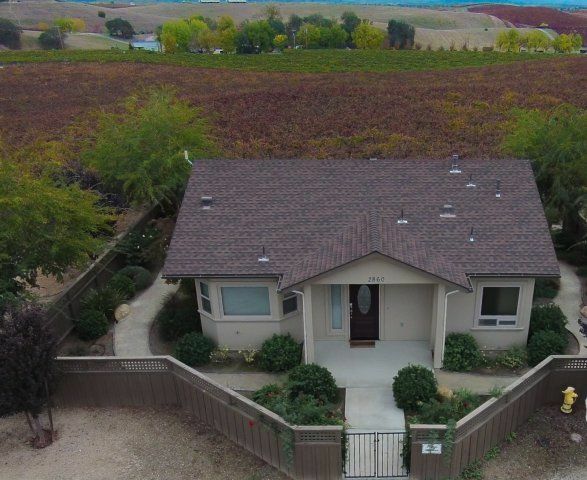 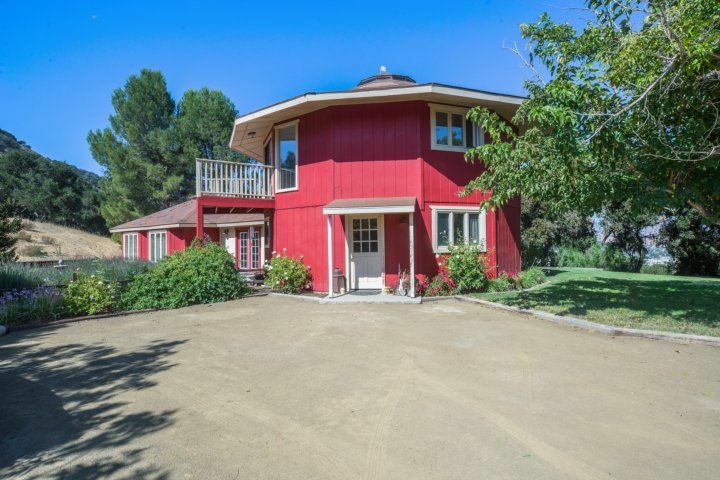 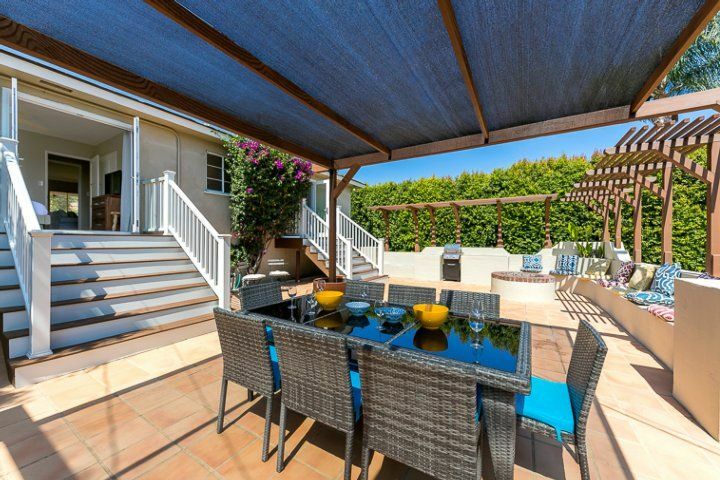 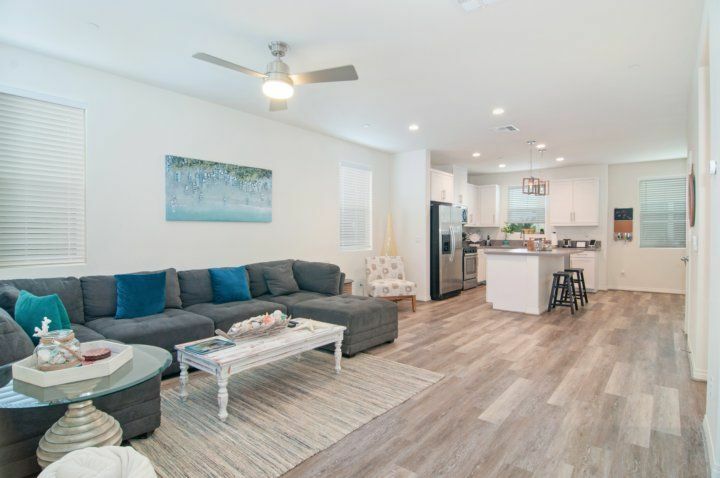 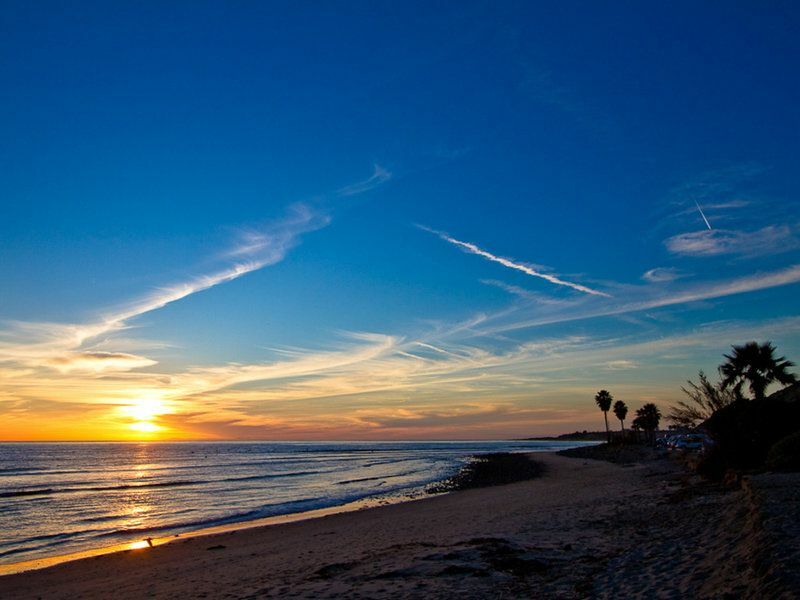 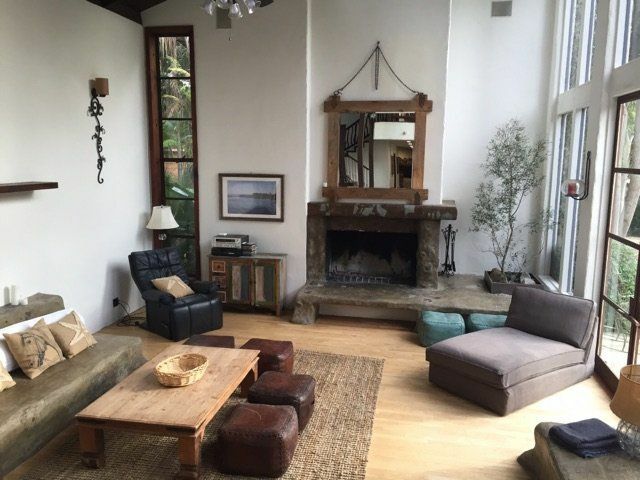 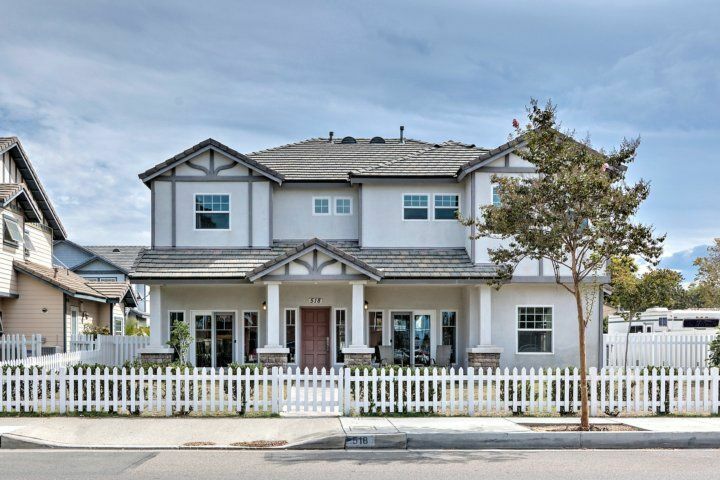 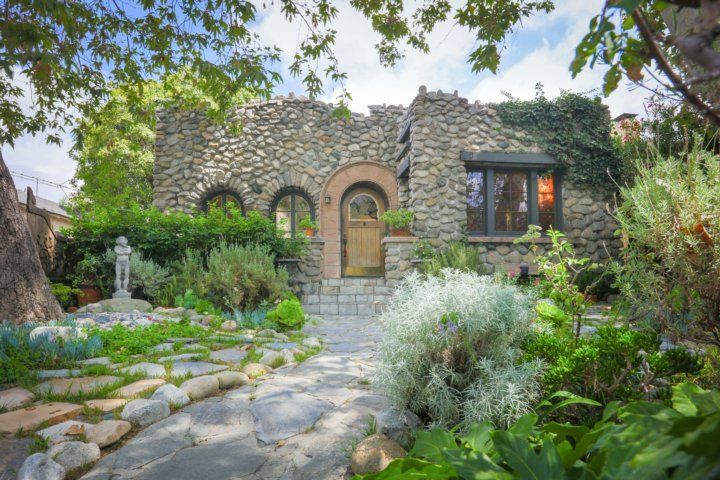 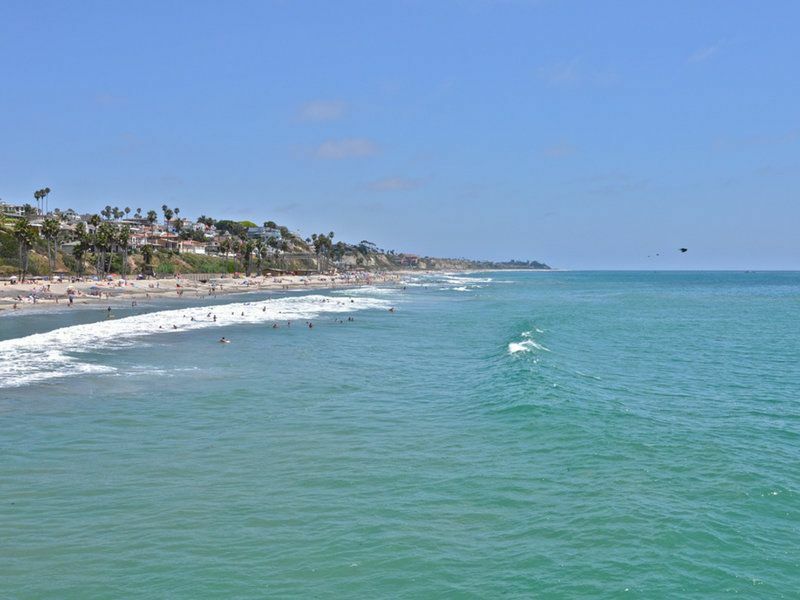 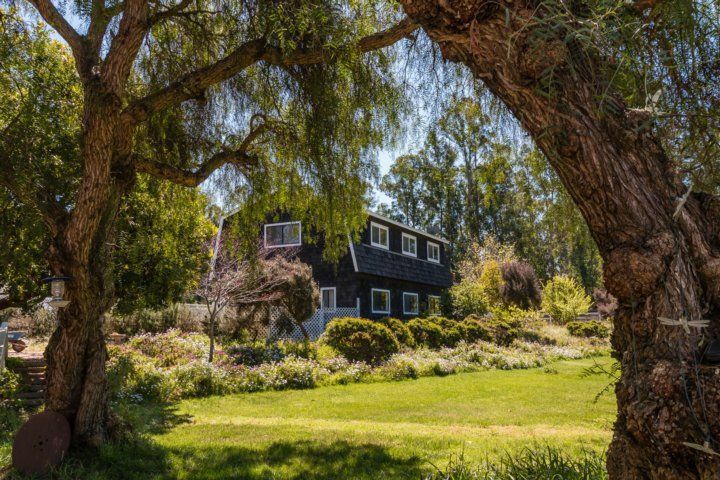 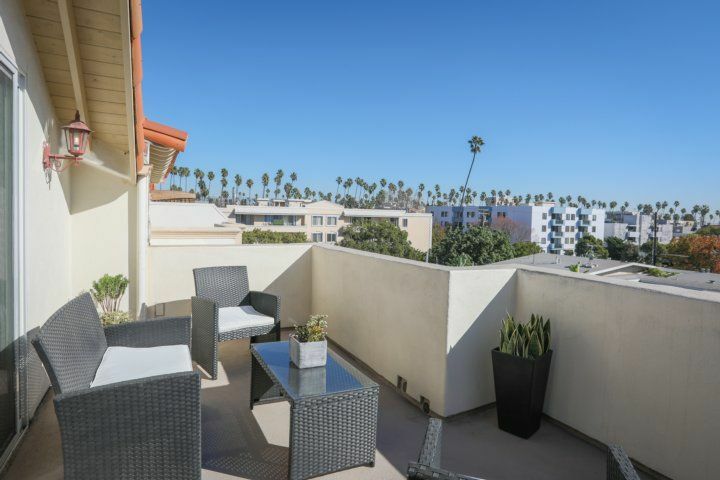 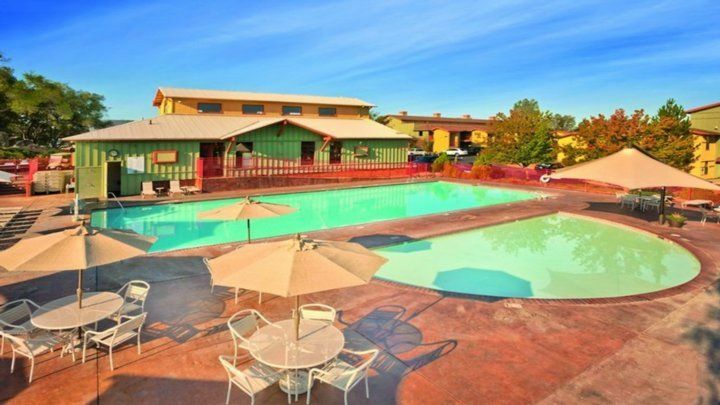 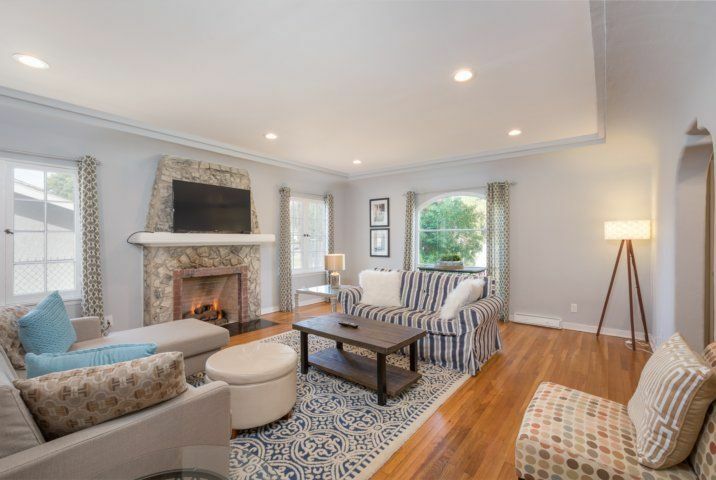 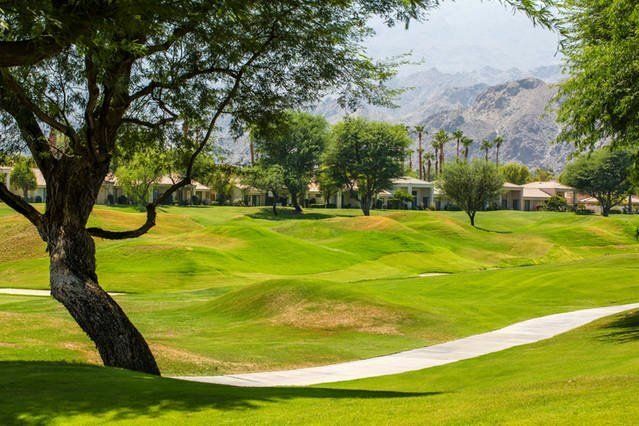 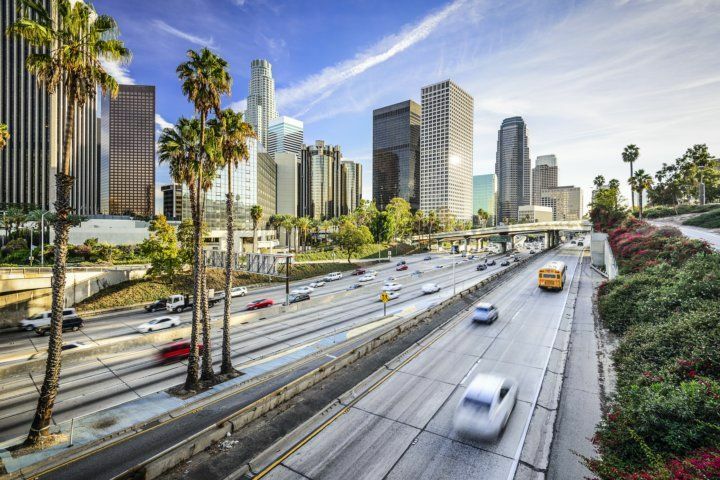 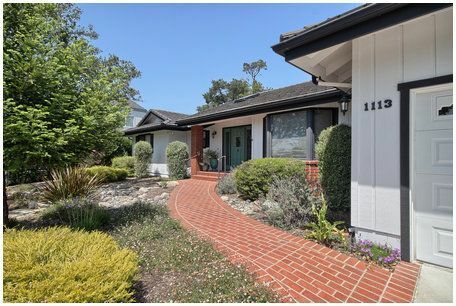 Local Area: This Southern California vacation rental is just about a mile from San Clemente State Beach, .8 miles to the San Onofre State Beach trail, and 1.5 miles to San Mateo Point. 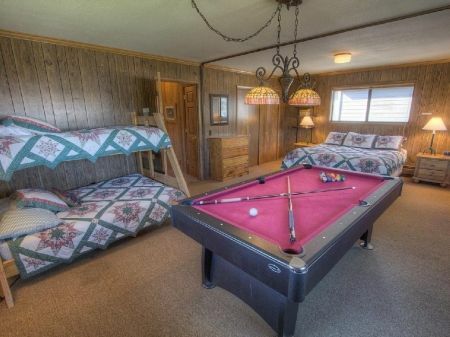 All Guests Must Be Over 25. 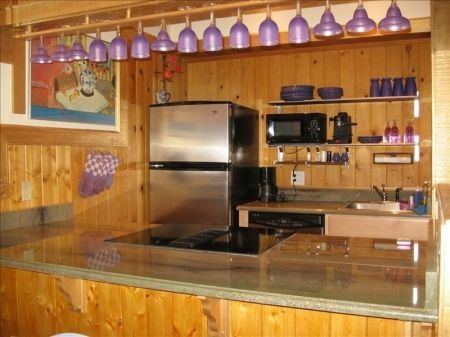 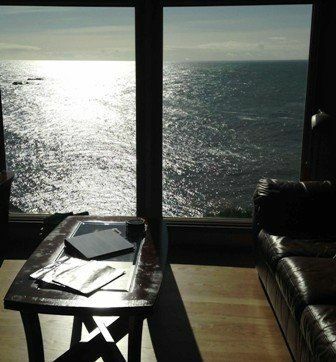 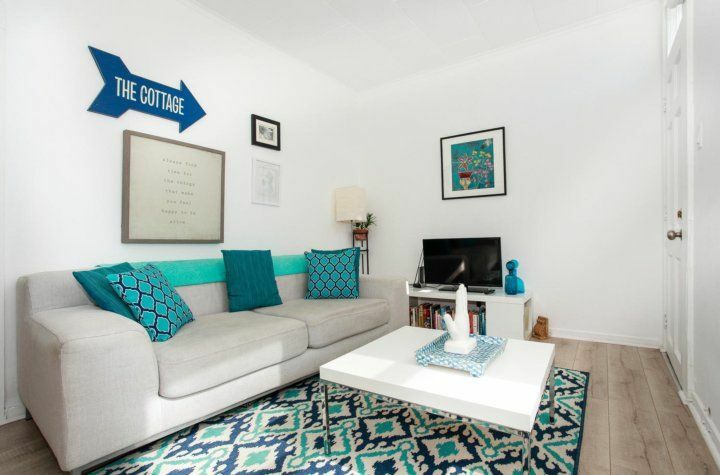 All Properties Require Quiet Time After 10 PM. 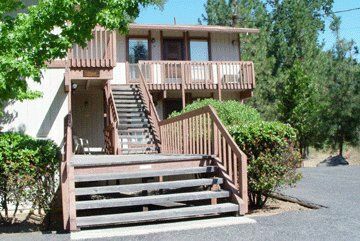 There Is No Smoking In Or Around Any Units On Anywhere On Property. 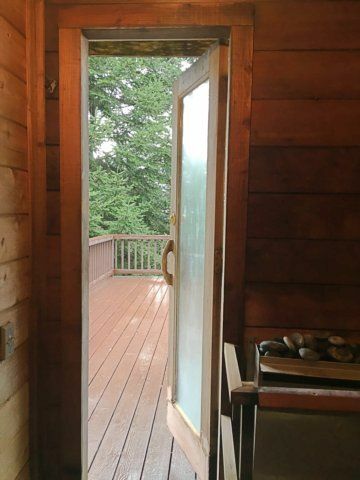 There Are No Parties Or Gatherings Permitted. 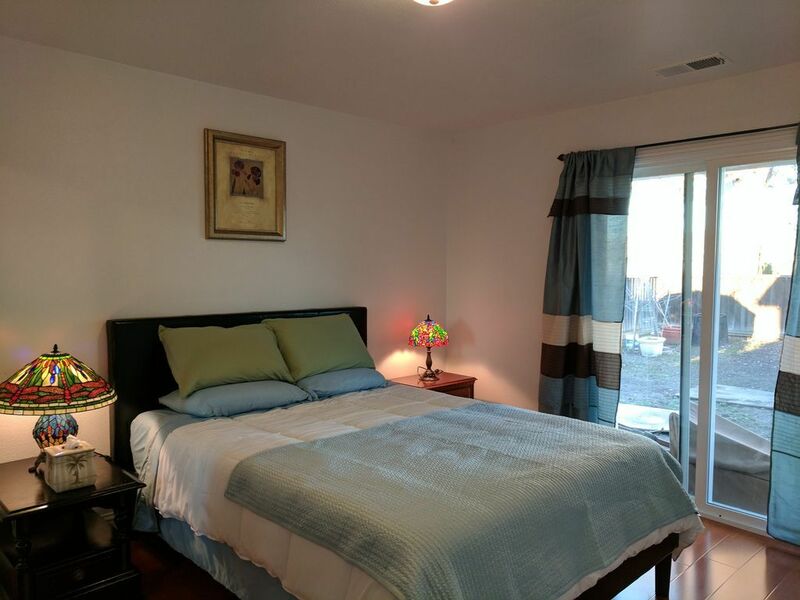 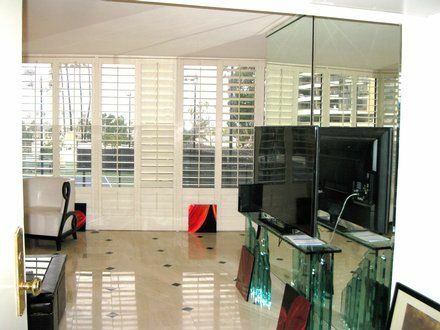 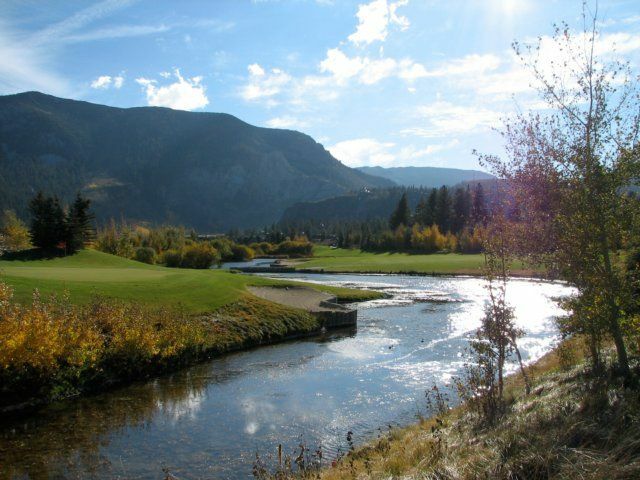 Max Occupancy As It Is Listed On The Unit Is The Maximum Number Of People Who Can Be In The Unit At Any Time.